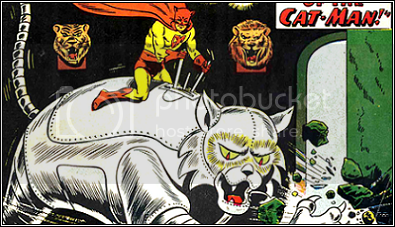 Thomas Blake is a world-famous trapper of jungle cats who turned to crime because he had grown bored with hunting and had squandered most of his fortune. 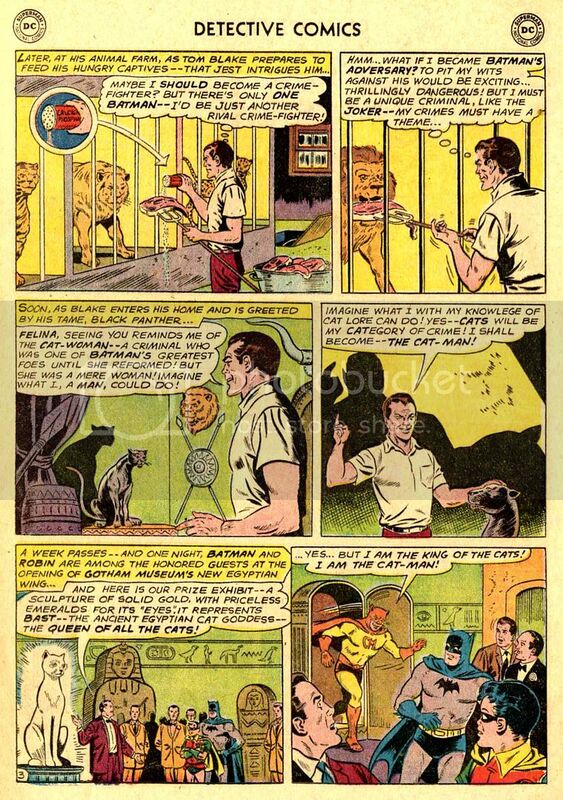 He became a burglar who committed his crimes in a catsuit made out of an ancient African cloth he believed give him a cat's nine lives. 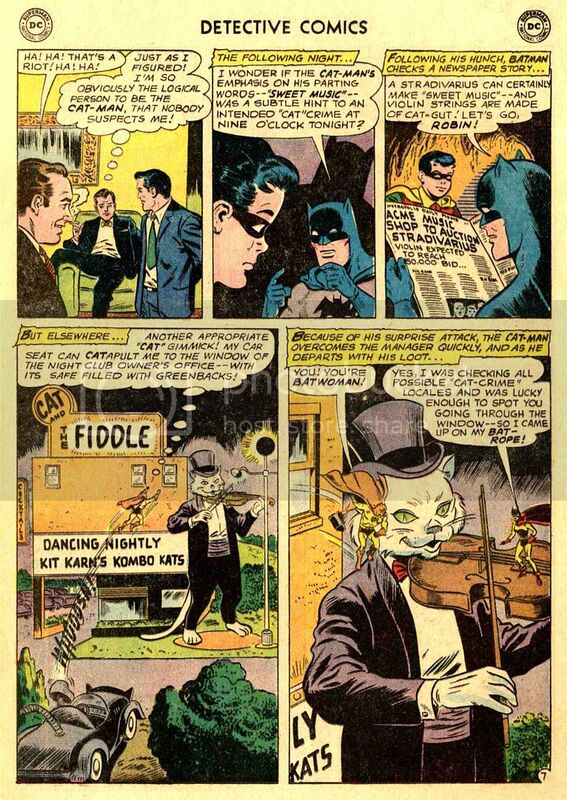 After many years of defeat at the hands of Batman and Catwoman, Catman became something of a joke in the super-villain community and hit rock bottom. 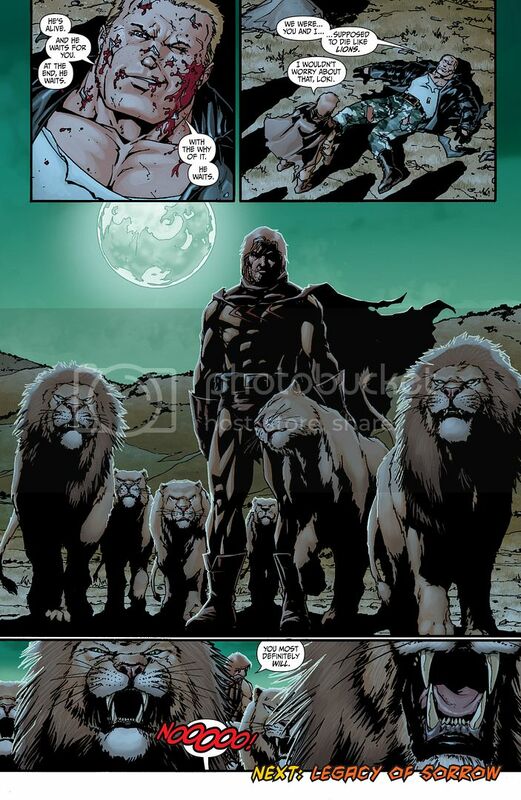 So he retired and moved to Africa to live among a pride of lions. 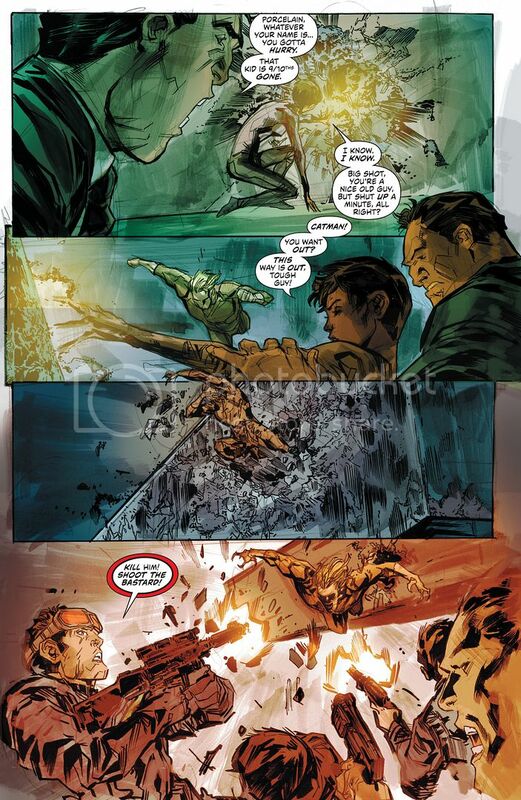 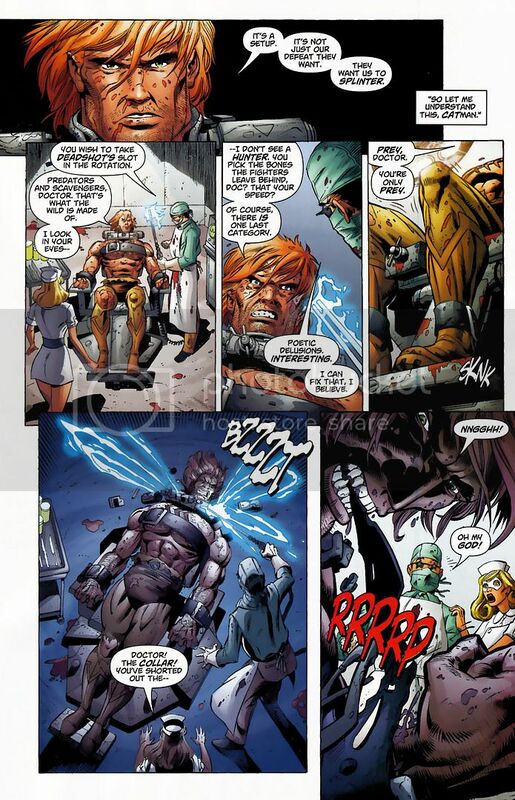 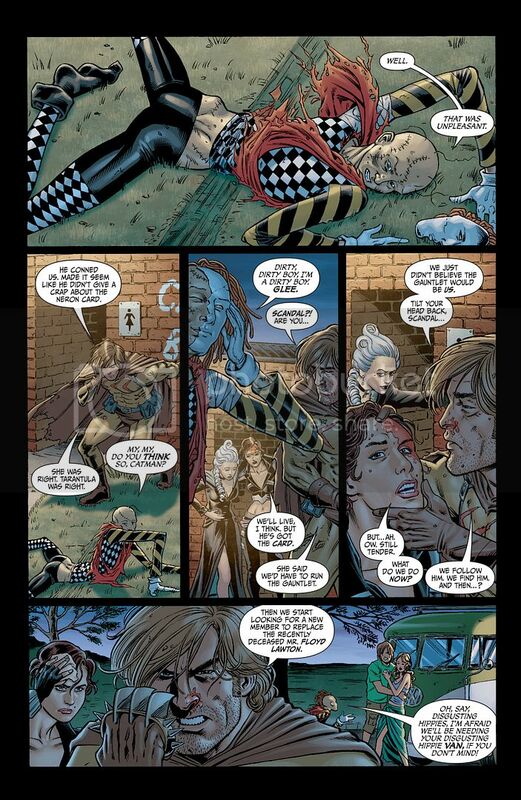 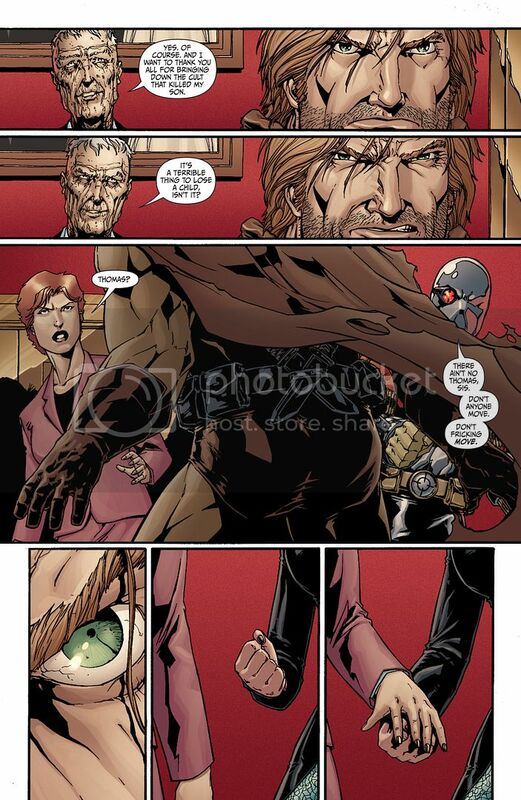 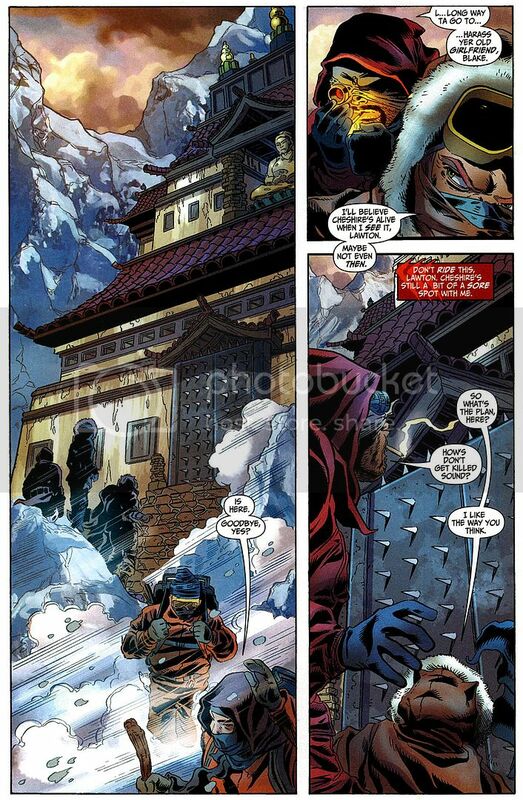 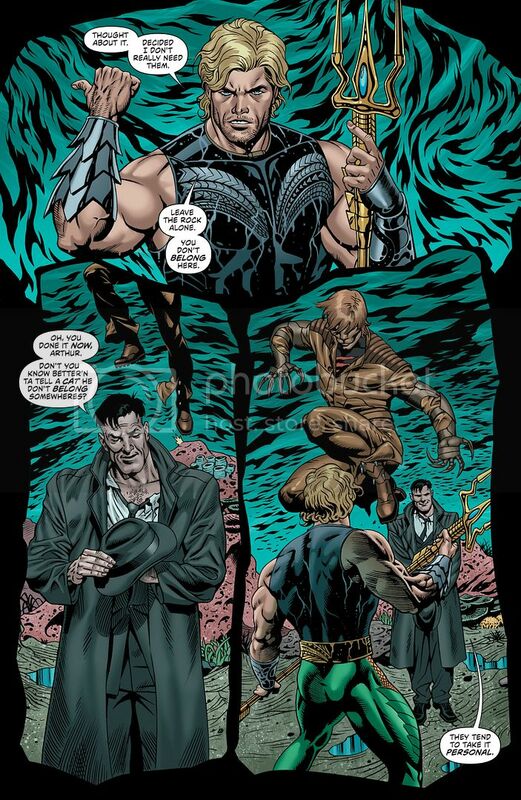 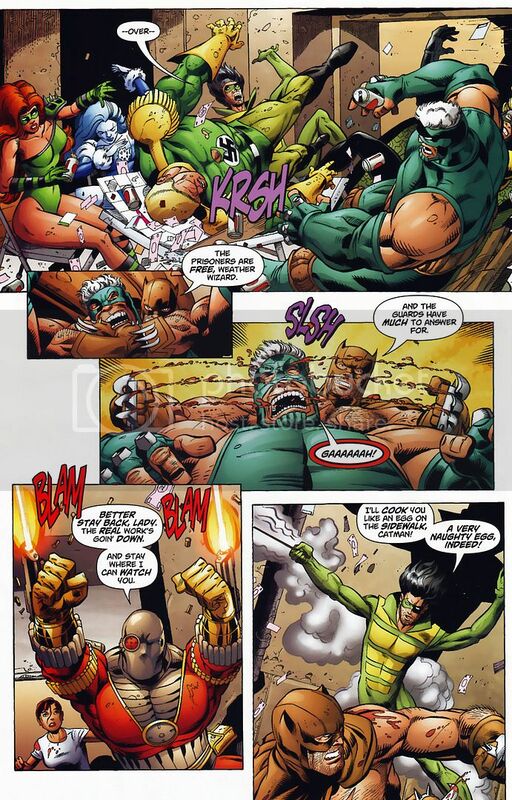 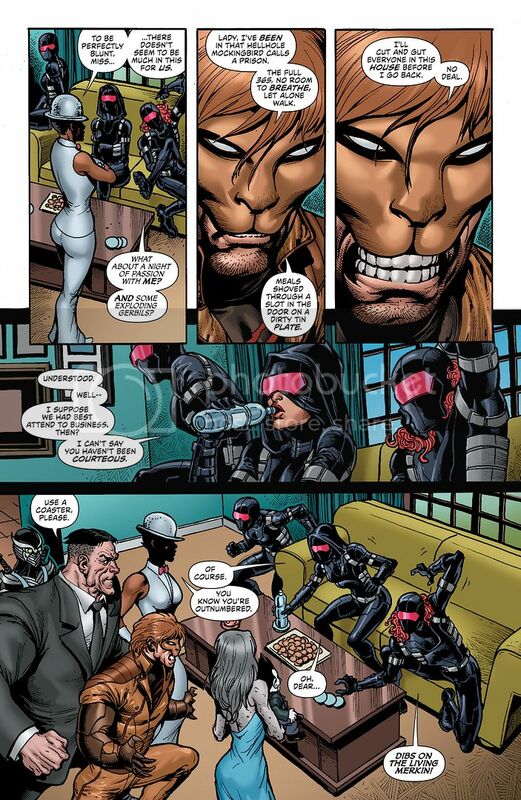 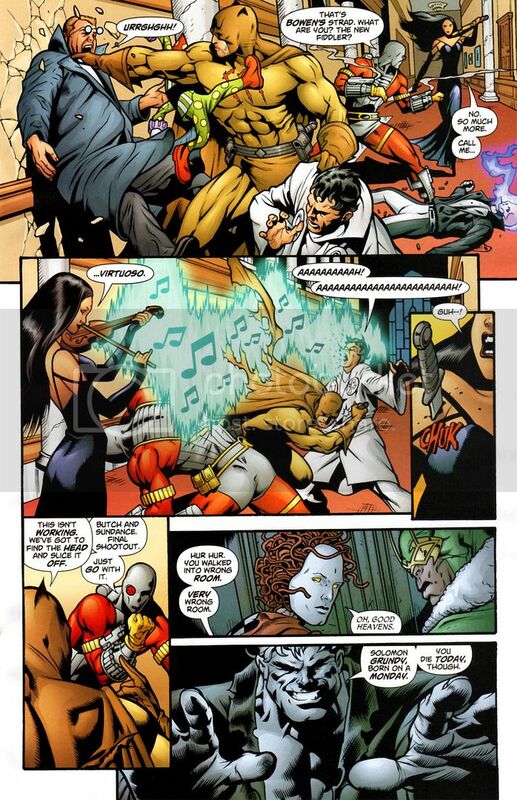 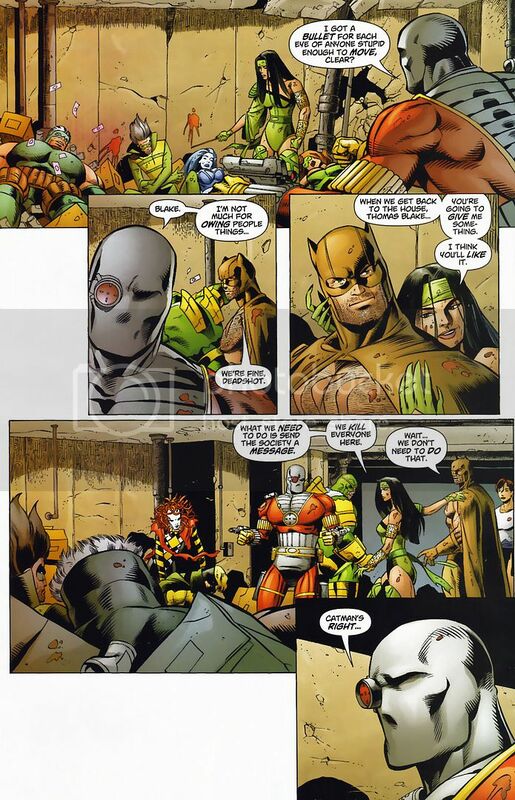 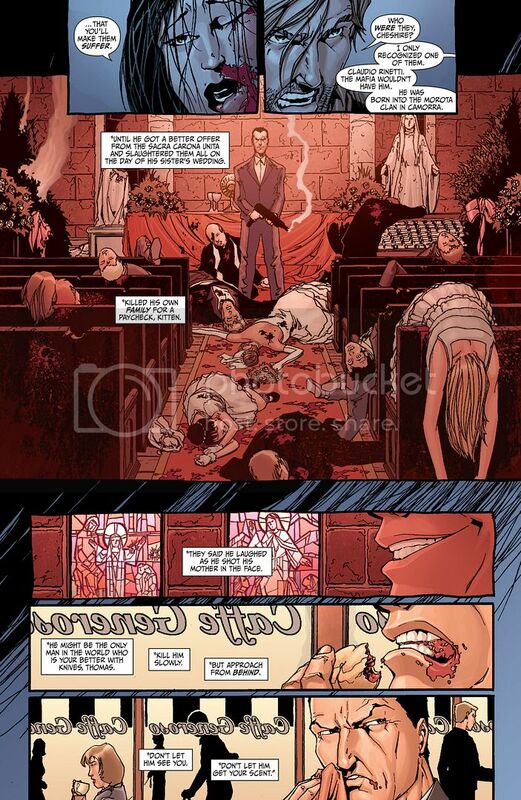 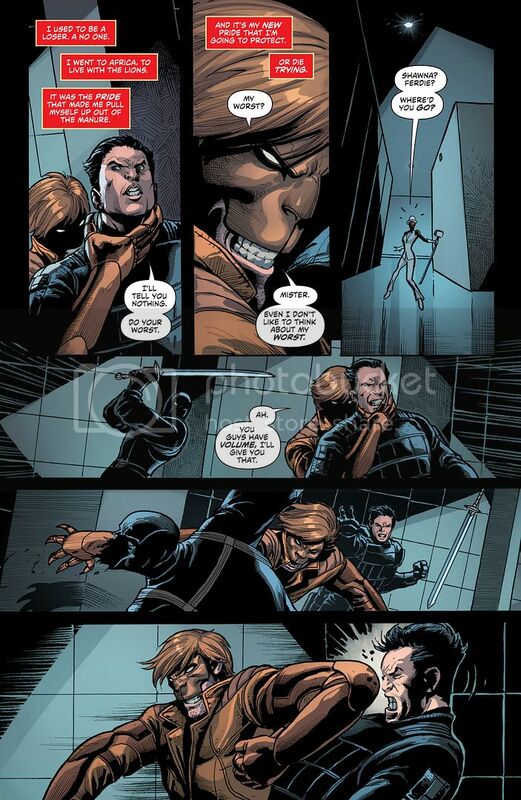 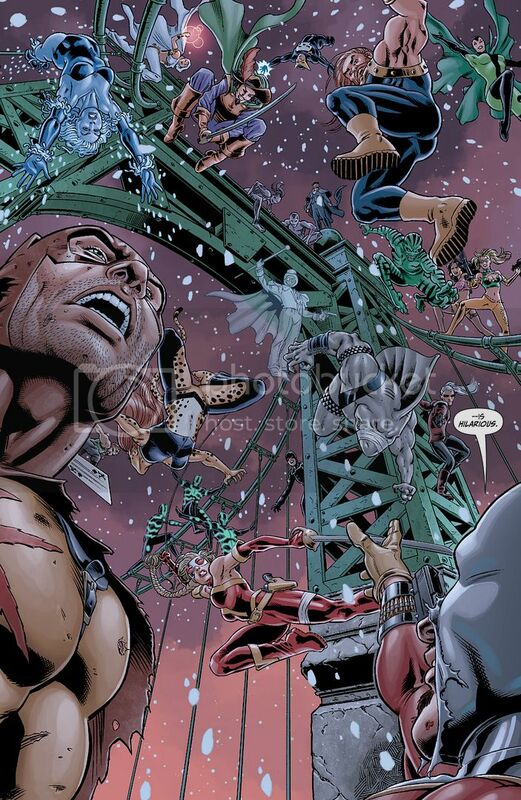 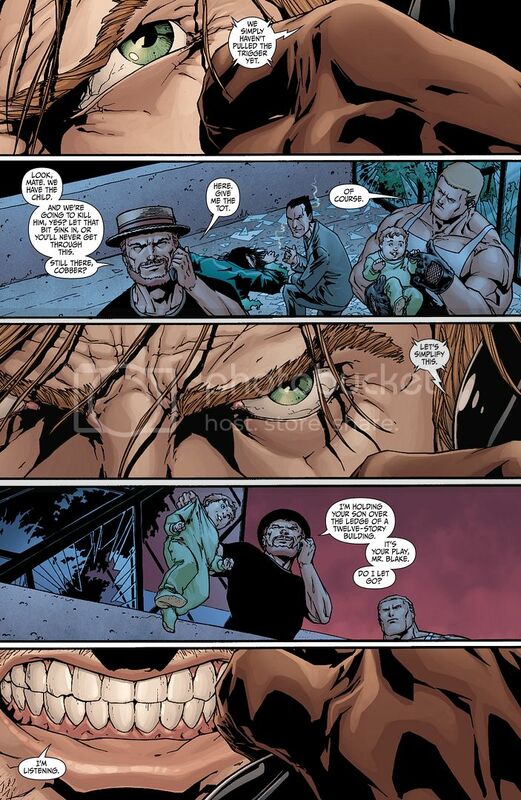 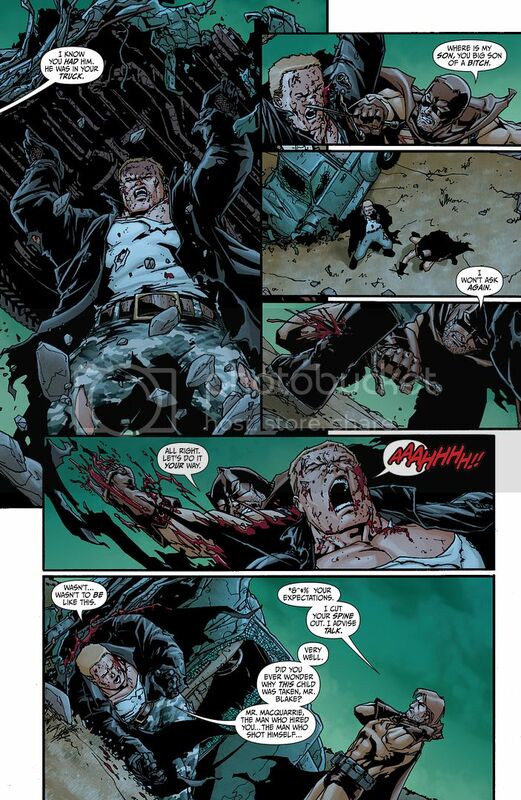 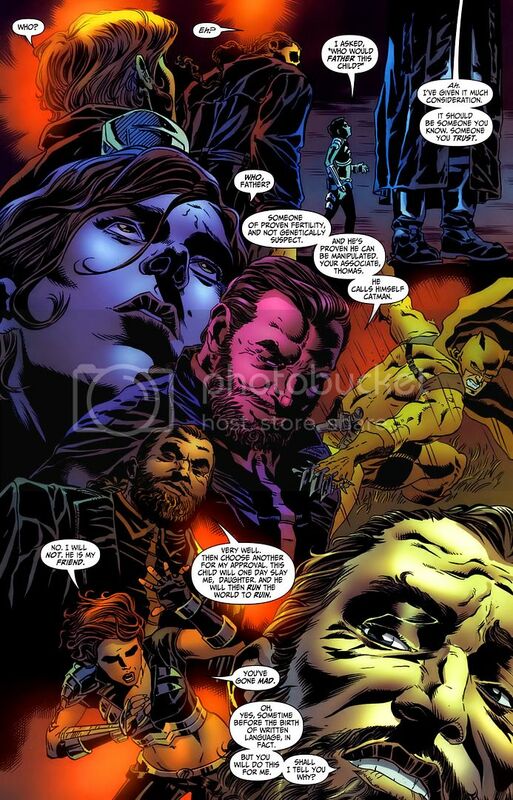 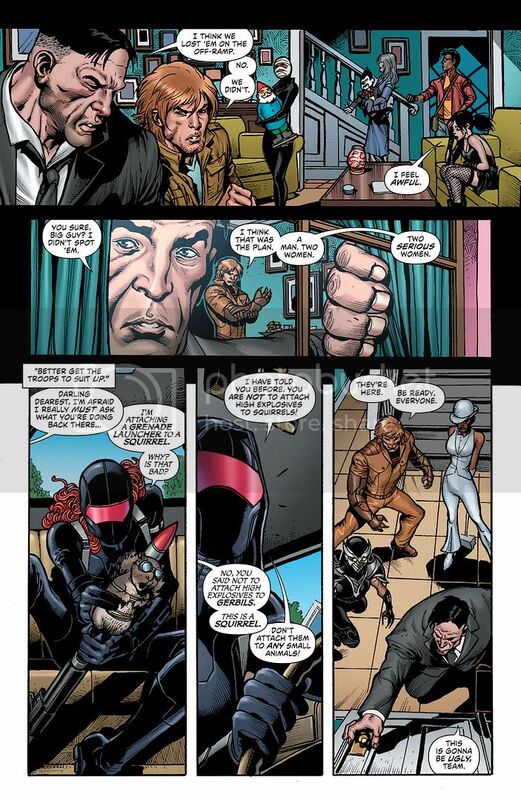 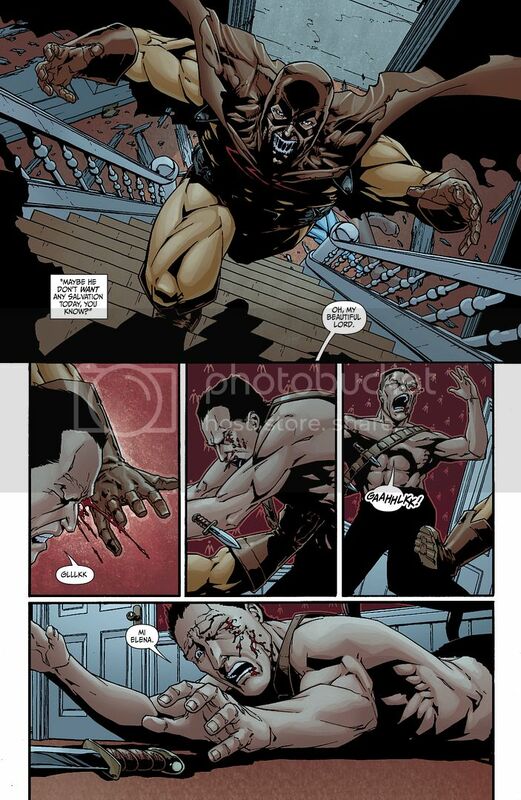 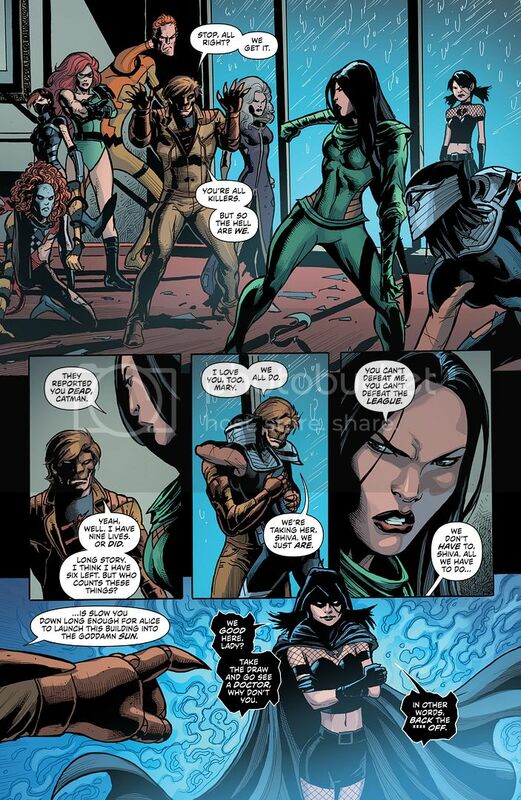 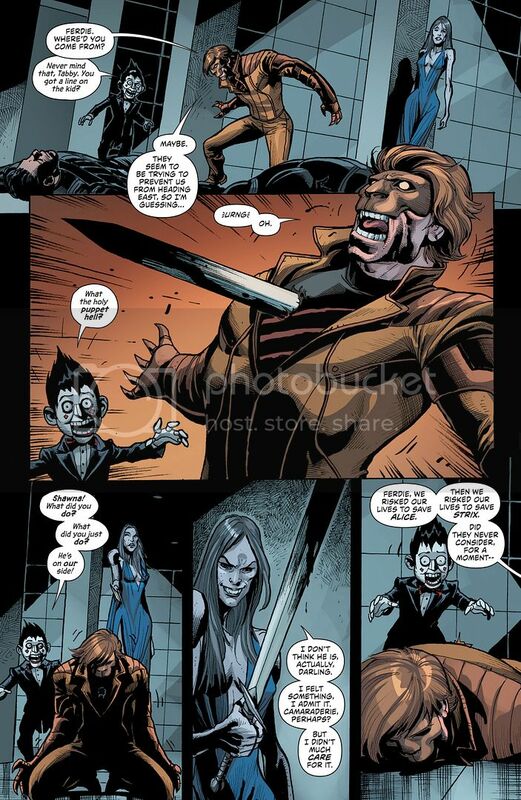 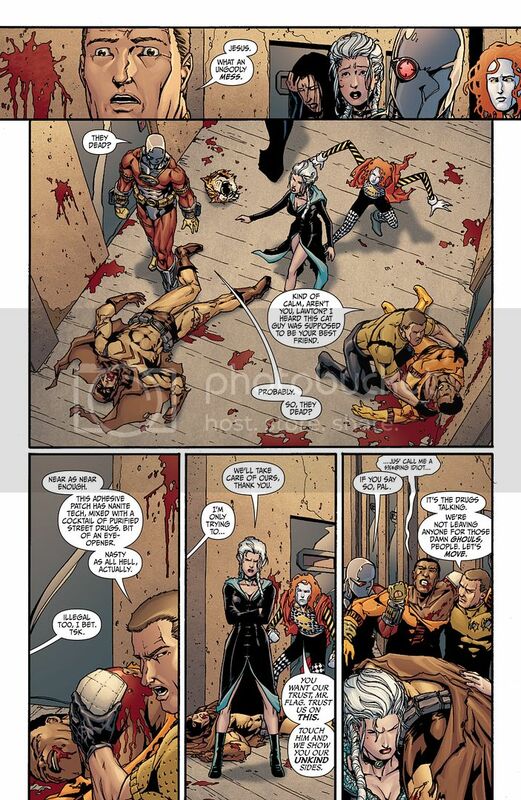 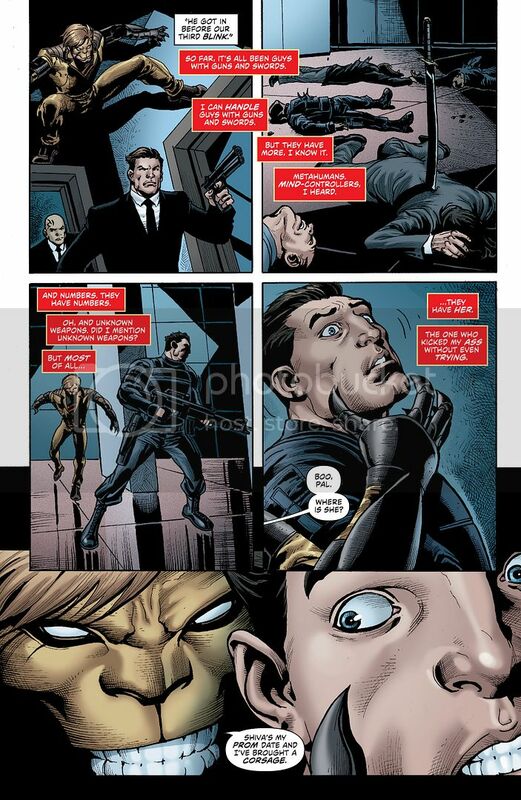 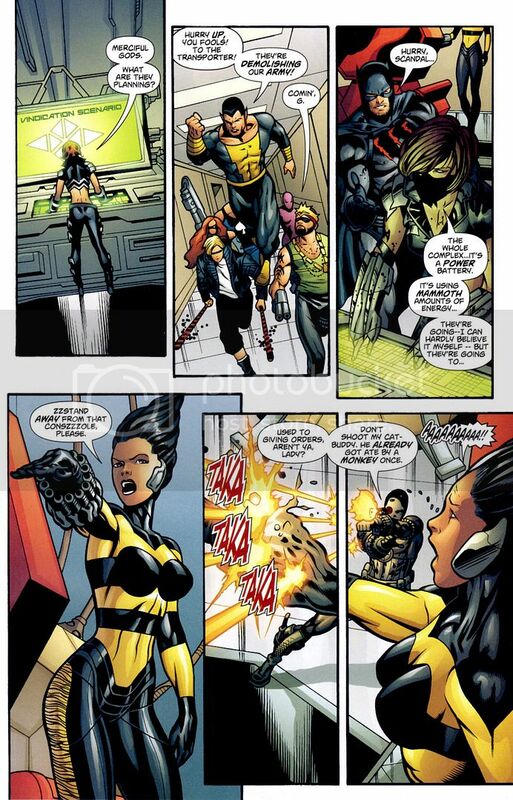 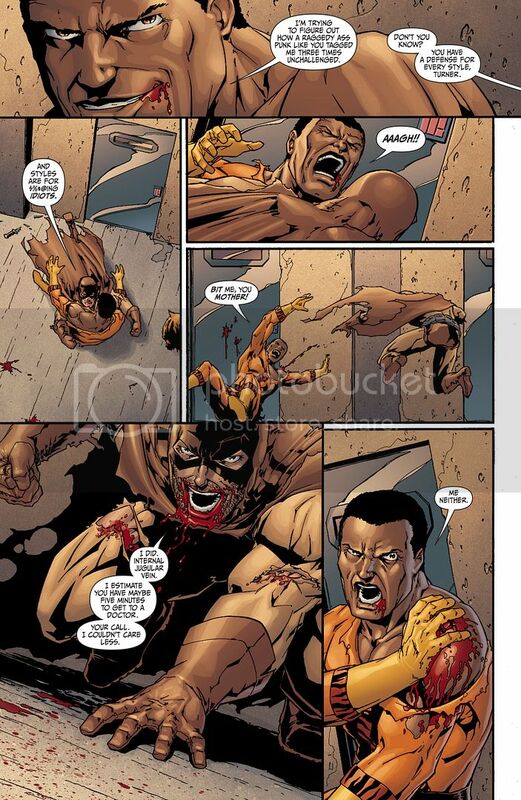 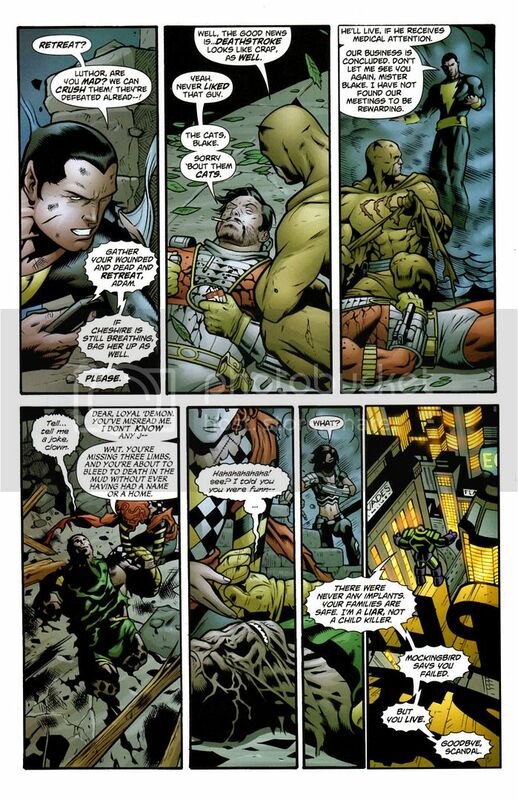 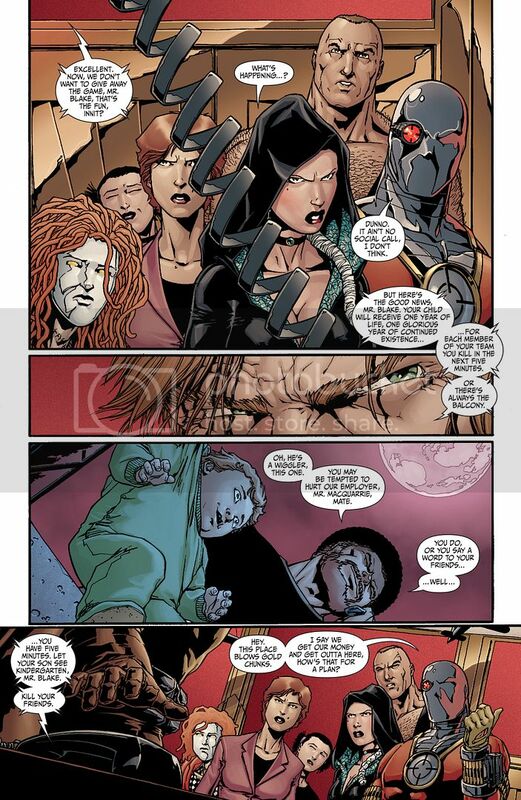 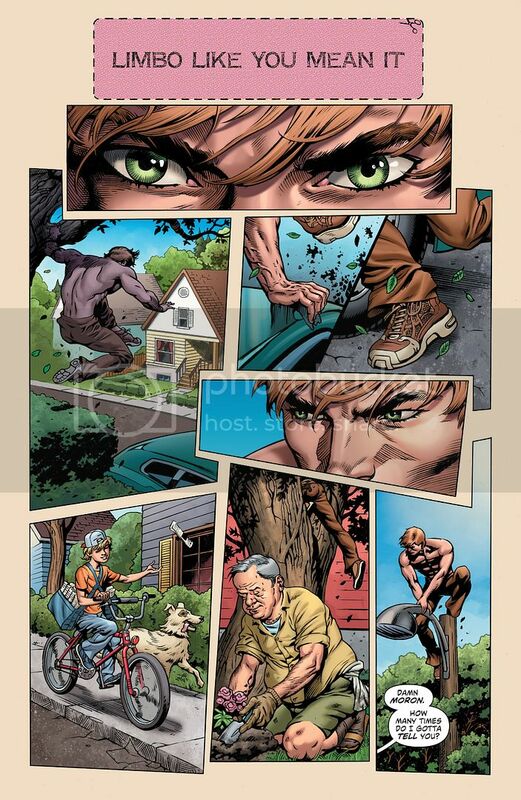 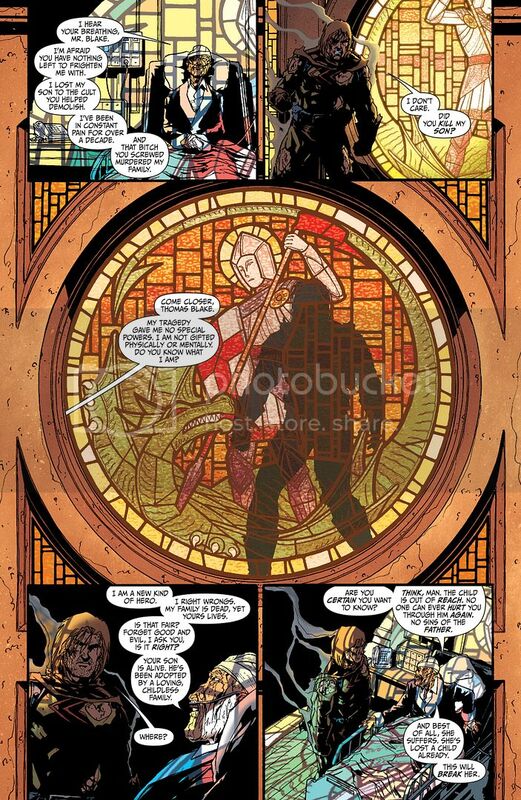 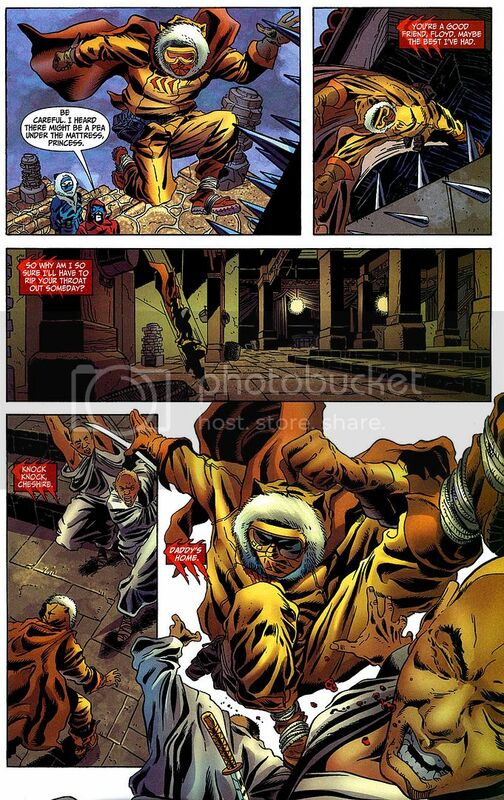 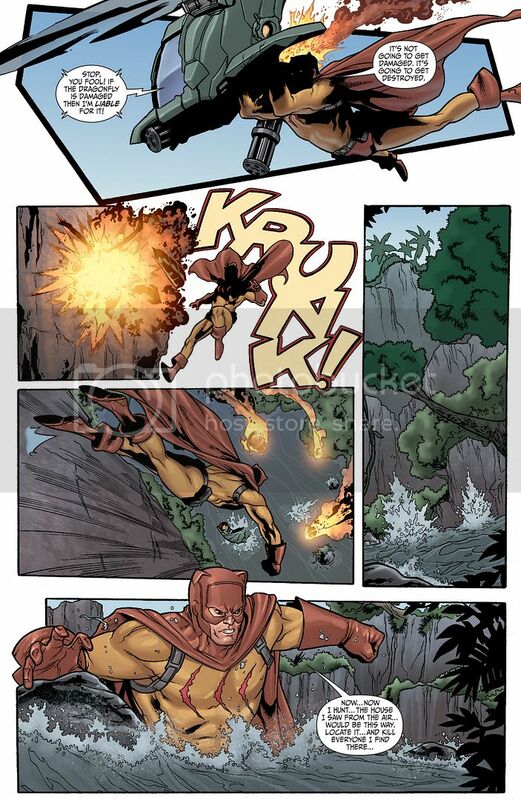 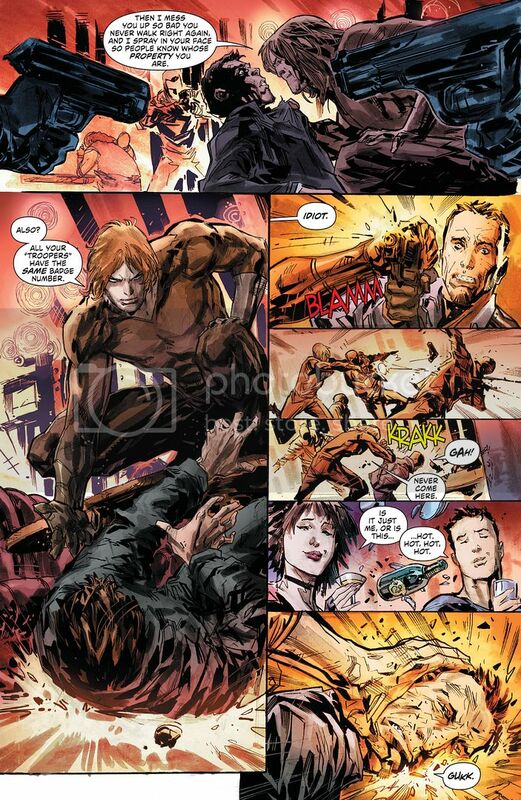 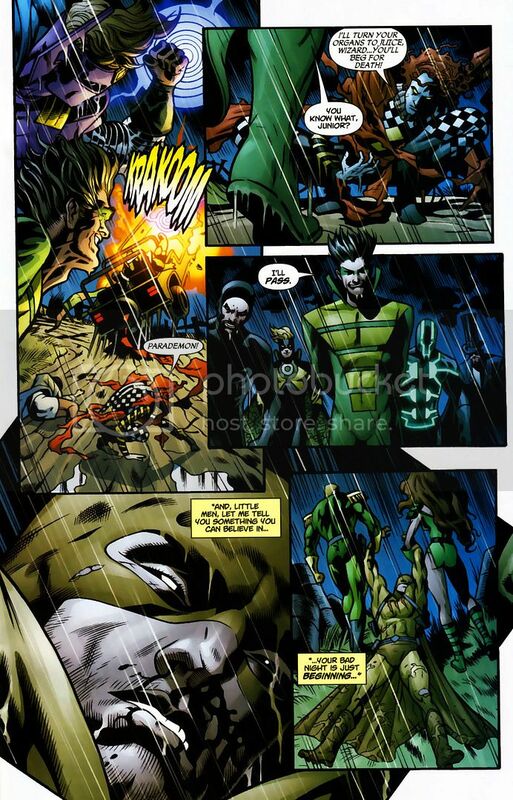 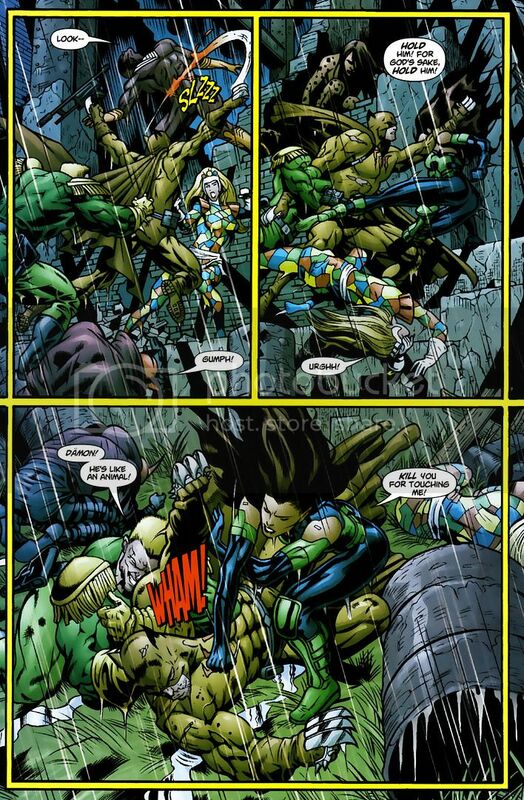 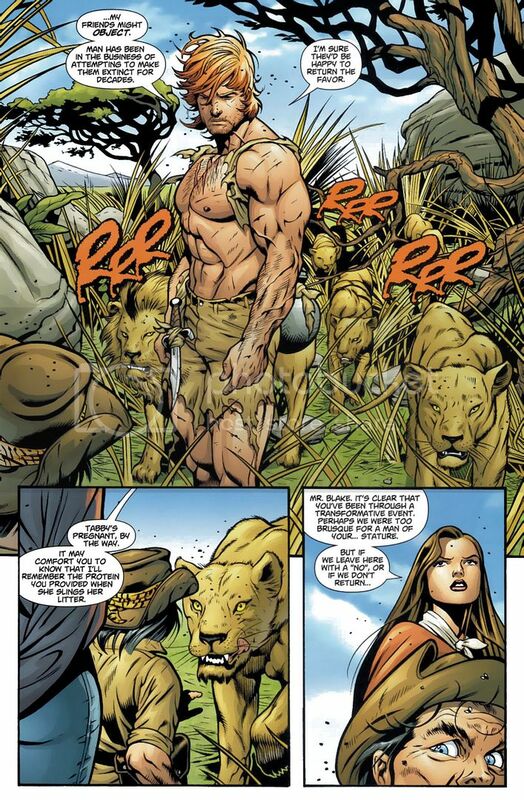 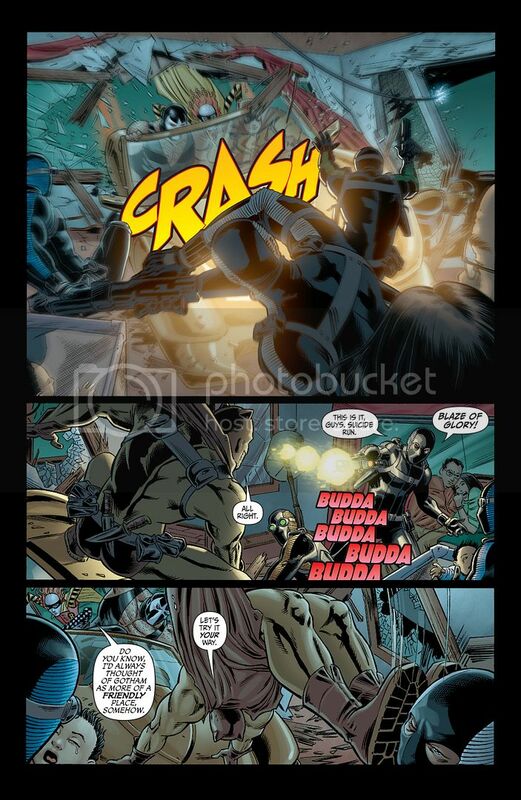 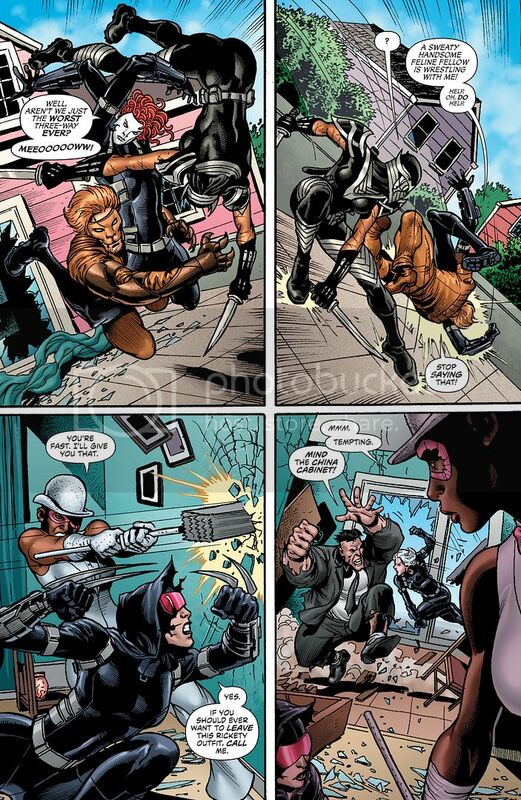 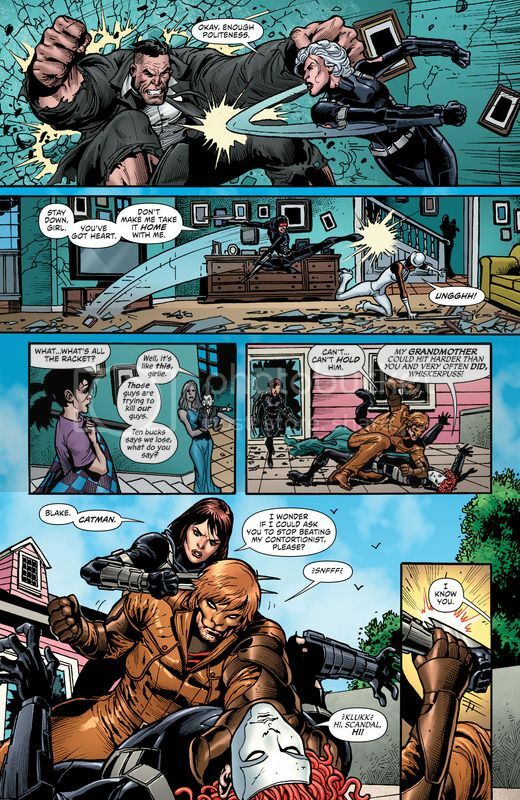 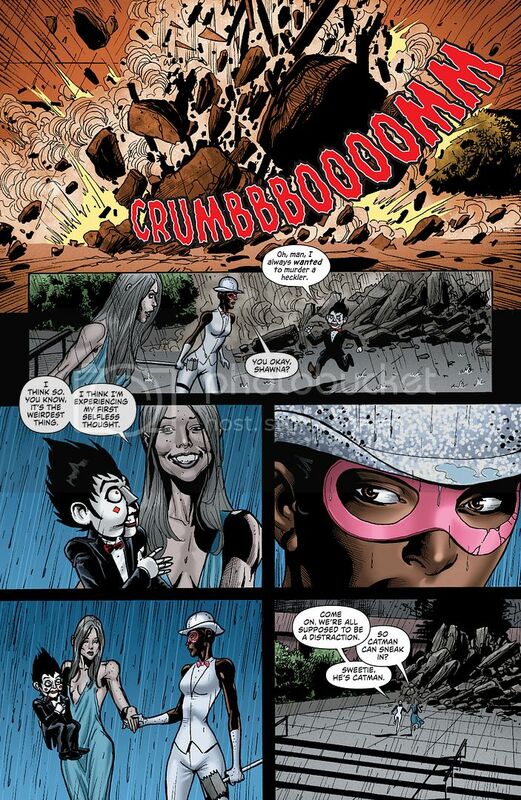 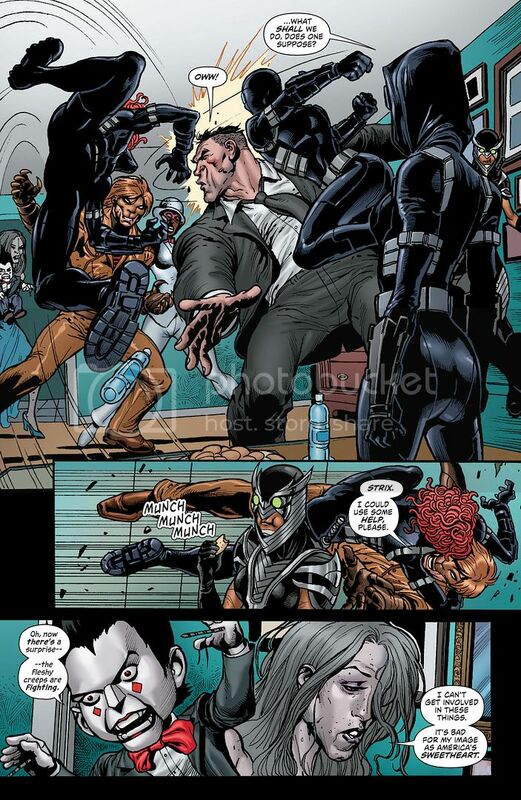 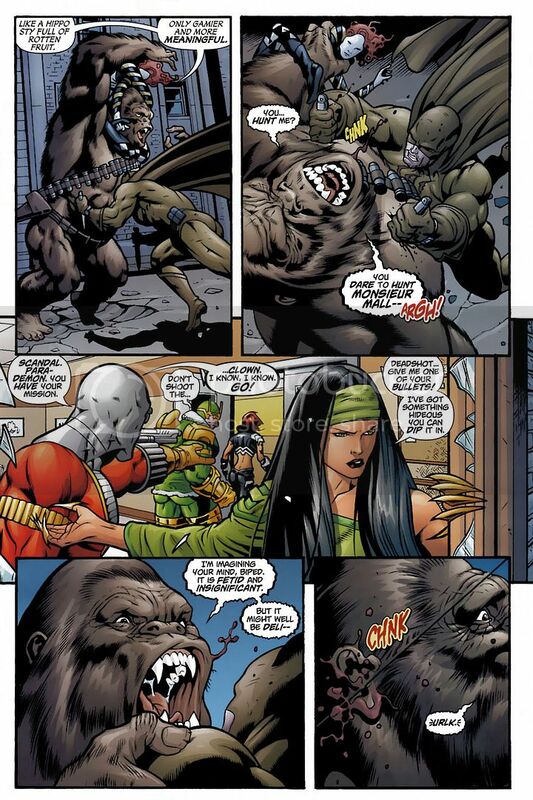 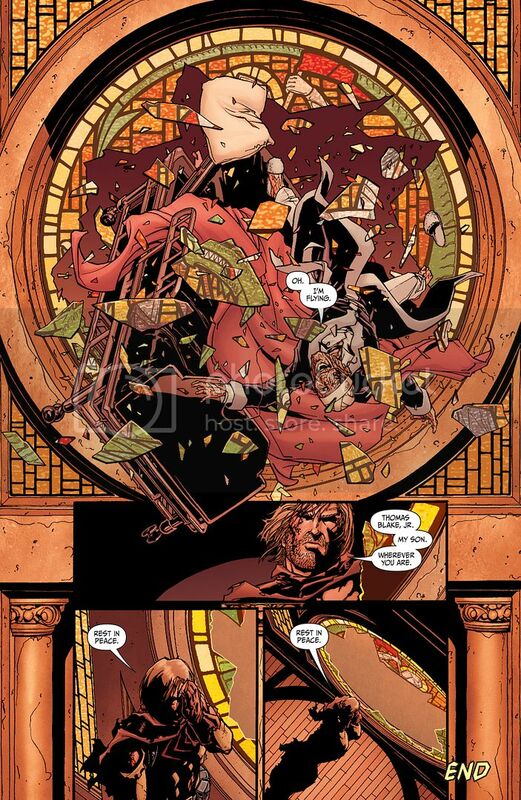 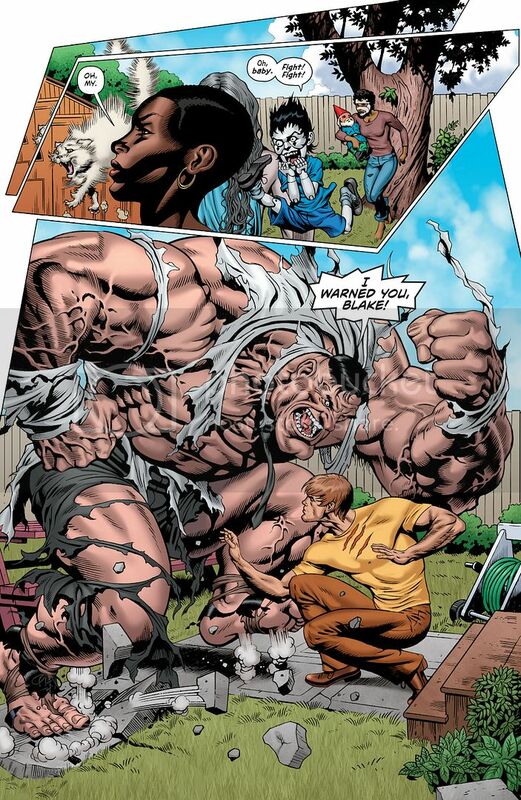 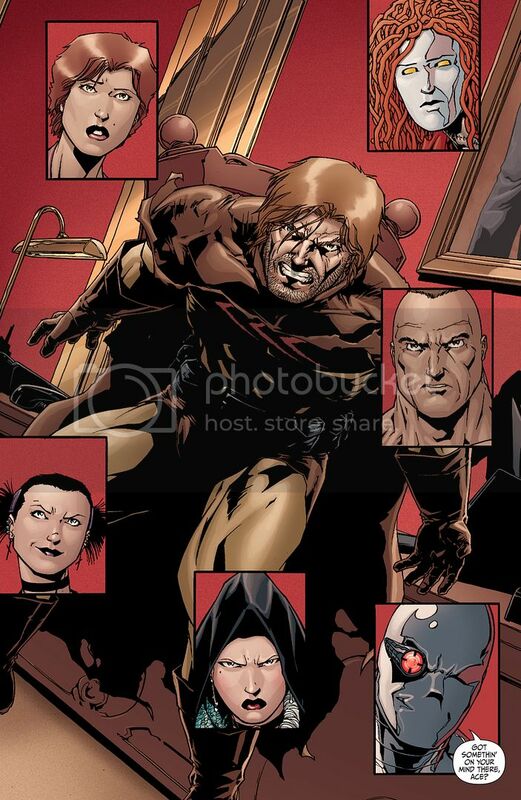 When the lions were slaughtered, Blake became a criminal mercenary and a member of the Secret Six. 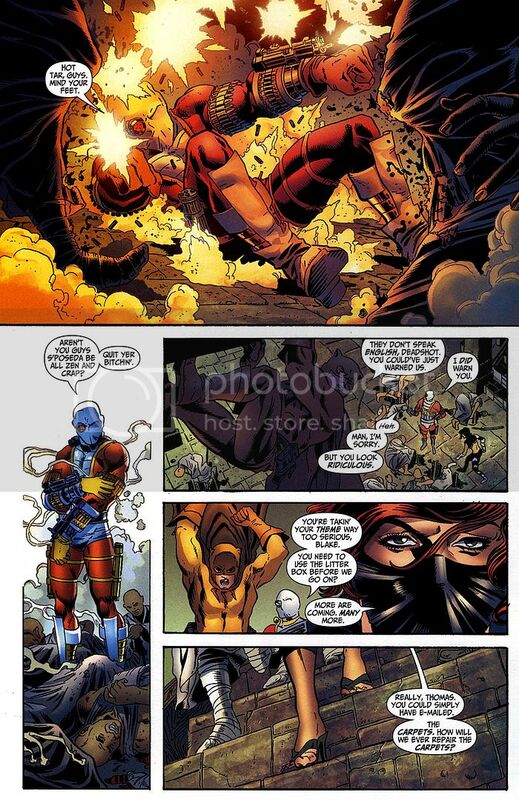 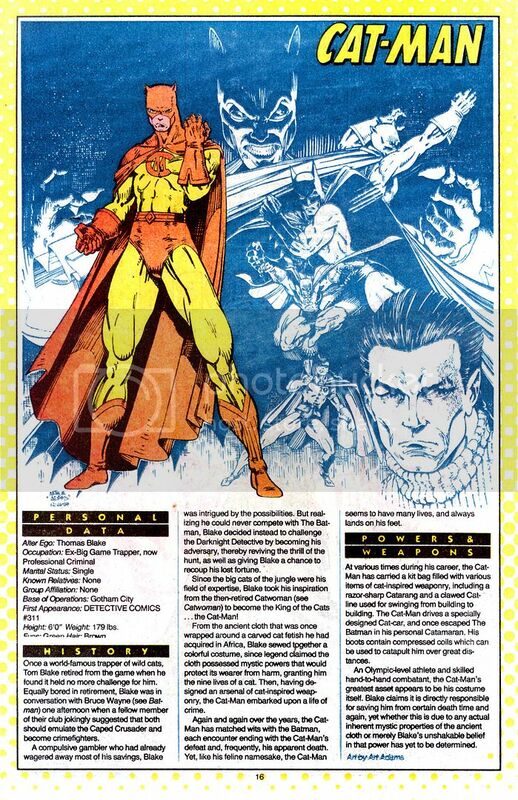 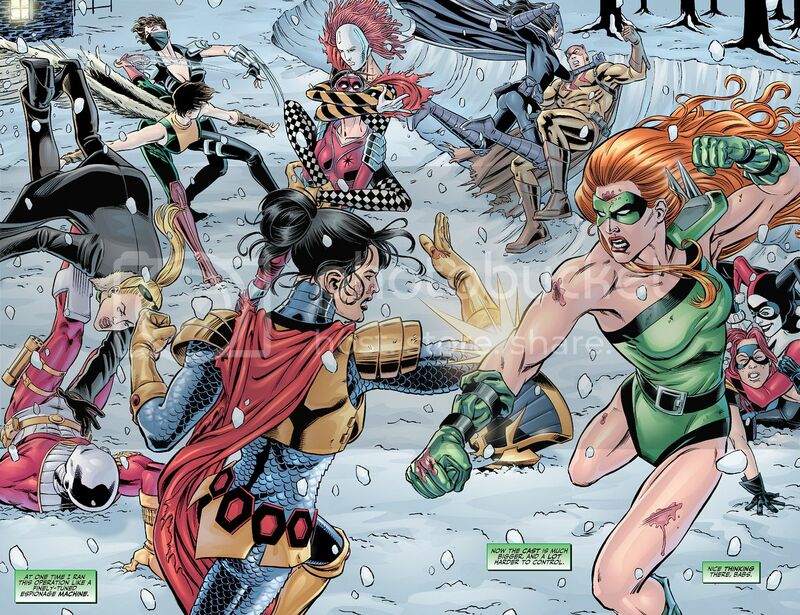 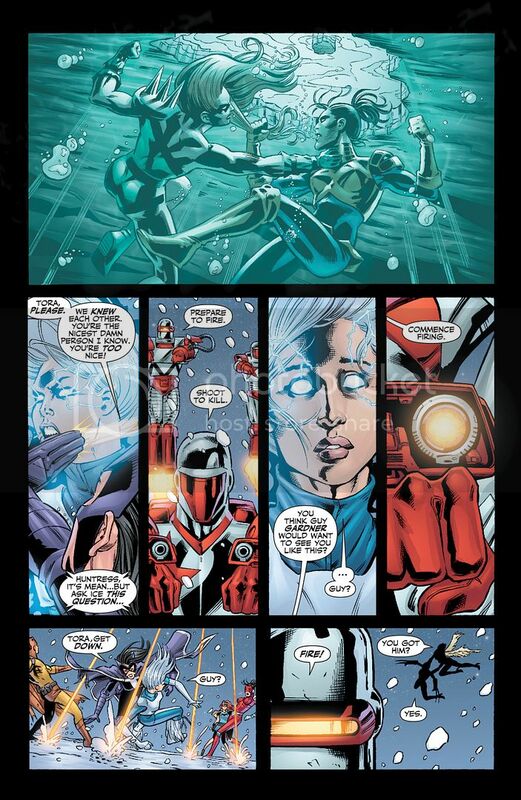 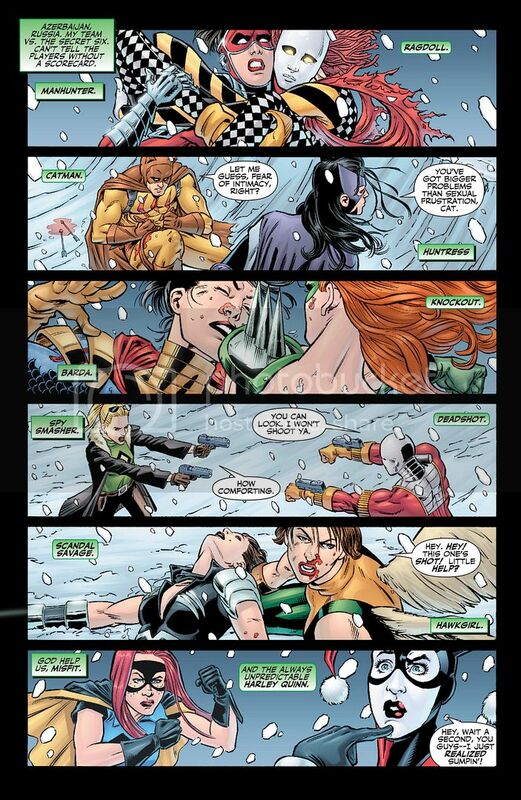 He reinvented himself into DC's more dangerous fighters and one of its best trackers. 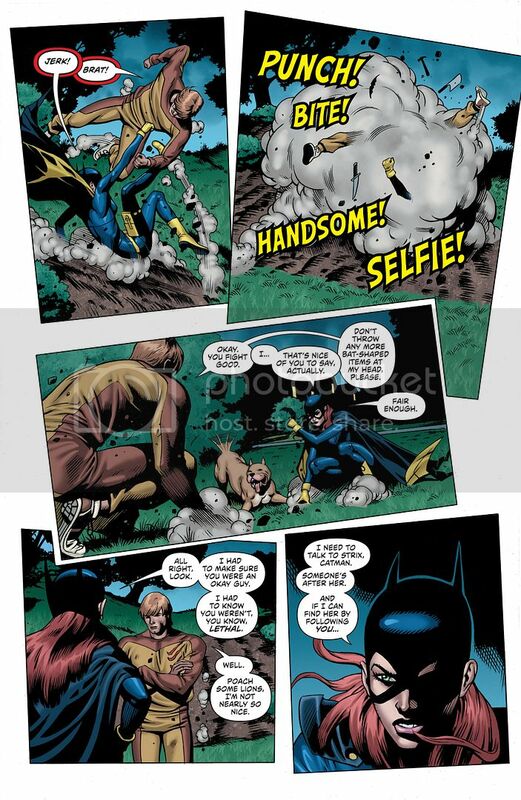 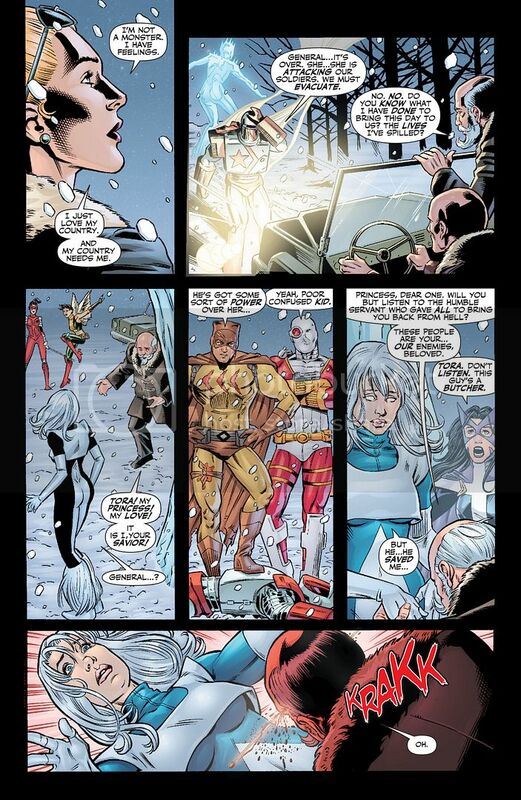 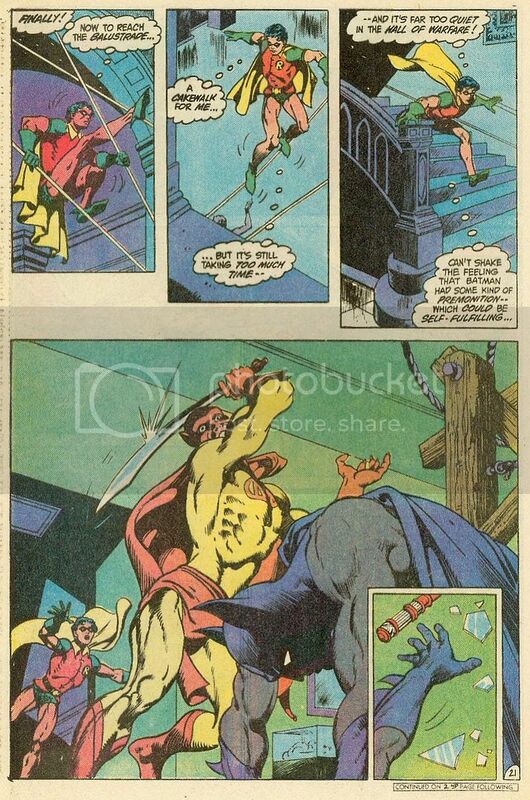 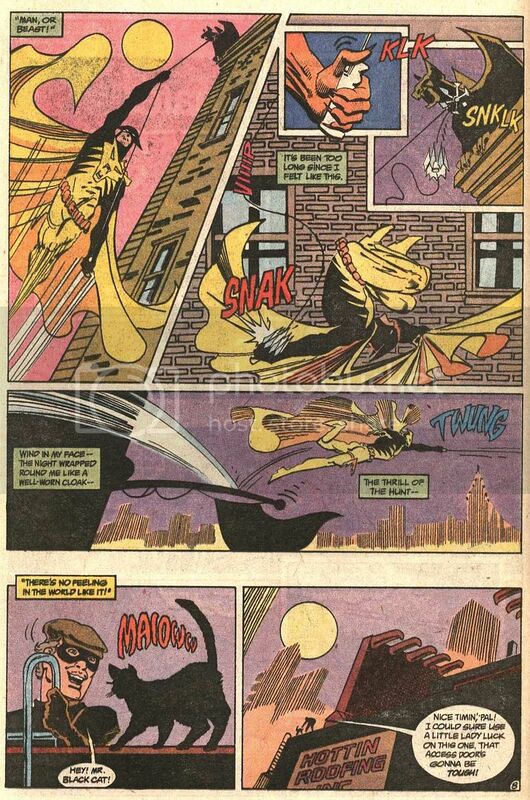 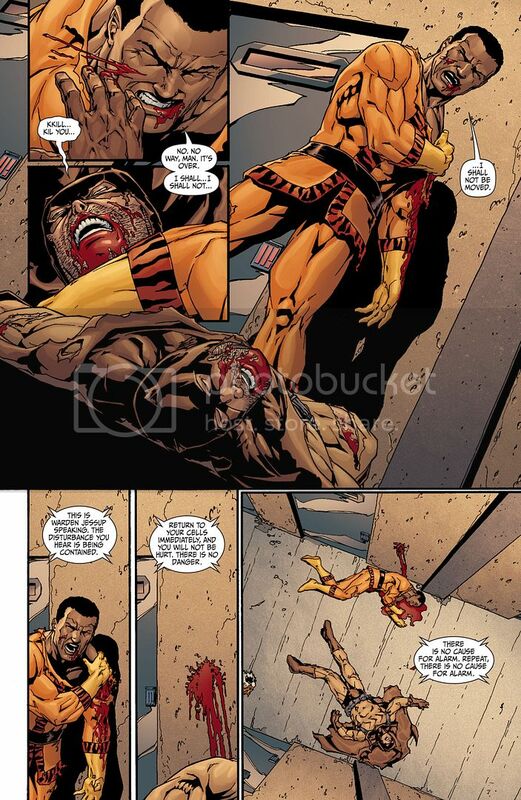 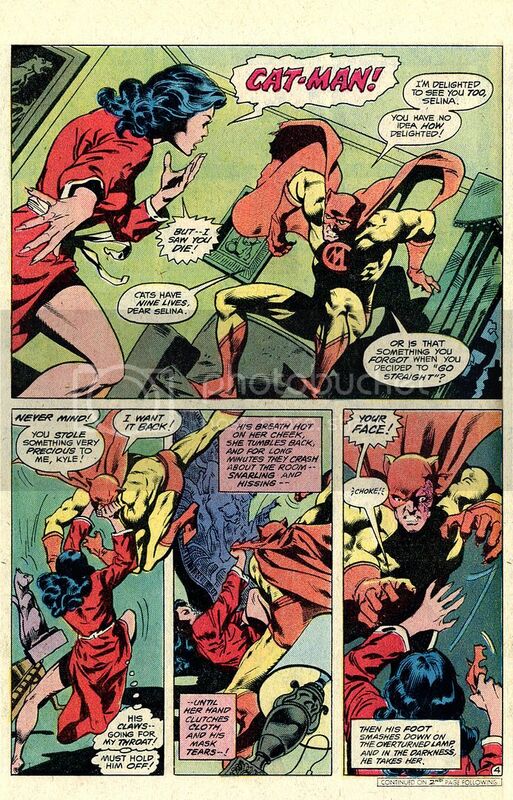 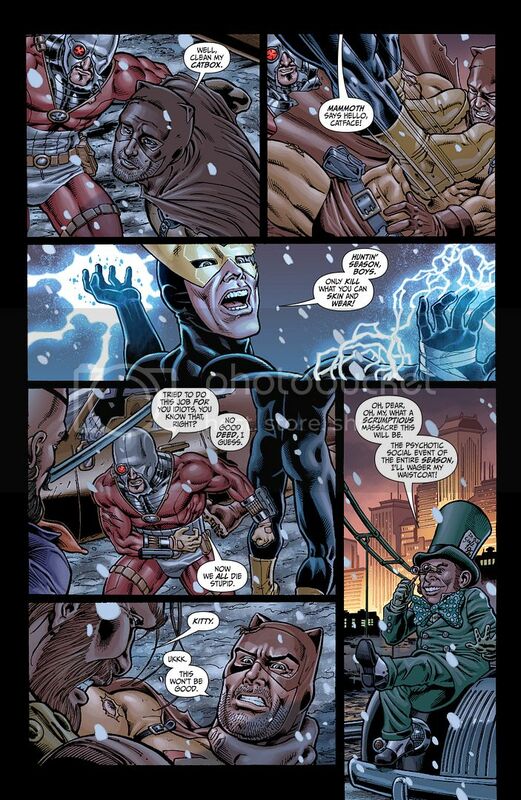 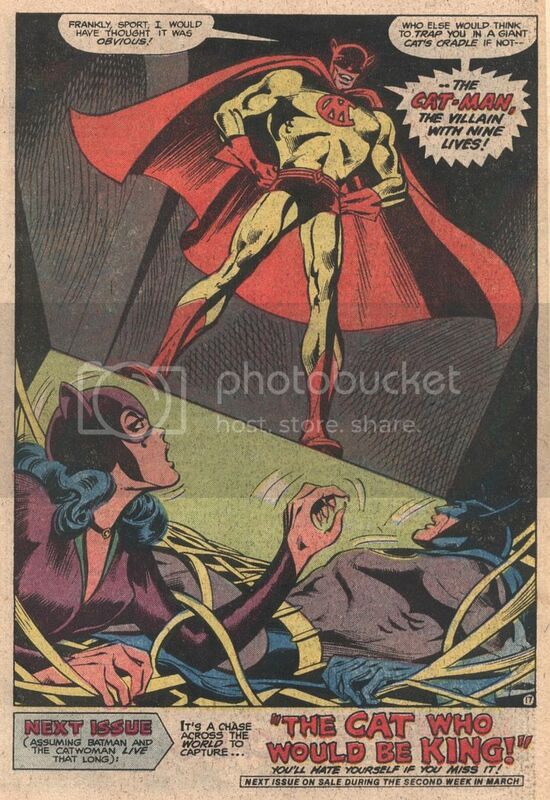 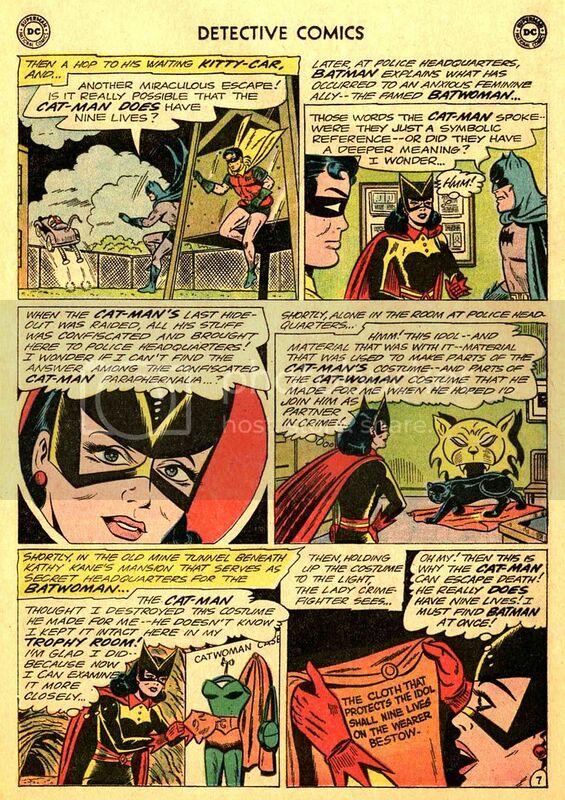 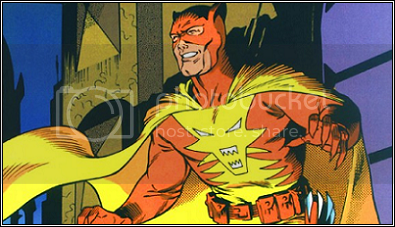 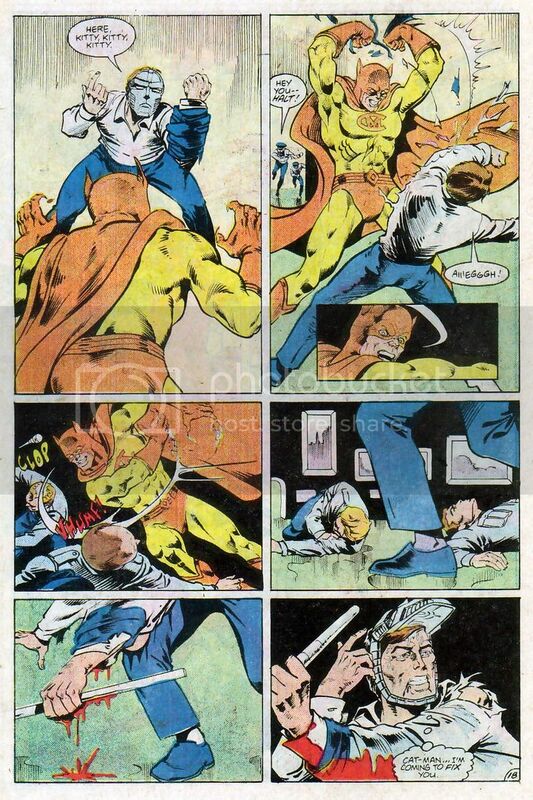 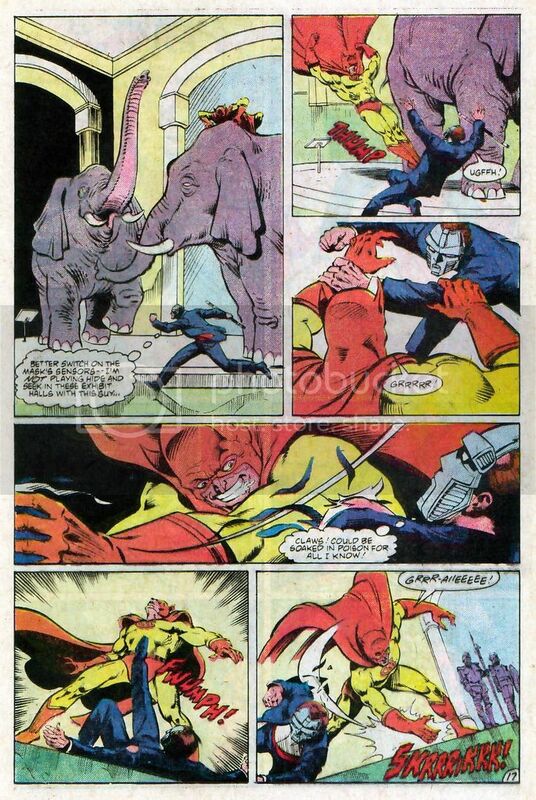 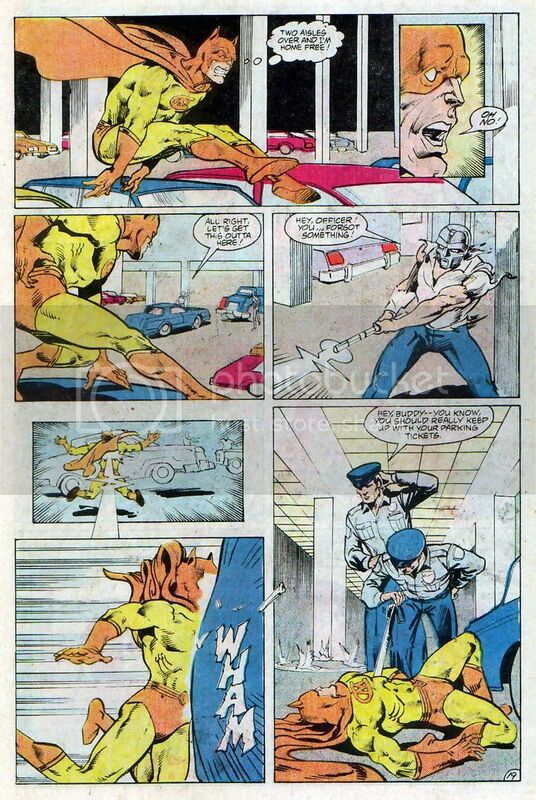 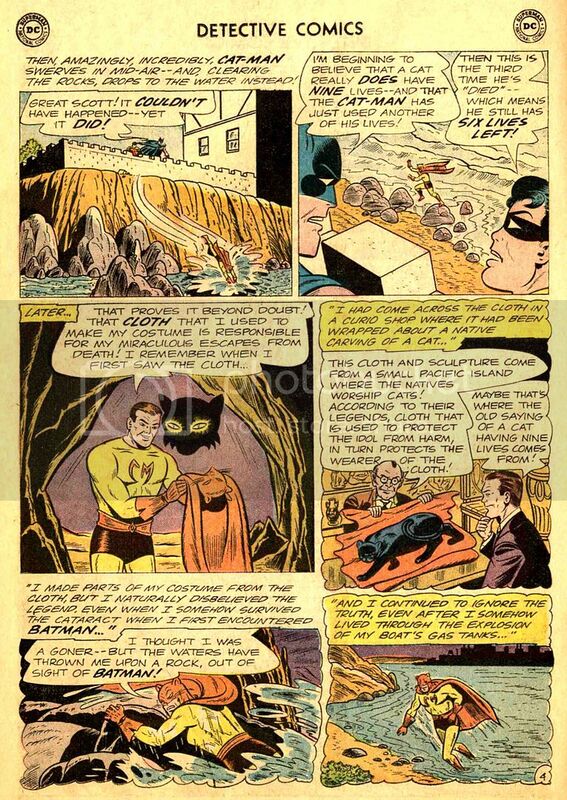 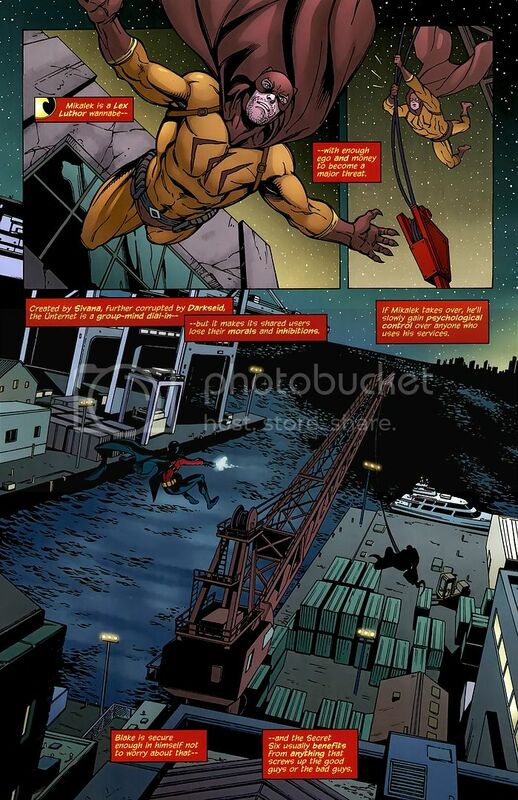 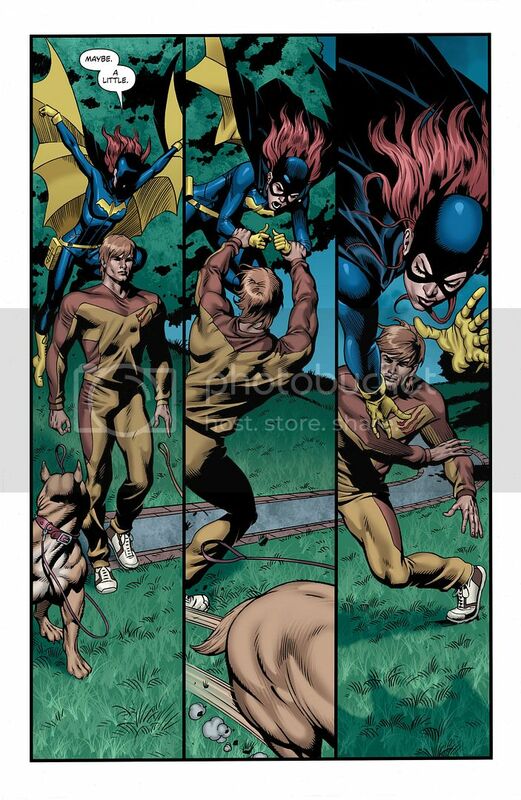 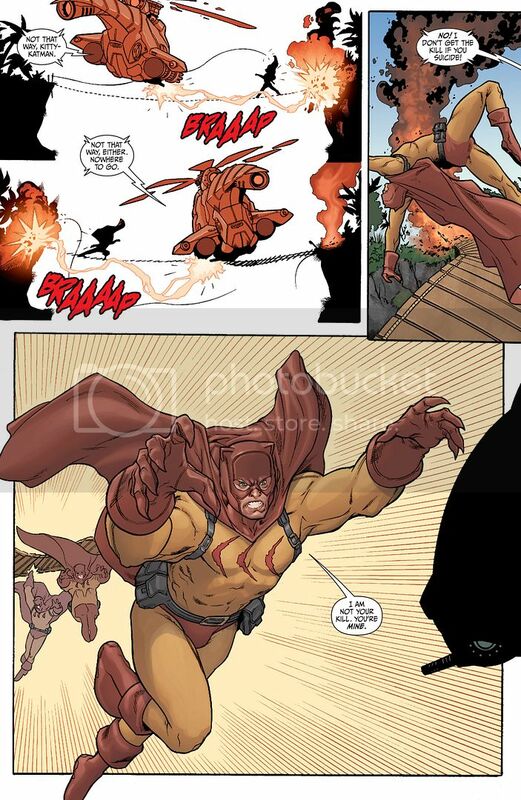 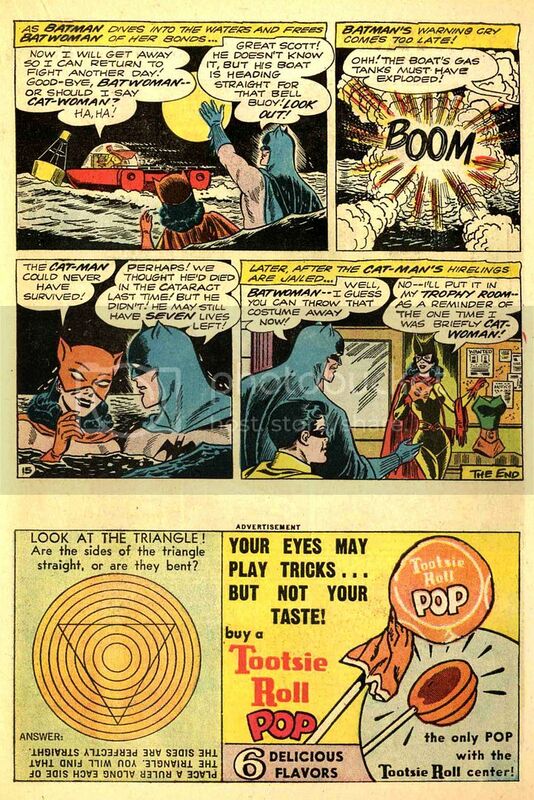 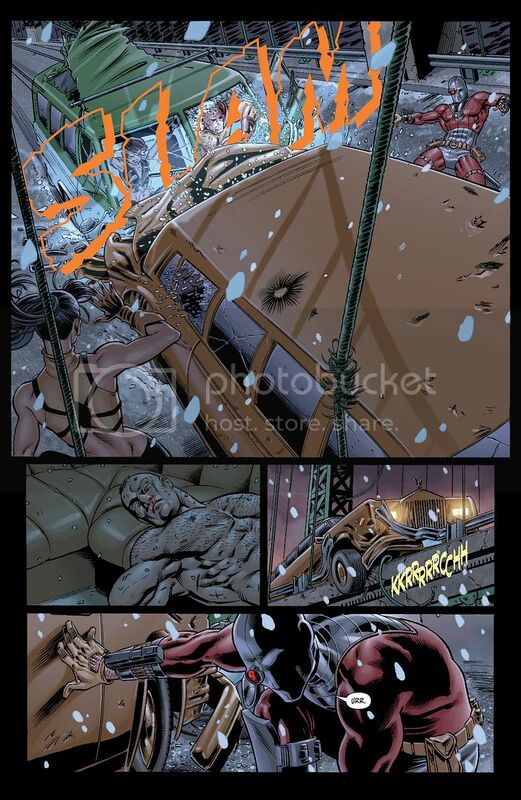 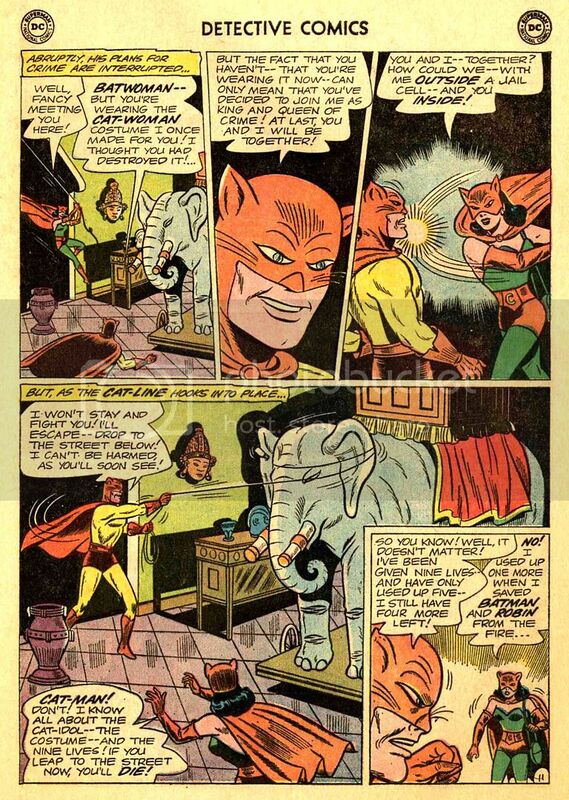 Here it shows Catman’s short lived costume and how it granted him 9 lives. 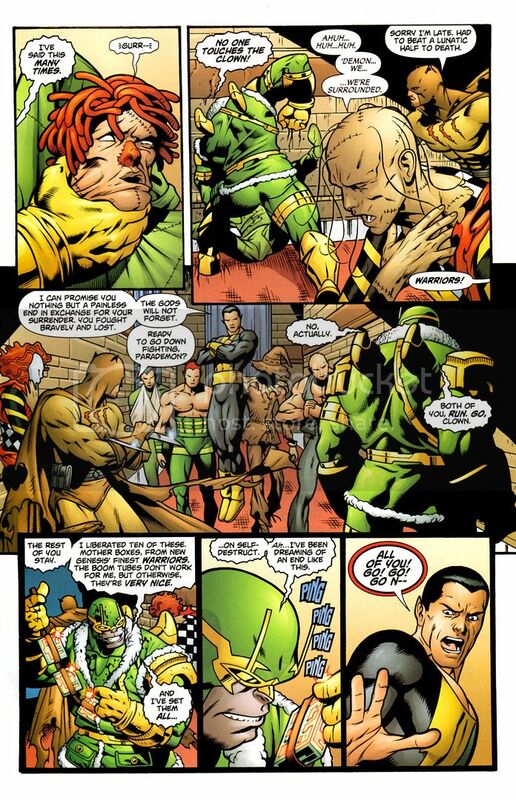 However, that was eventually ignored. 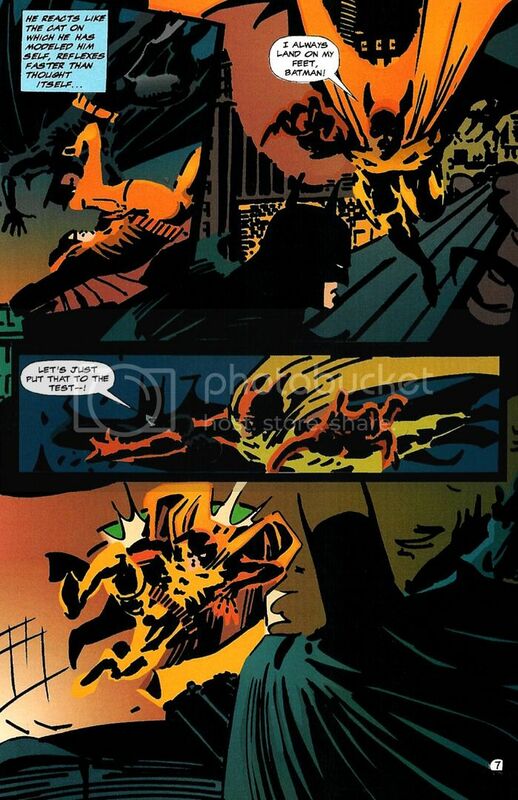 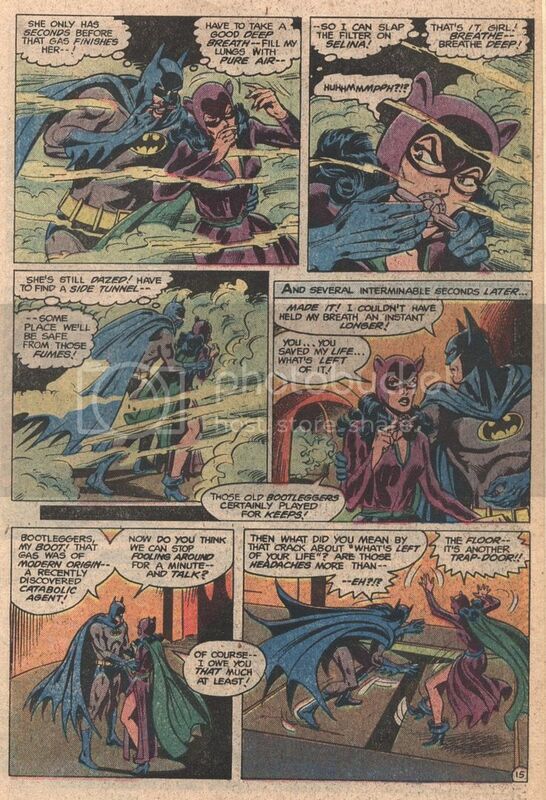 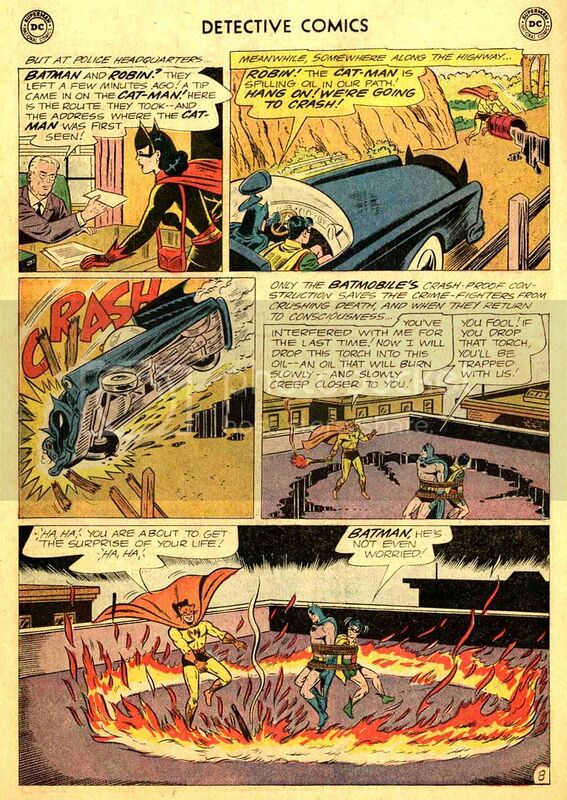 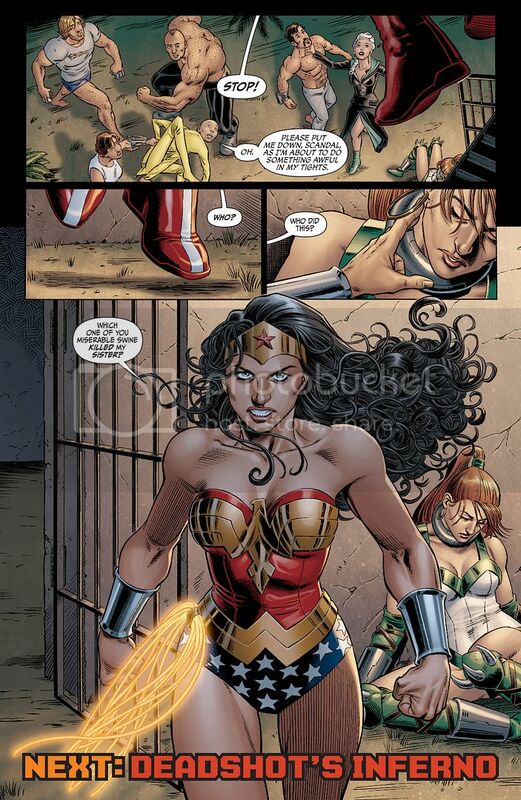 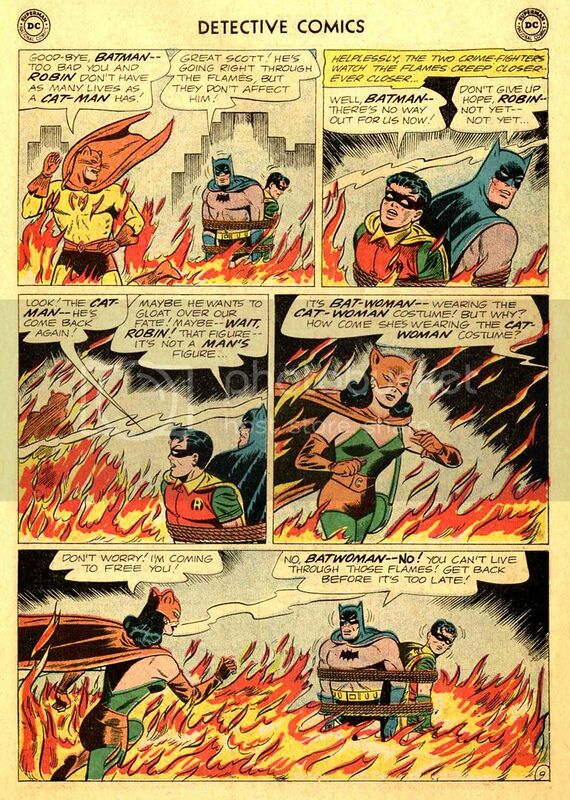 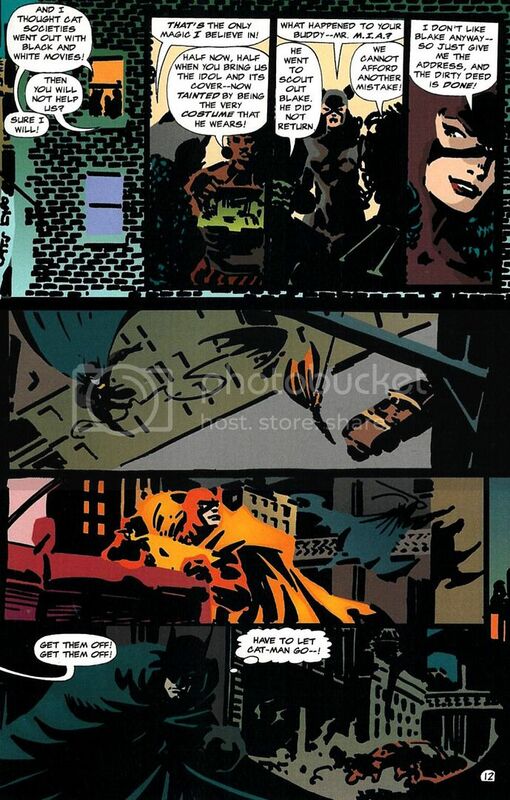 Here Batwoman using her magical Catwoman suit walks through fire to save Batman and Robin. 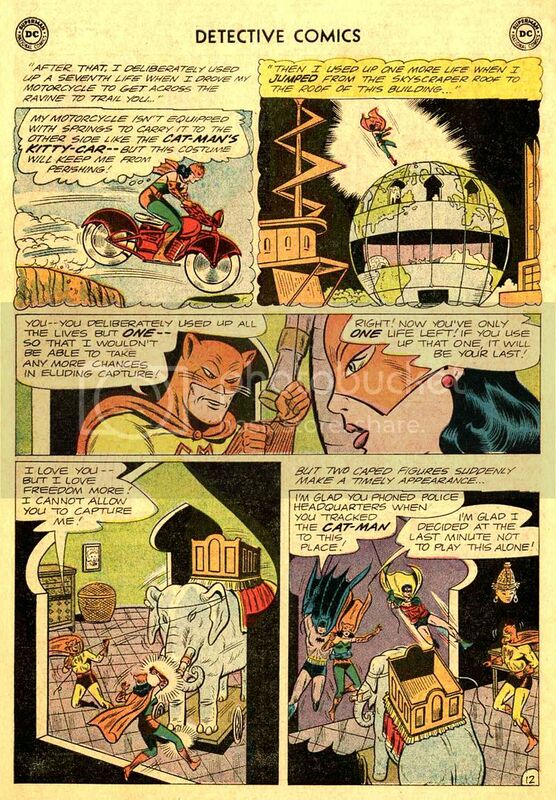 Here Catman reveals his robot cat, sadly it was very short lived. 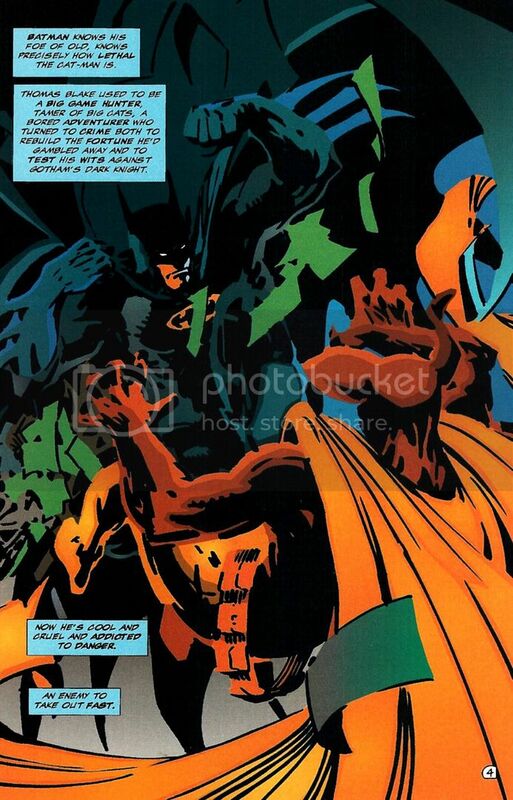 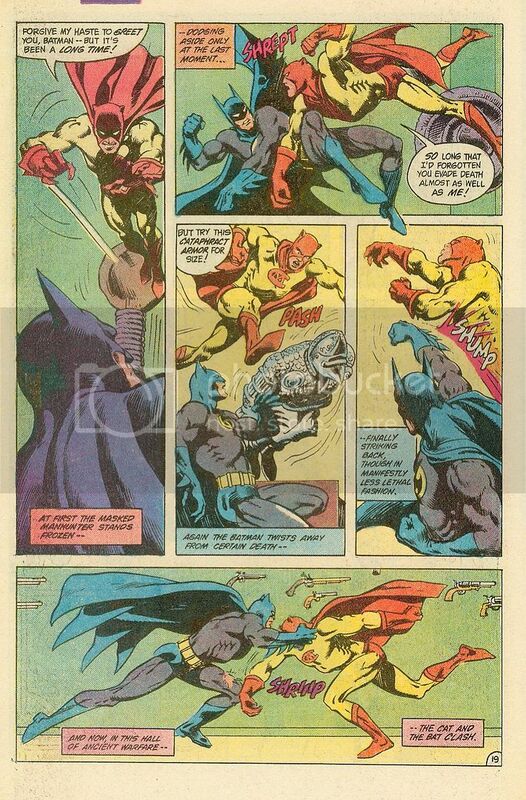 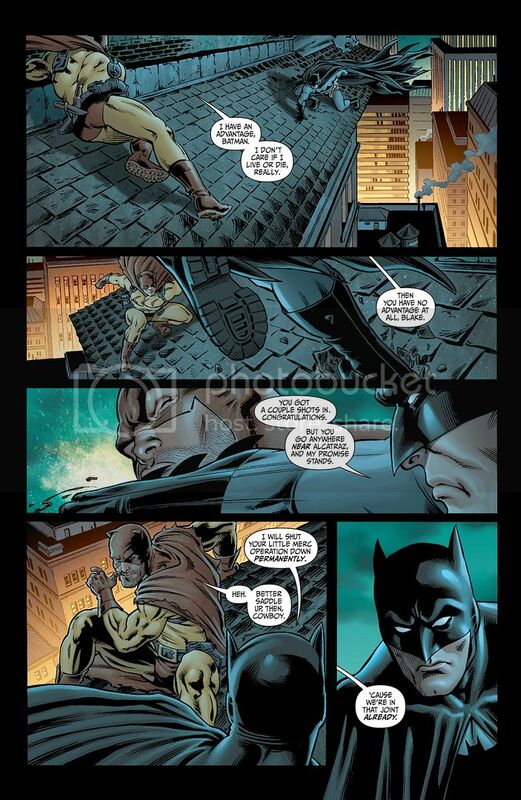 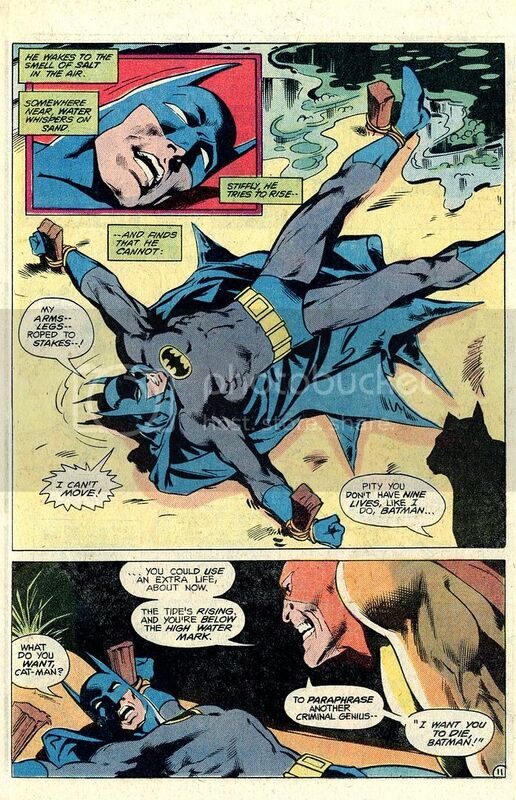 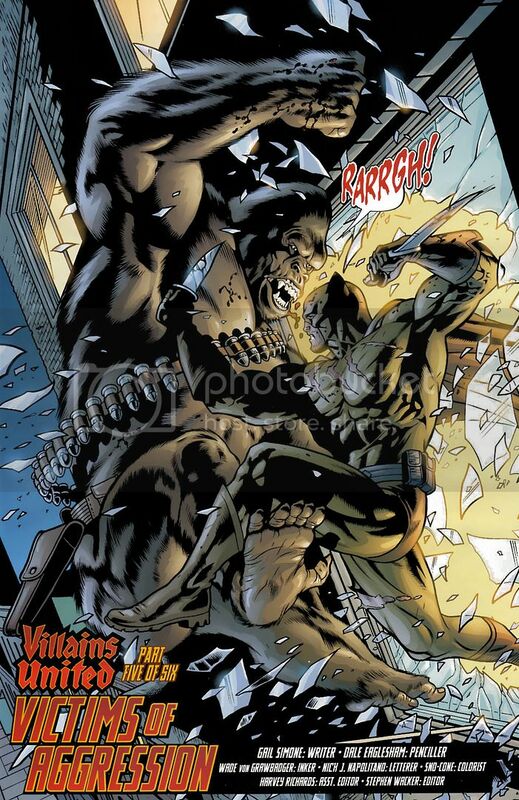 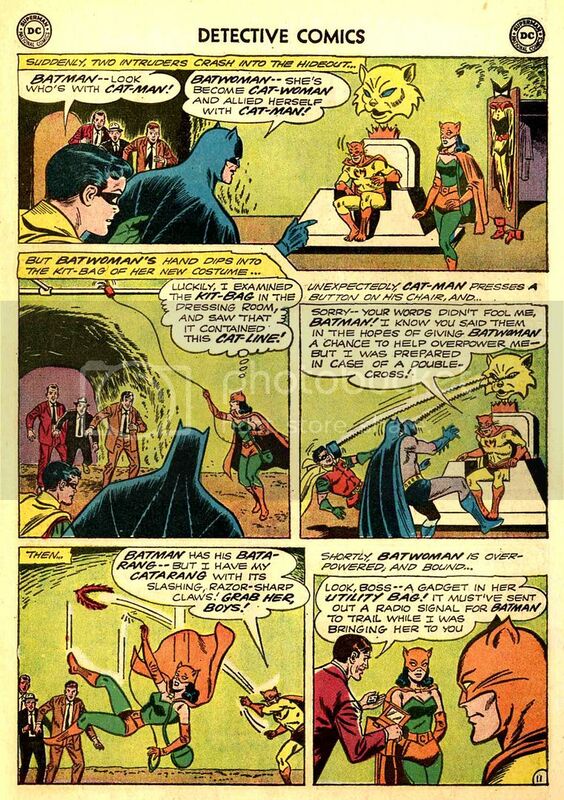 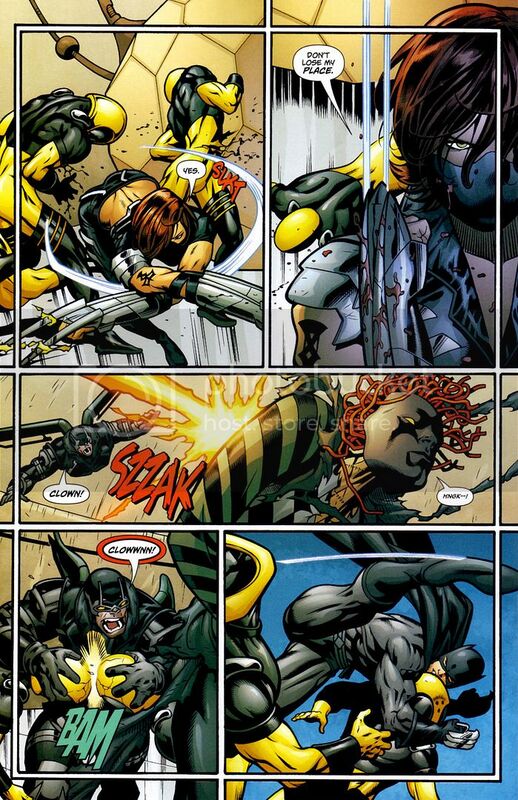 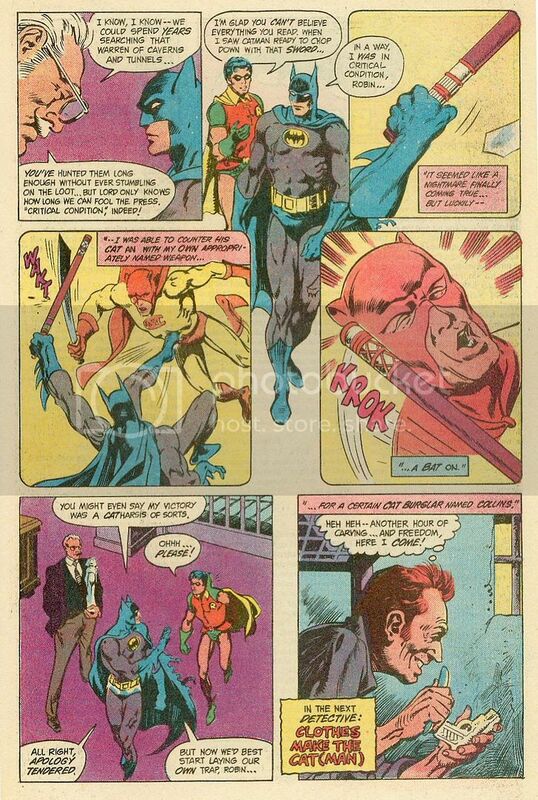 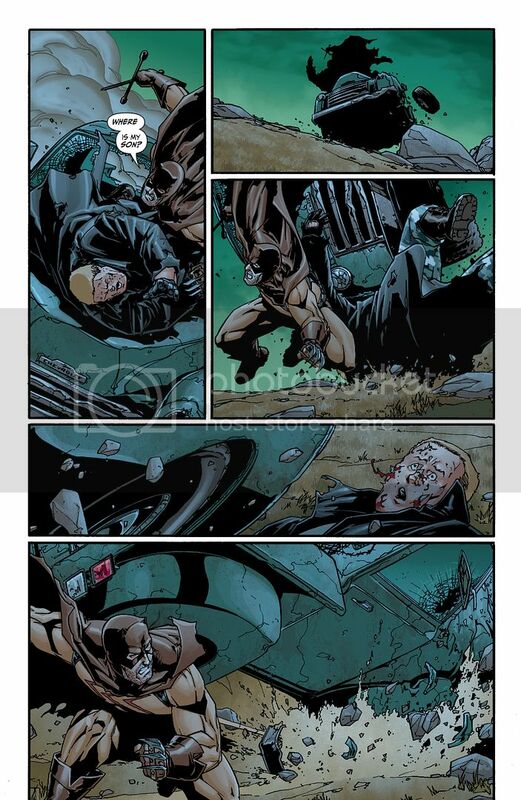 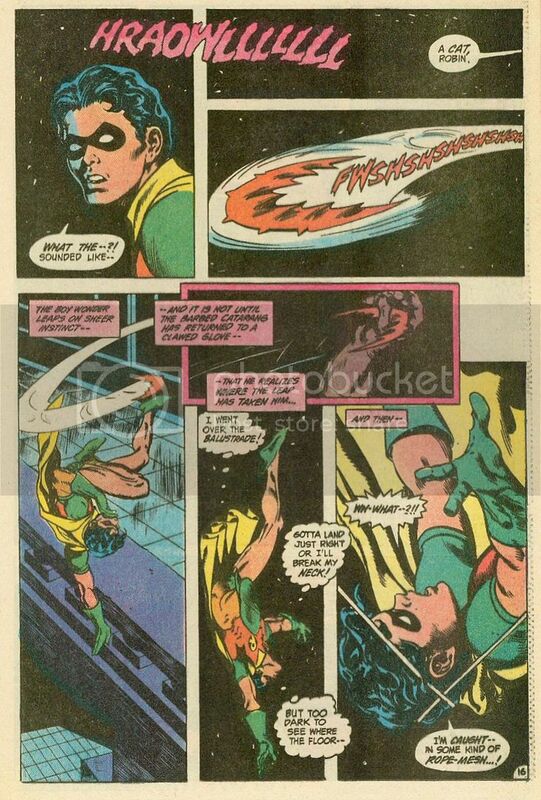 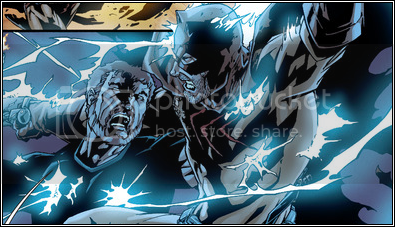 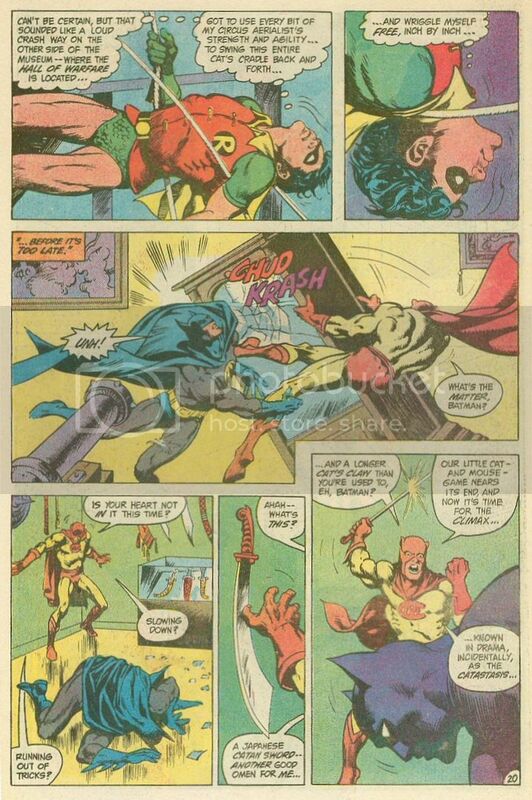 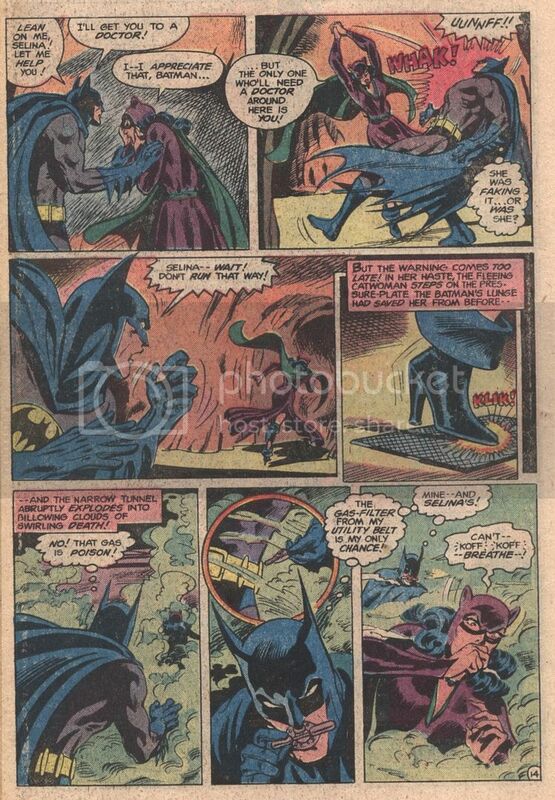 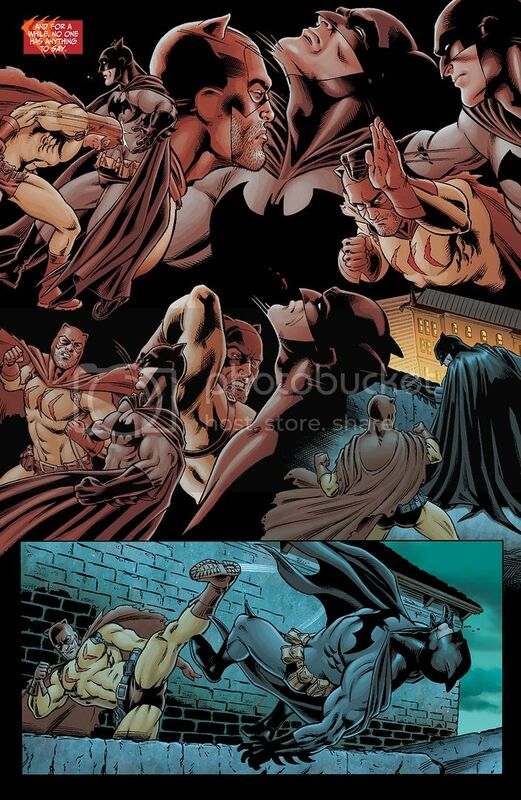 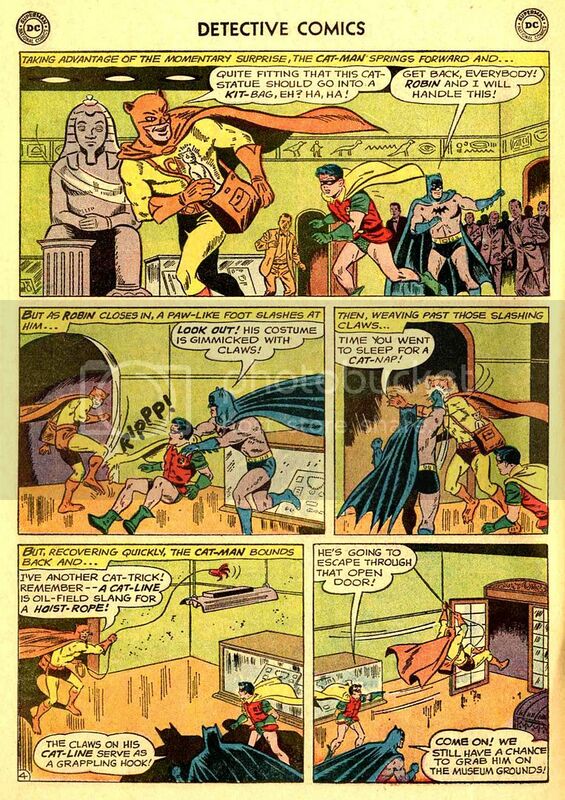 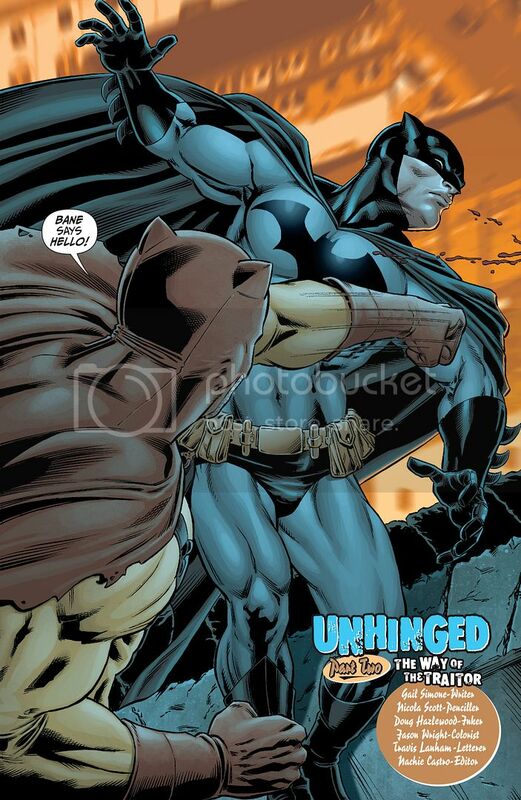 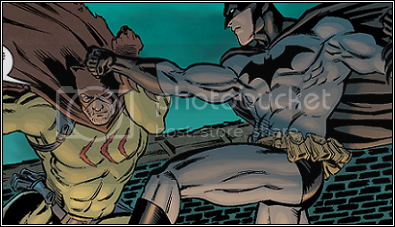 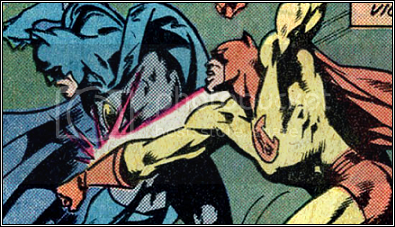 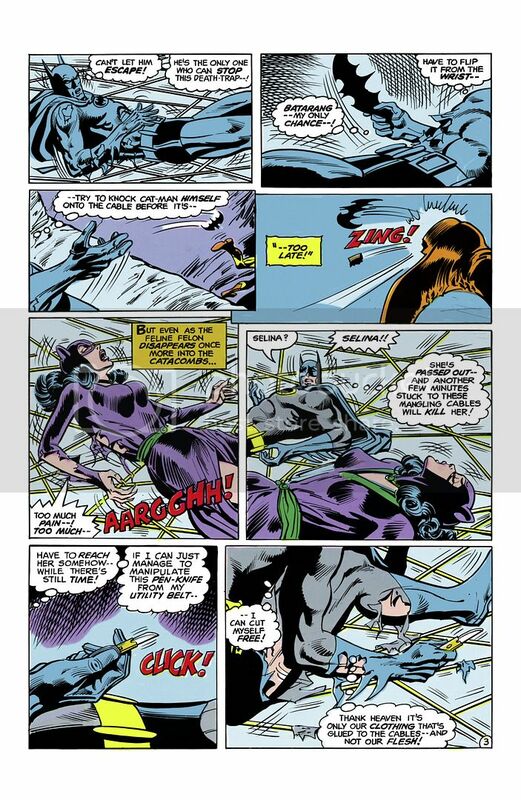 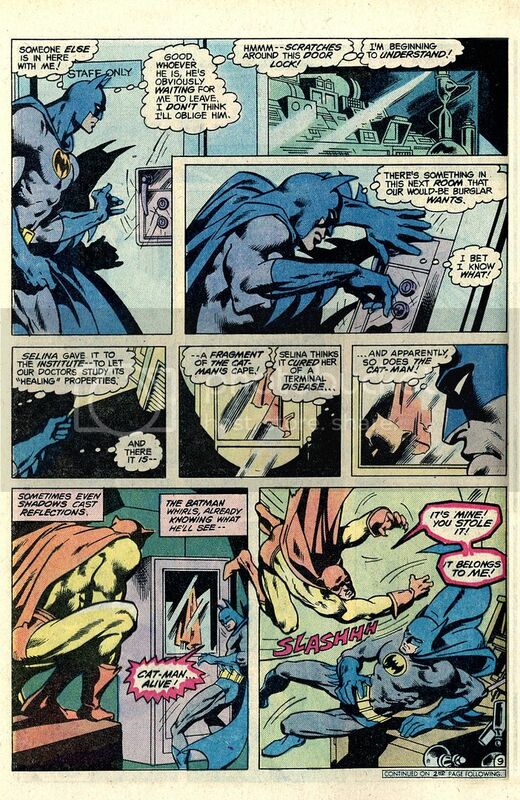 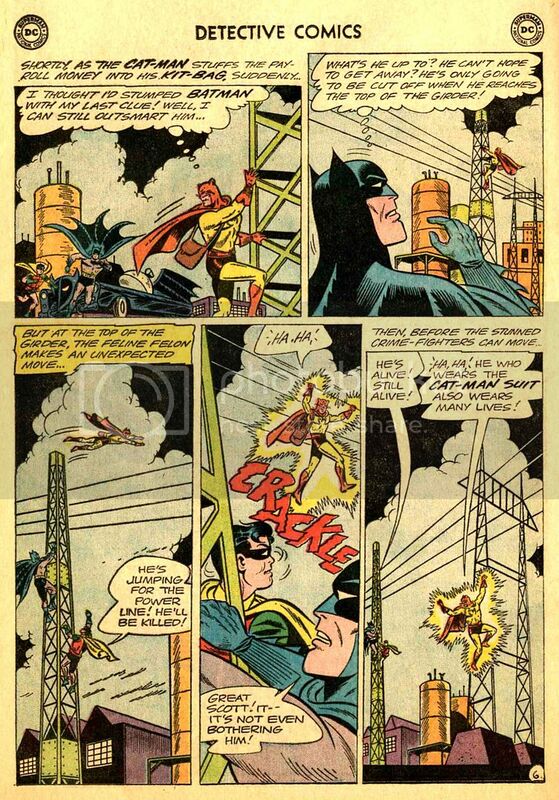 Not much of a fight, but Catman cuts Batman’s grapping hook and he falls knocking his head rendering him unconscious. 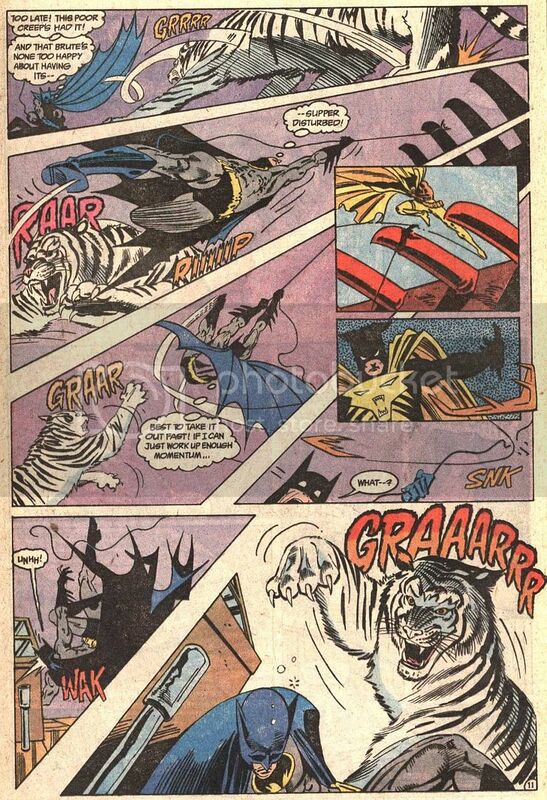 The tiger was going to eat Batman until Catman saved him. 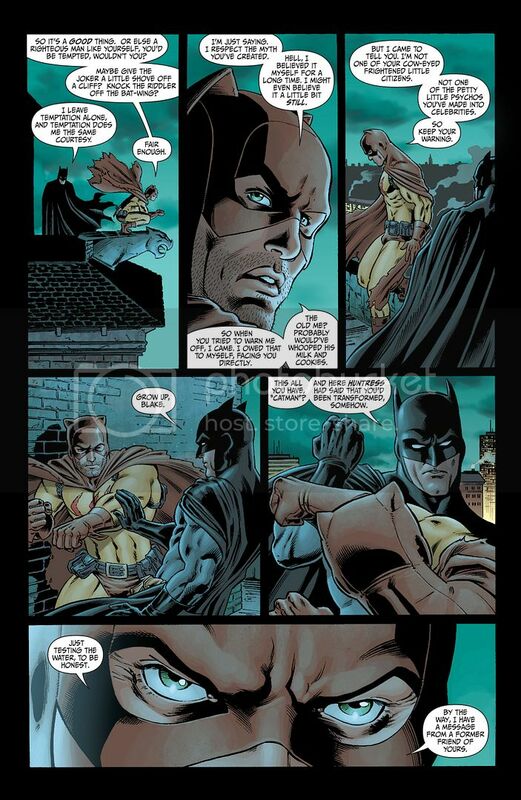 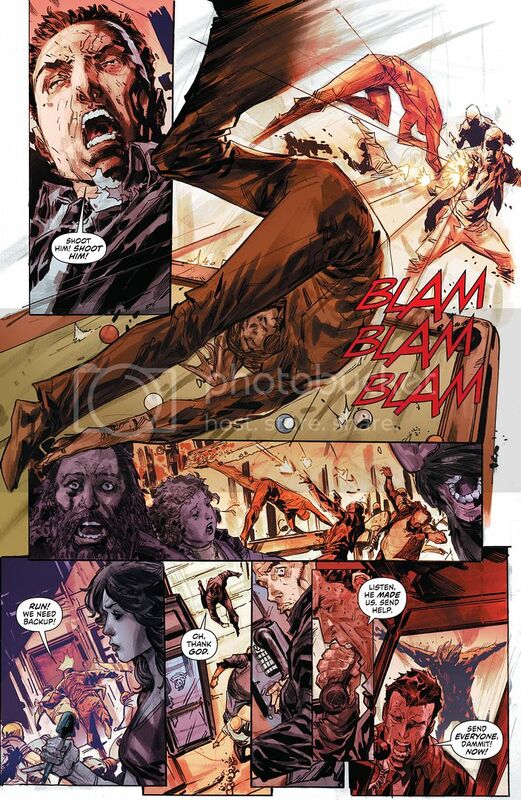 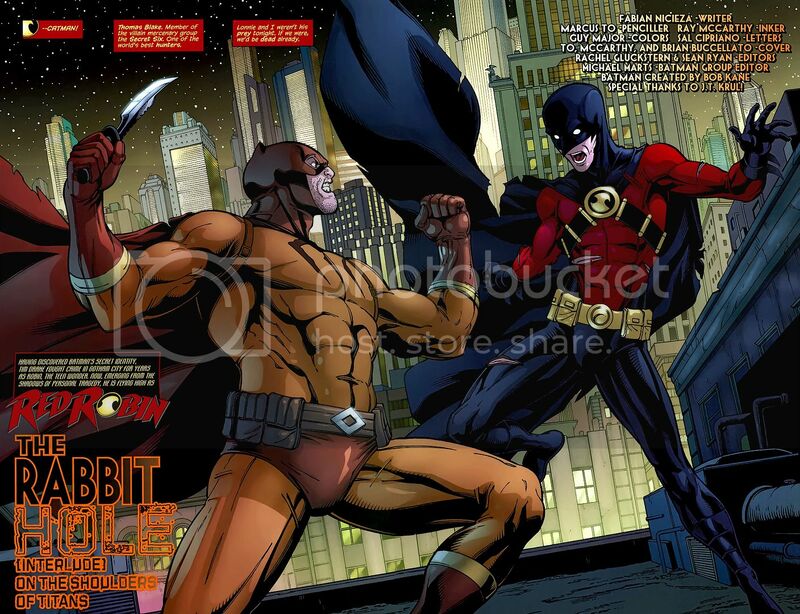 Thomas Blake used to be a big game hunter, tamer of big cats, a bored adventurer who turned to crime both to rebuild his fortune he’d gambled away and to test his wits against Gotham’s Dark Knight. 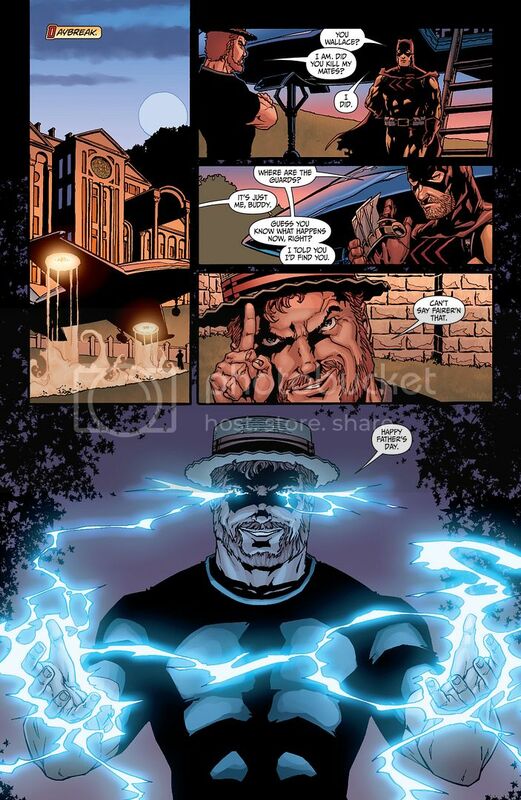 He was a dangerous foe and lost his way. 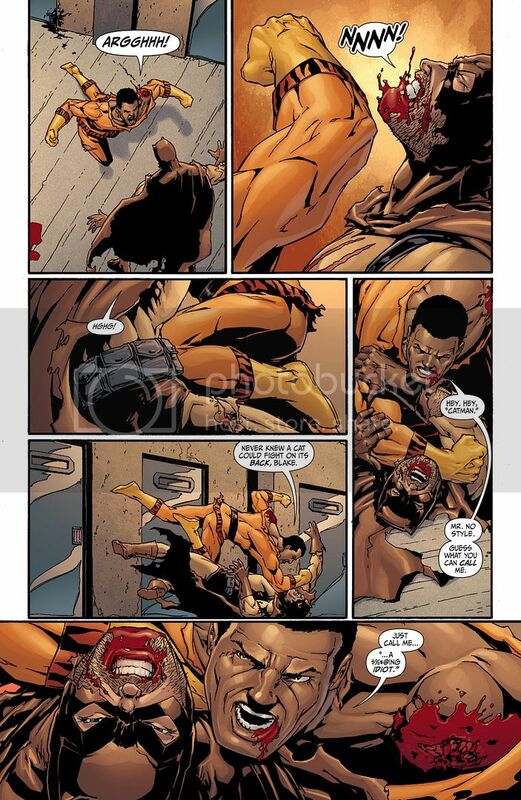 He traveled to Africa and rebuilt himself into one of the most skilled and lethal fighters on the planet. 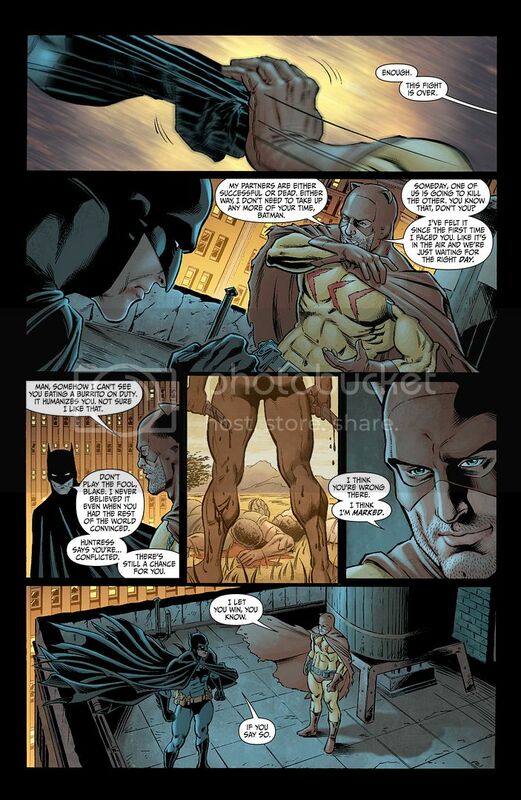 However, he walks along the line between good and evil. 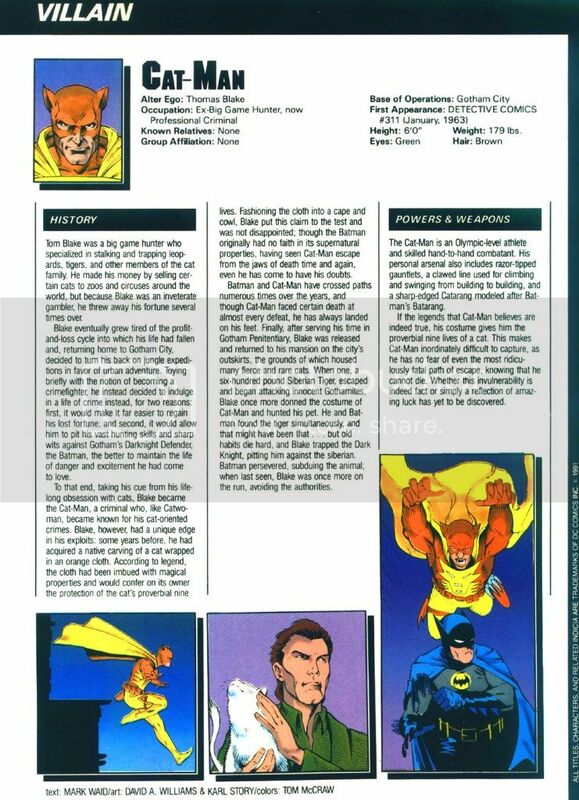 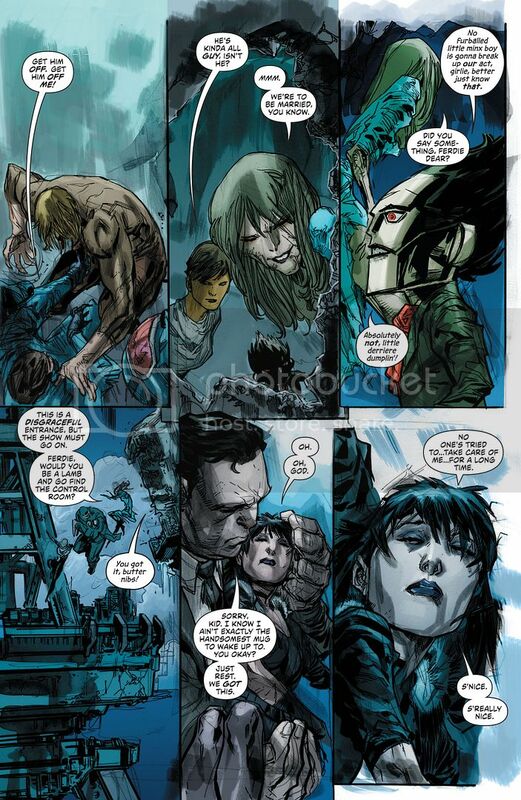 Flashback of when Catman was a child with his parents. 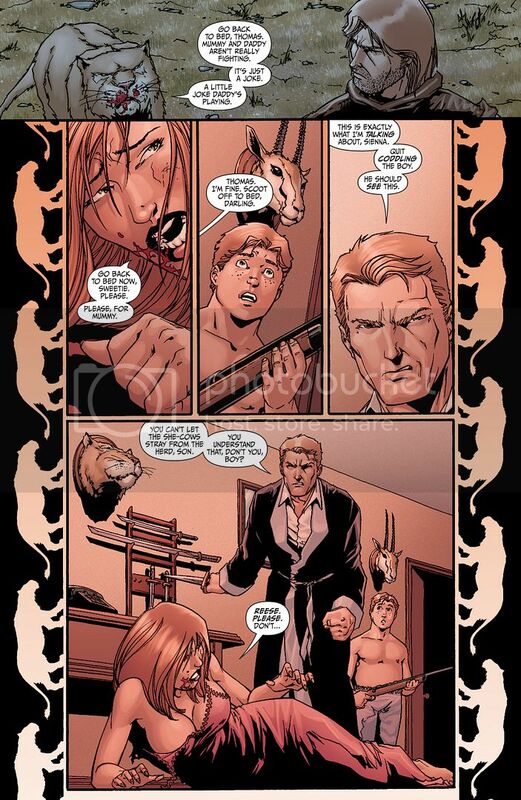 His father was a big game hunter that was abusive to his wife. 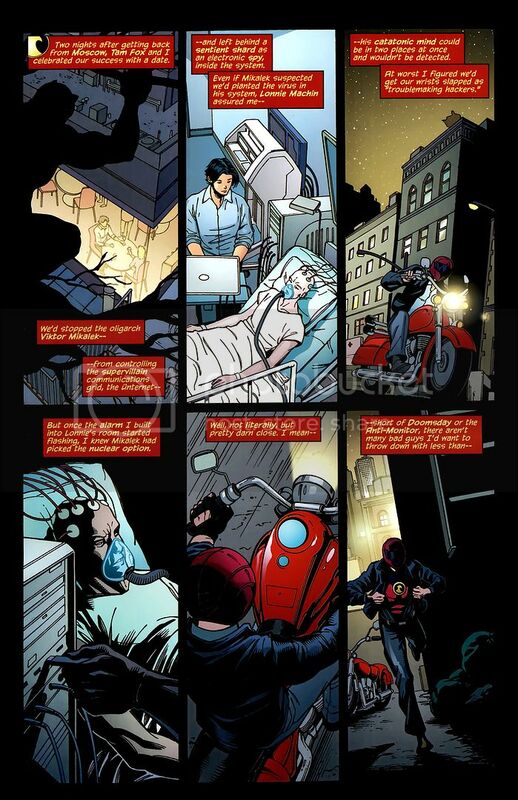 One night his father was going to kill his mother, so he finally stands up to him but accidentally shoots his mother. 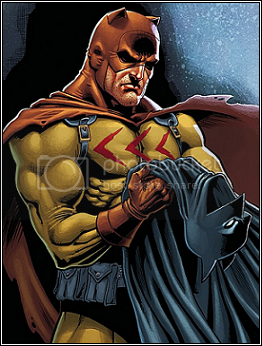 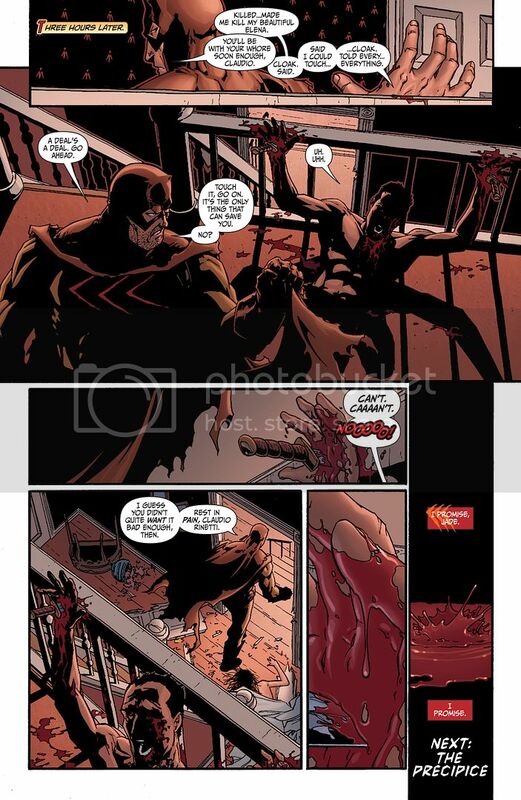 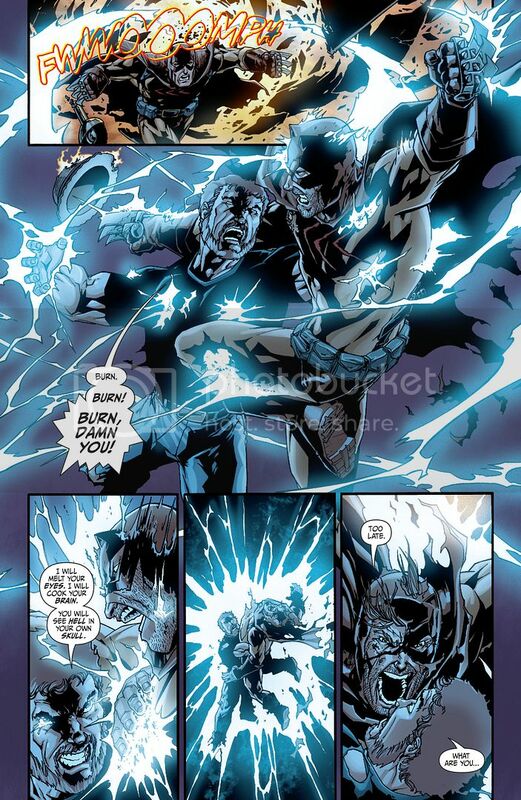 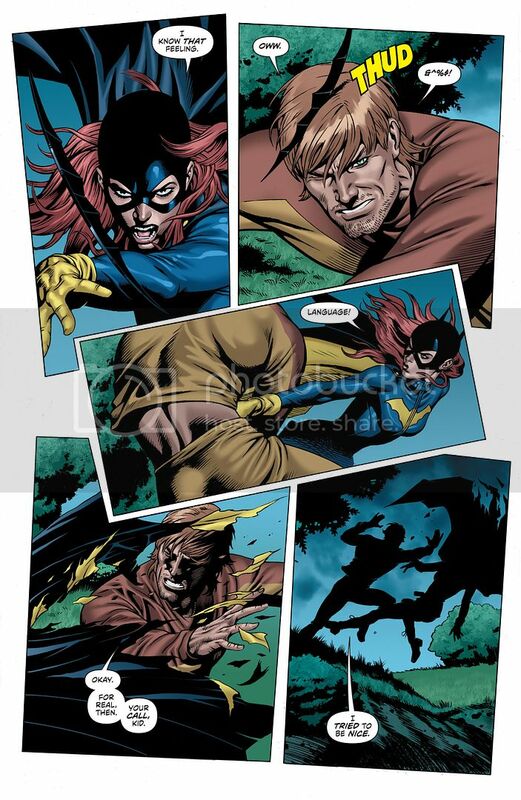 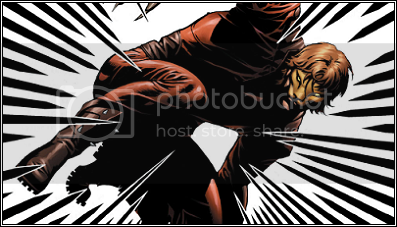 His father thinking that “freed” him in reality began his path as Catman and he then kills his father. 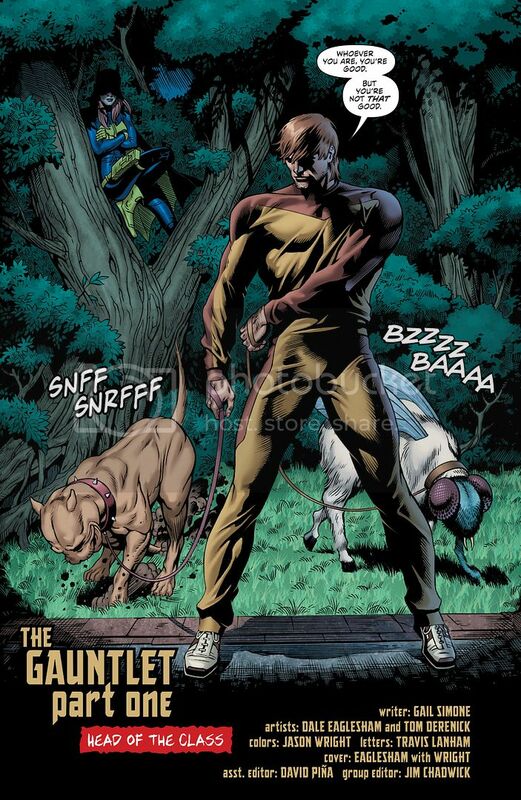 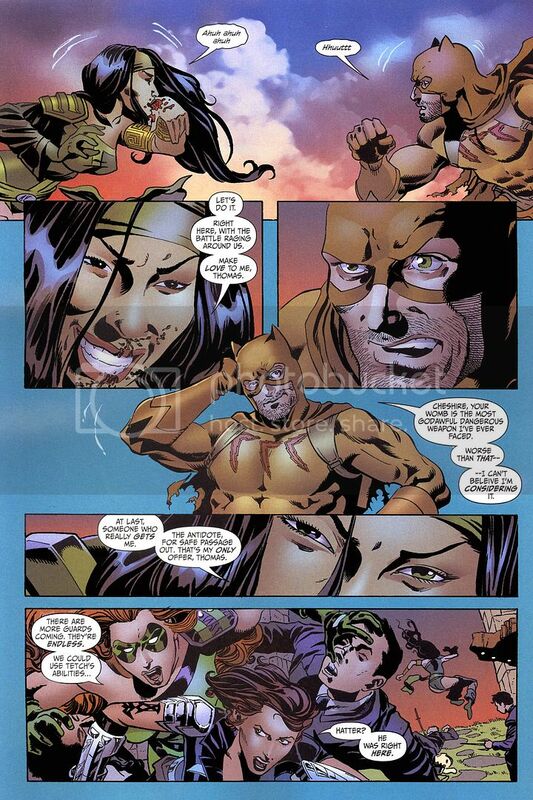 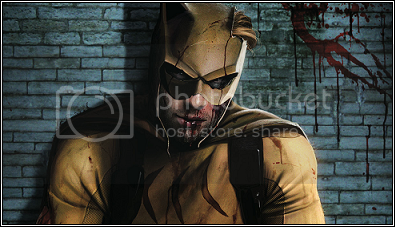 After Catman kills the three mercenaries hired to kidnap his son he comes face to face with the mastermind behind it. 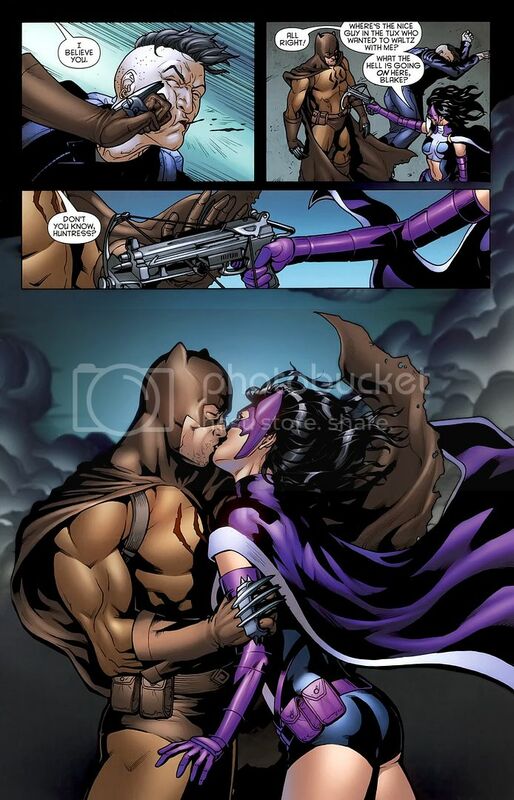 It’s revealed he didn’t want to hurt Catman, but to hurt Cheshire. 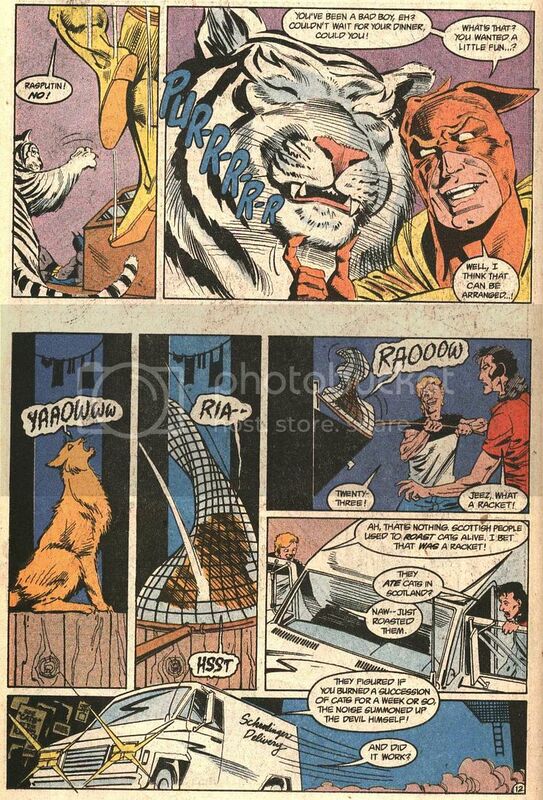 He put Catman’s son up for adoption, and Catman realized for his son to have a chance in this world he had to let him go. 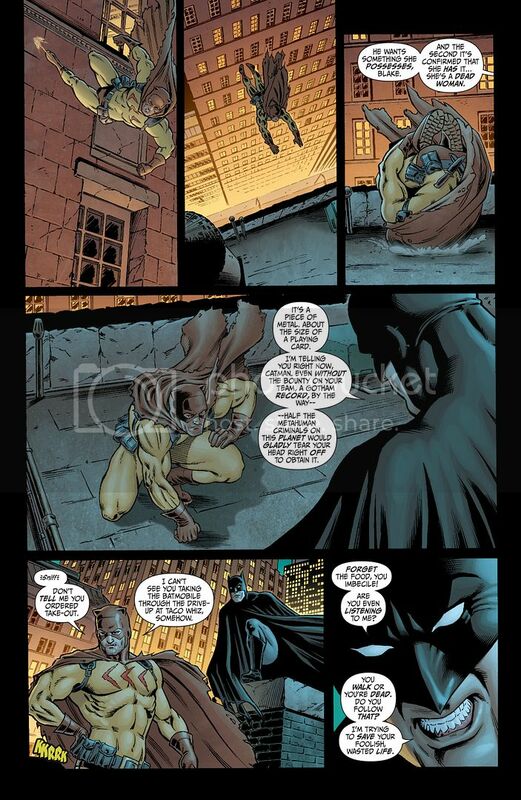 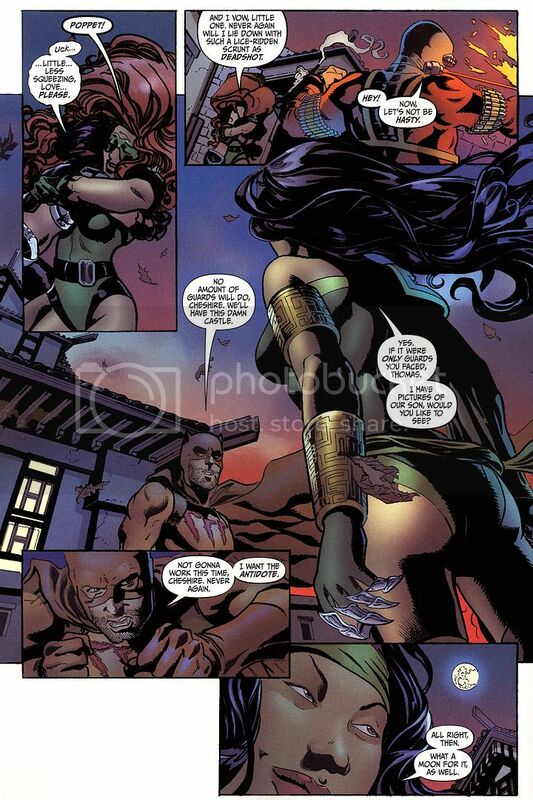 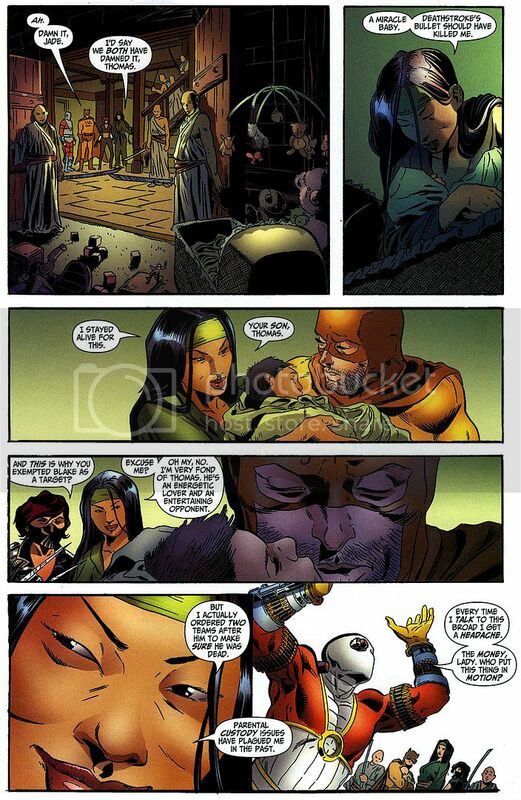 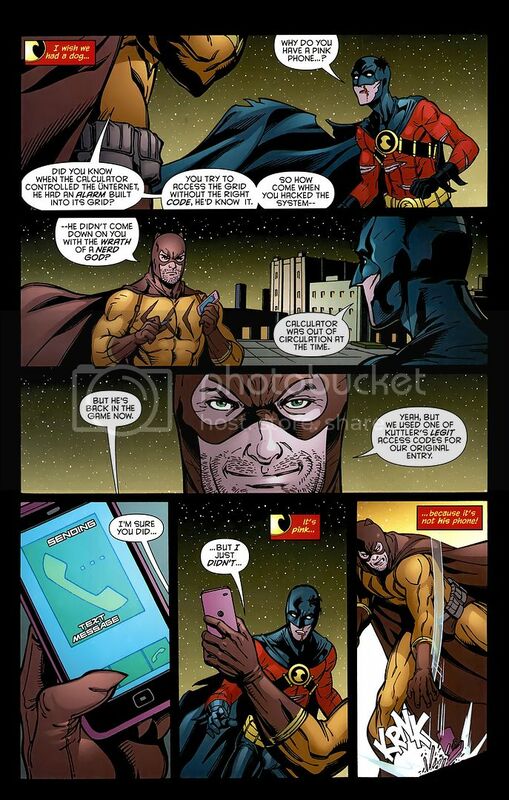 So he called Chesire to tell her he failed and their son died ….he then deals with the mastermind. 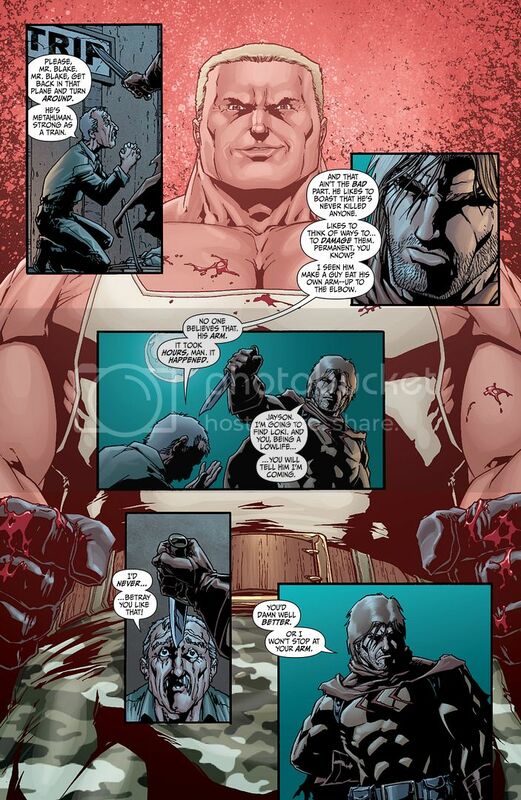 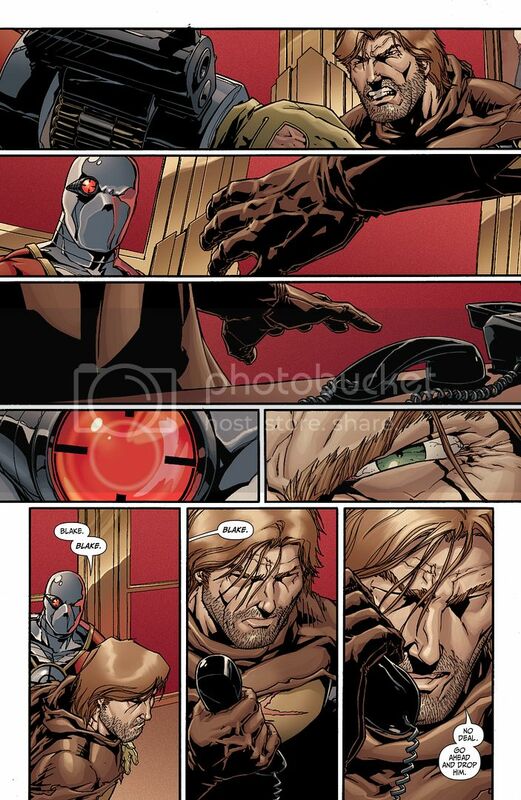 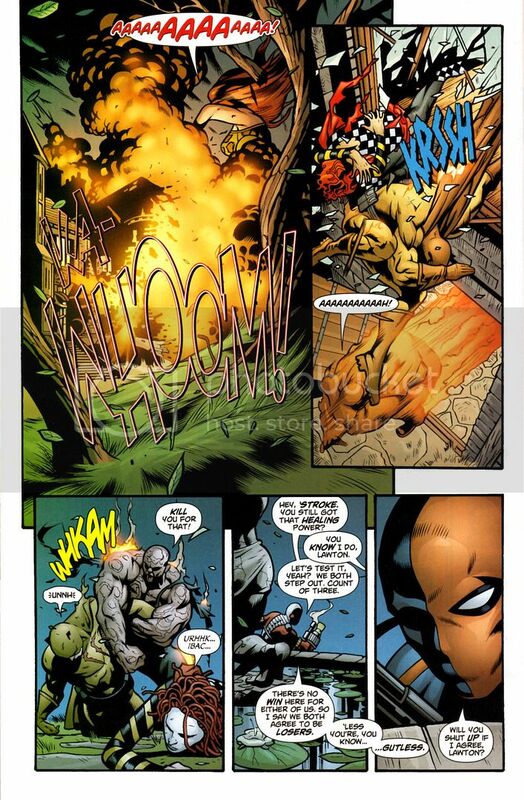 Bane is out for blood and they have a very brief clash. 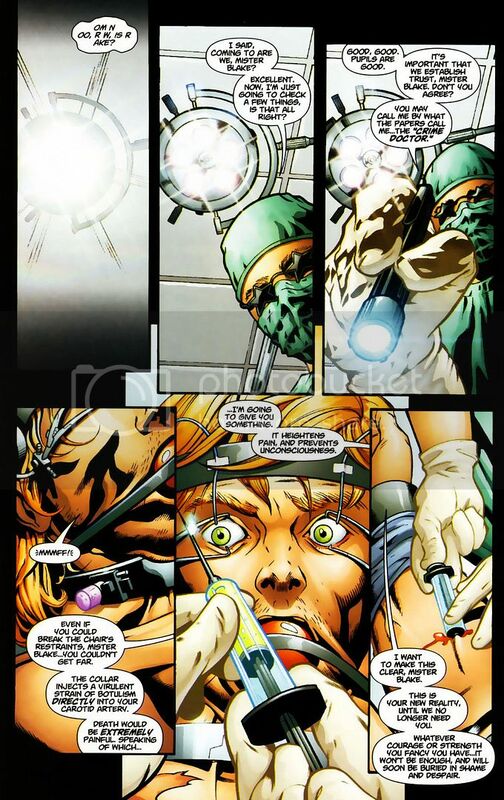 Not much comes out of it. 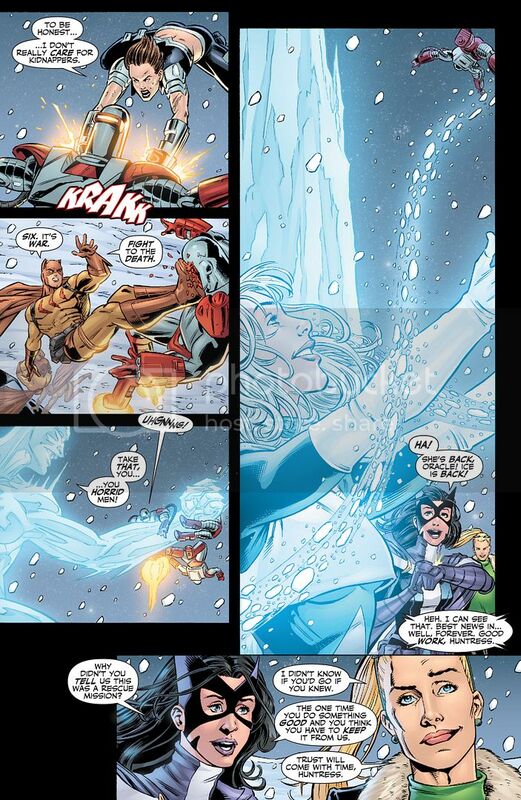 Impressive feat. 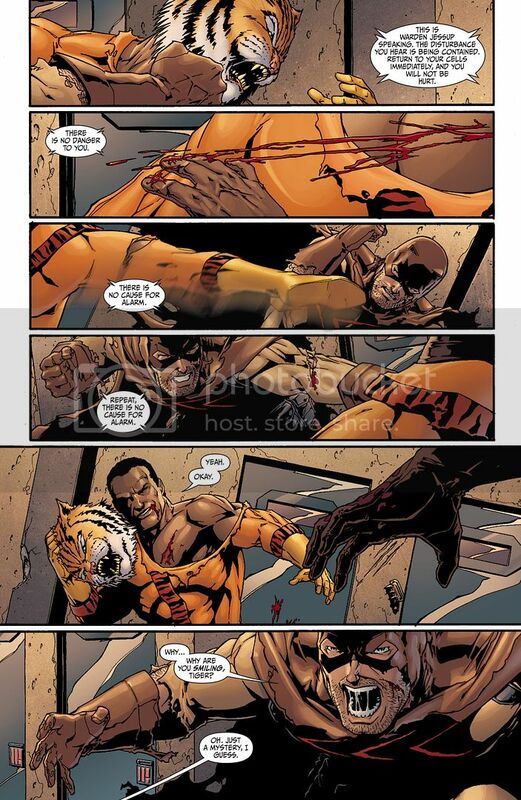 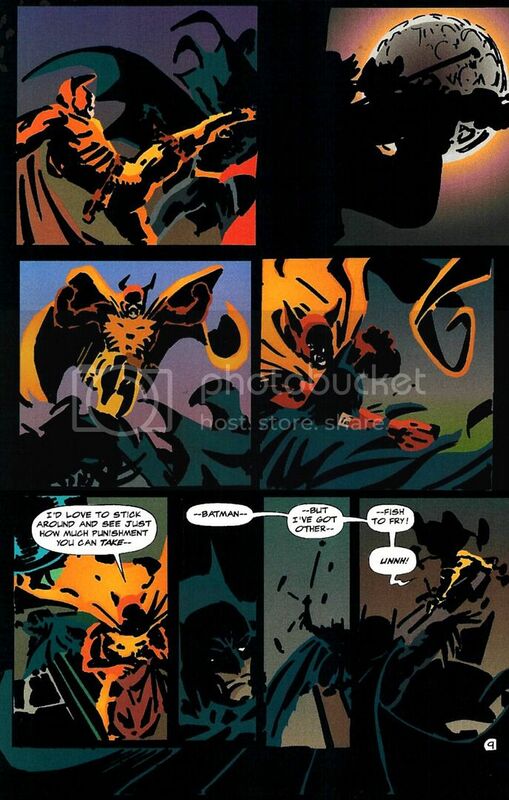 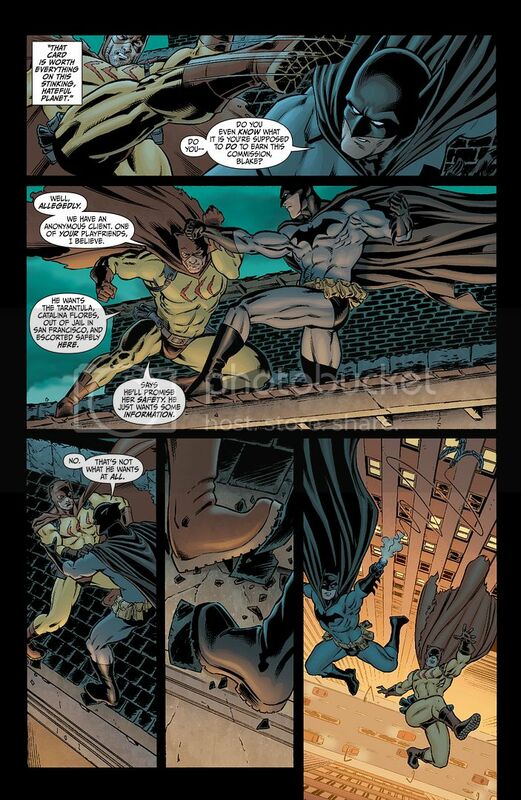 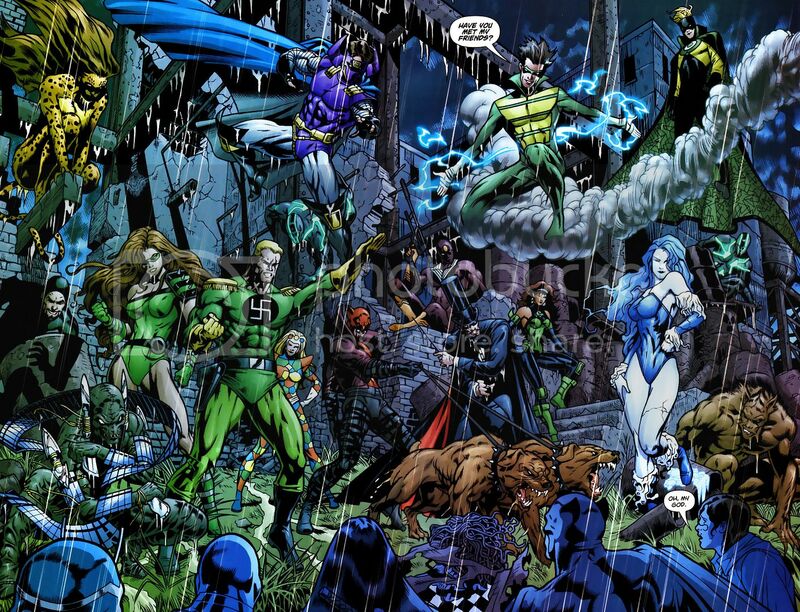 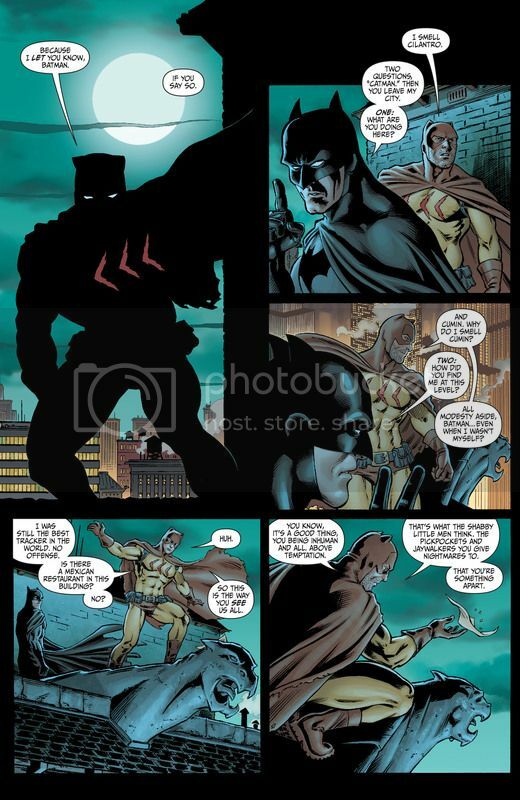 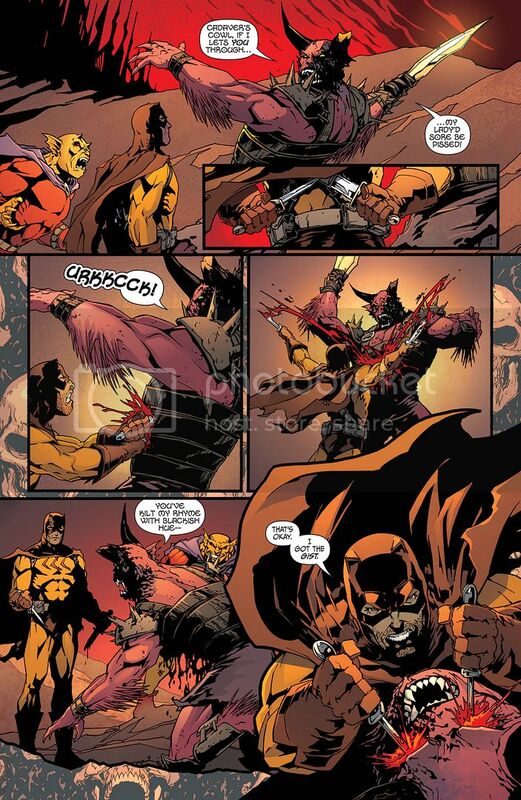 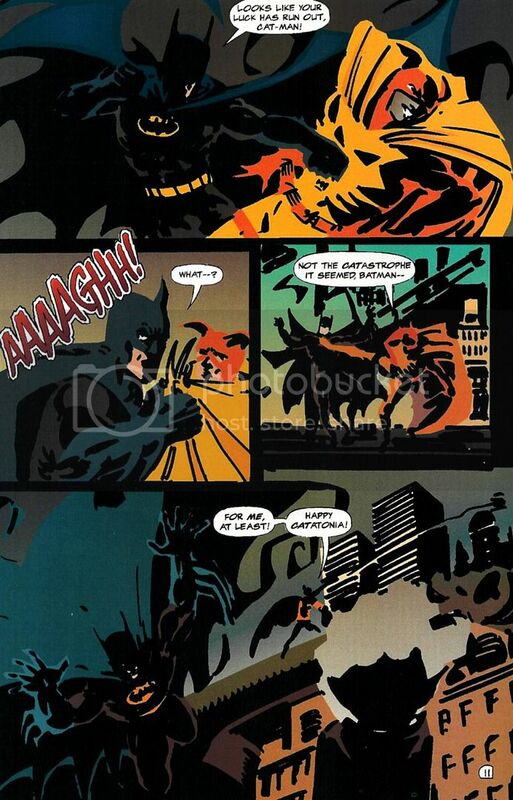 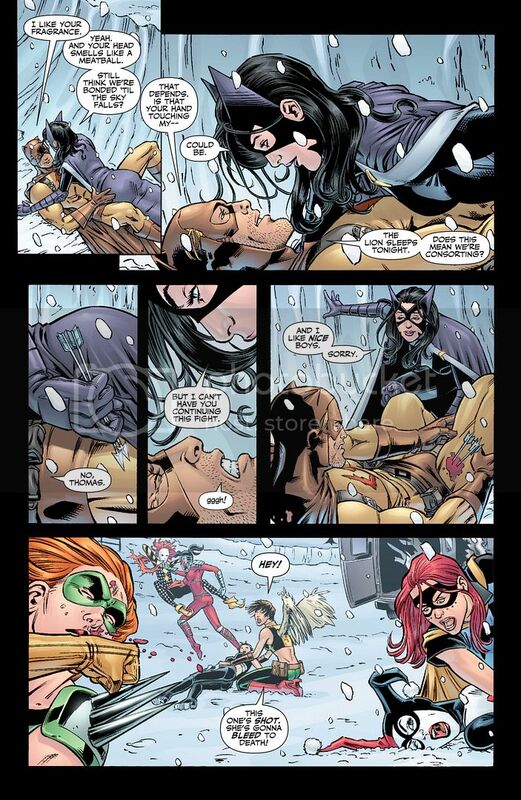 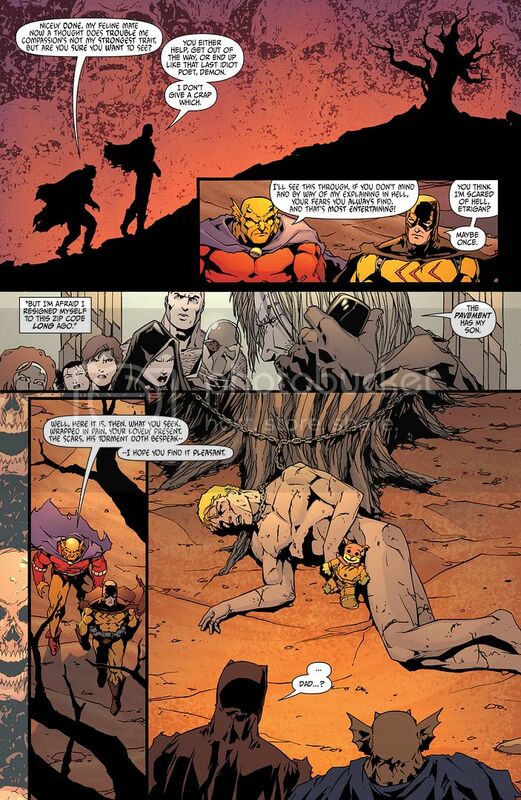 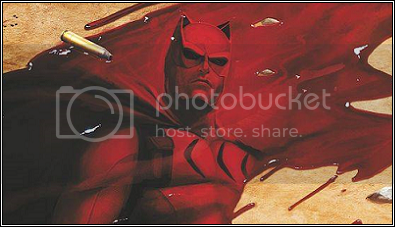 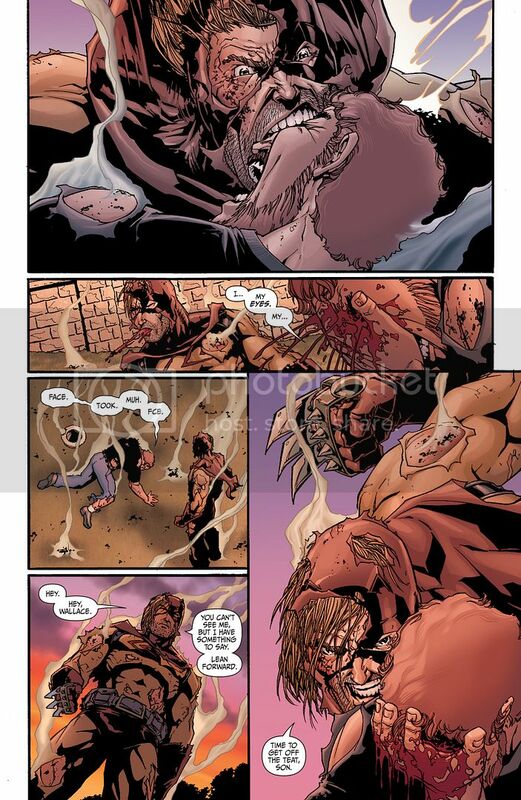 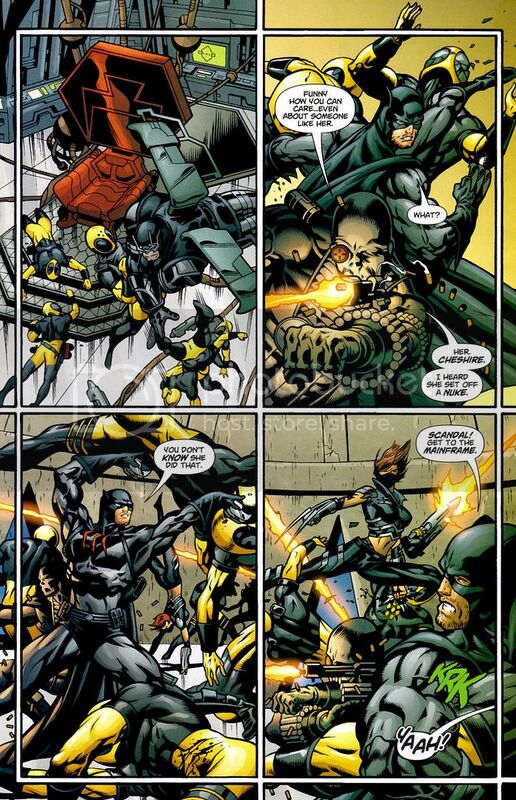 Catman and Batman fight as dead equals and leave each other bloody. 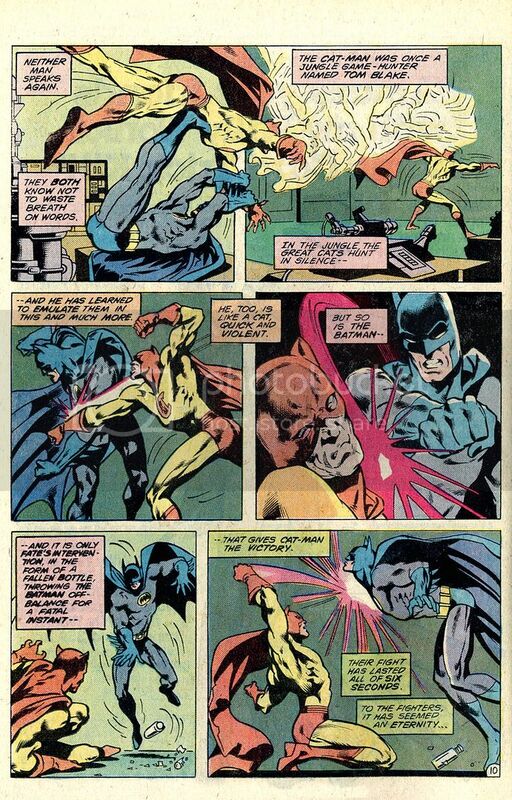 It ends abruptly as Catman merely wanted to delay Batman and ended it. 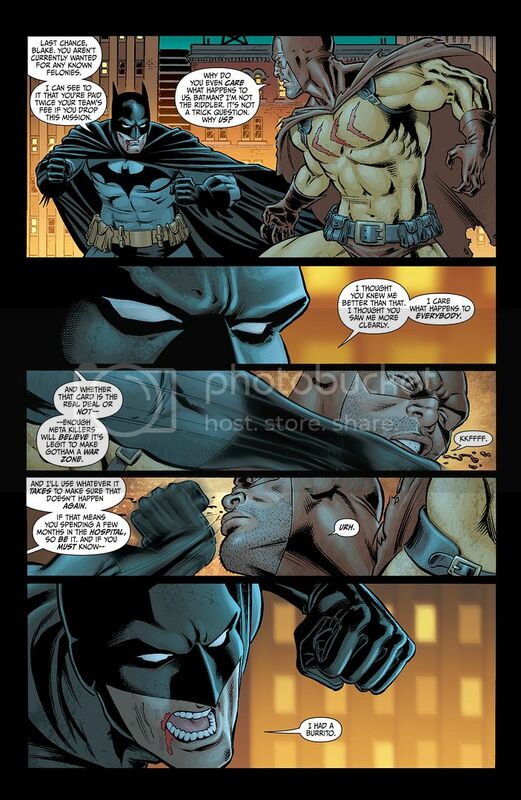 This fight really showed them as equals. 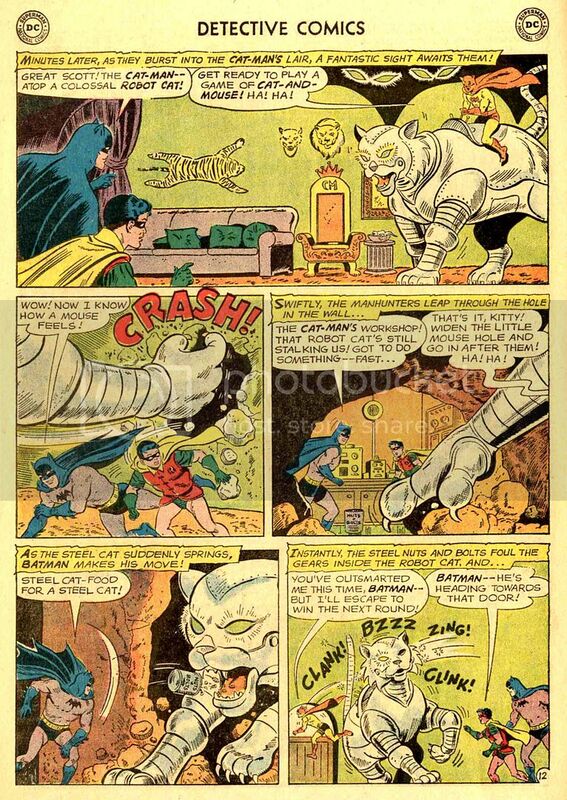 Here Catman and Batman fight evenly and it ends in a stalemate. 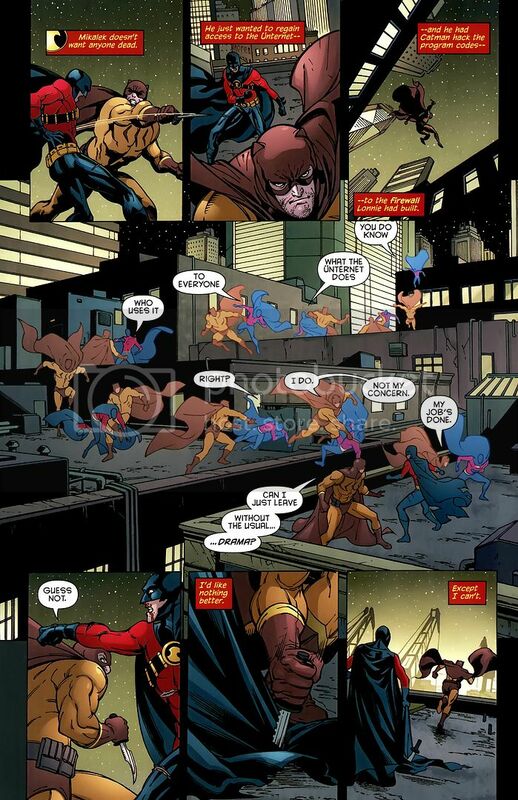 To help his teammates get away he takes on a group of villains himself. 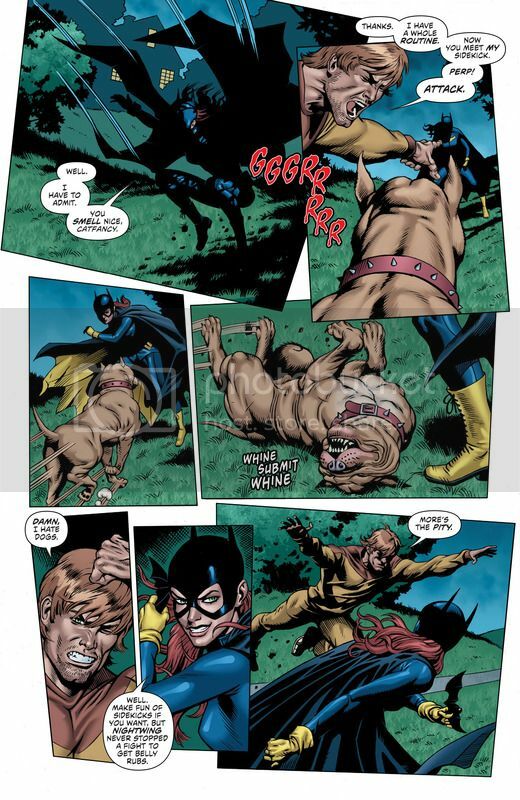 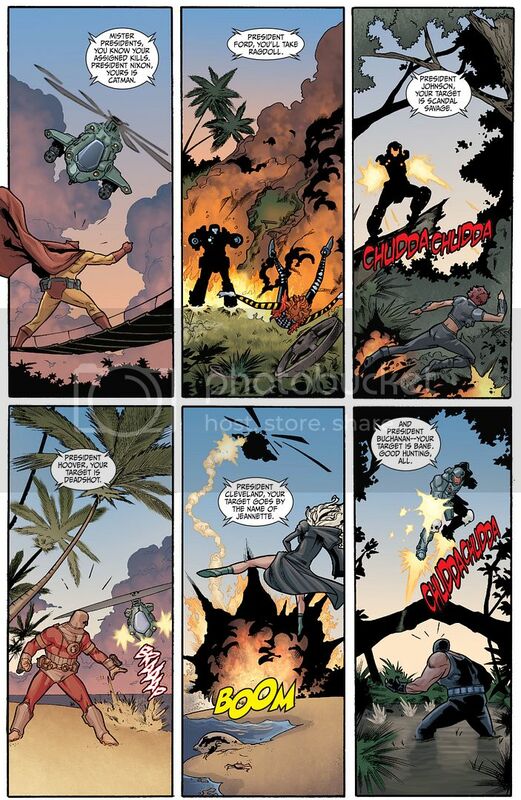 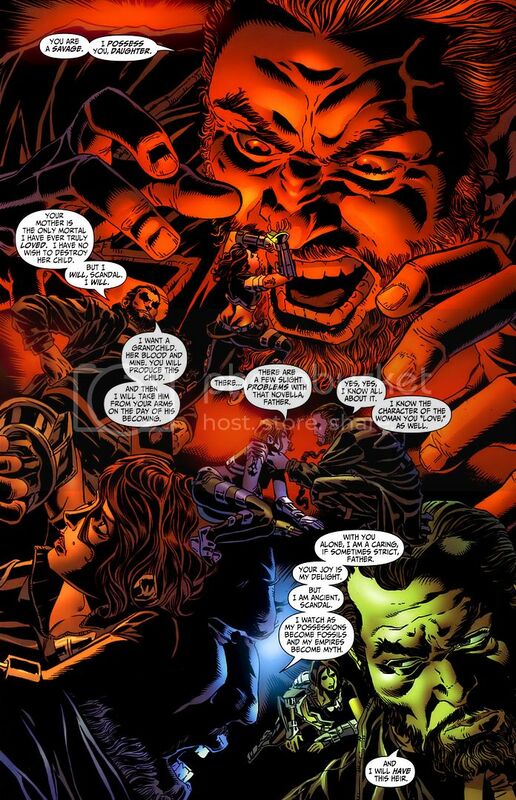 We see him easily take out Black Spider, Crazy Quilt and Hellhound until the heavy hitters arrive and attack him all at once. 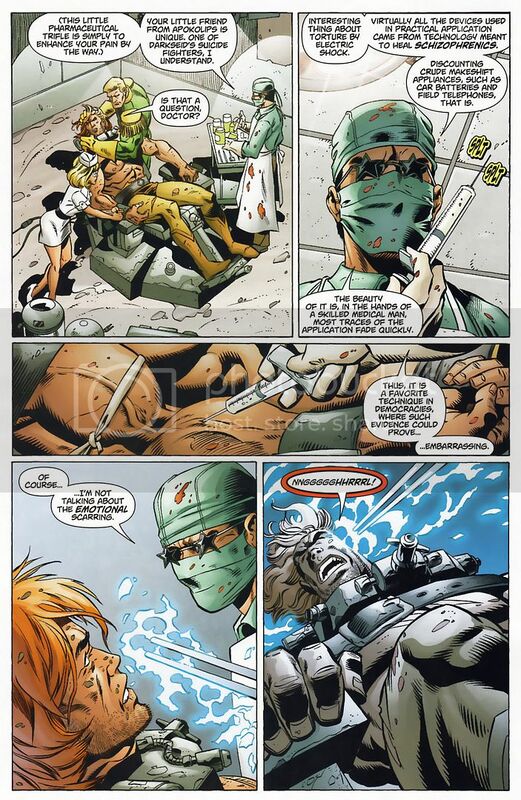 Against those odds he did incredibly well. 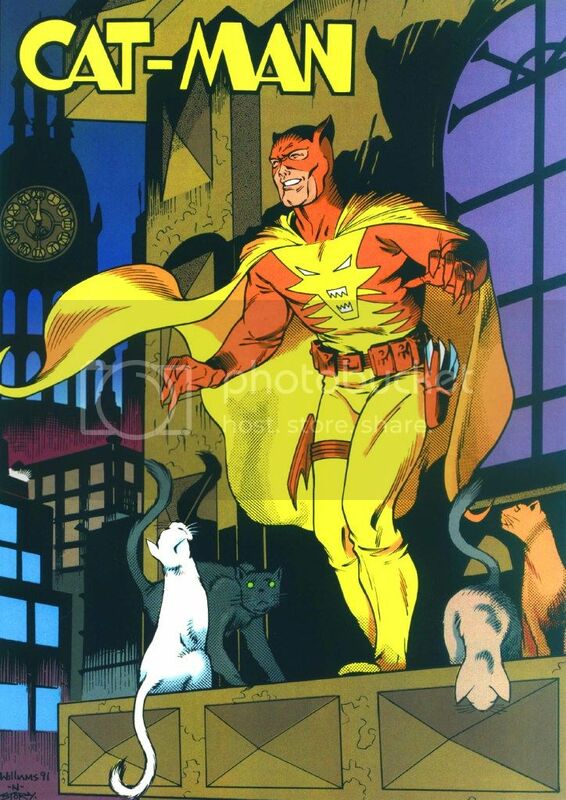 Here Catman shows his vast superioty. 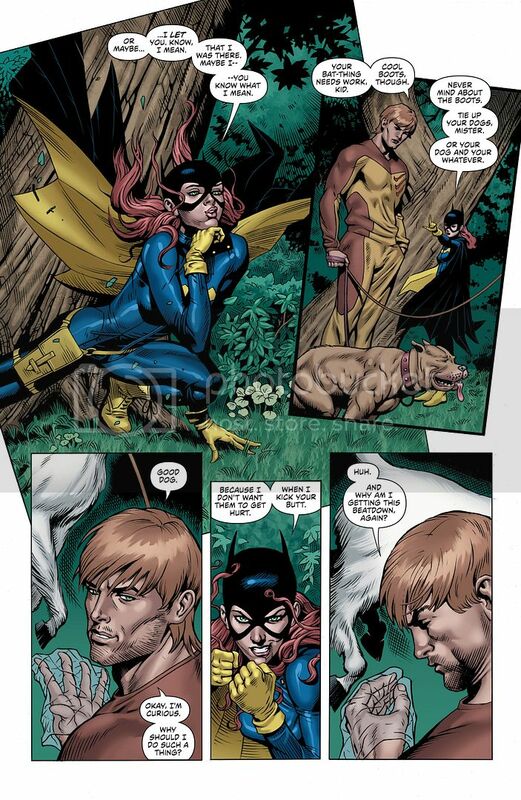 Even Tim knows it and Catman was merely toying with him. 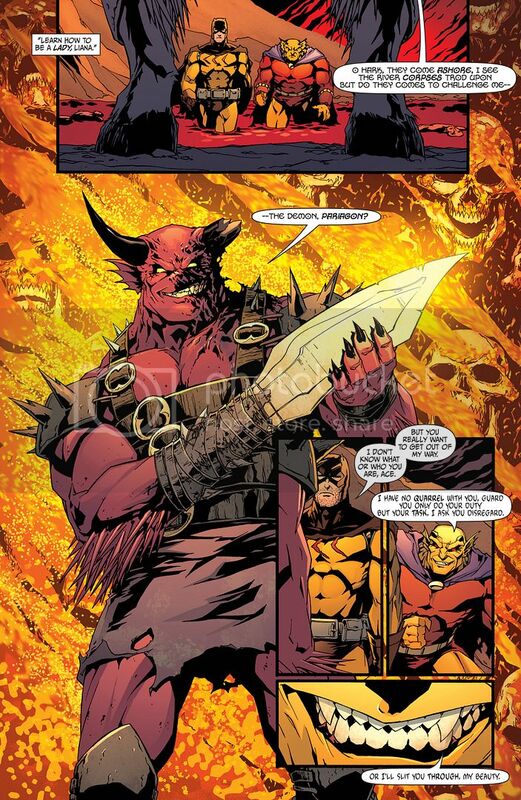 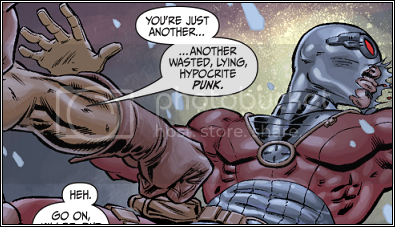 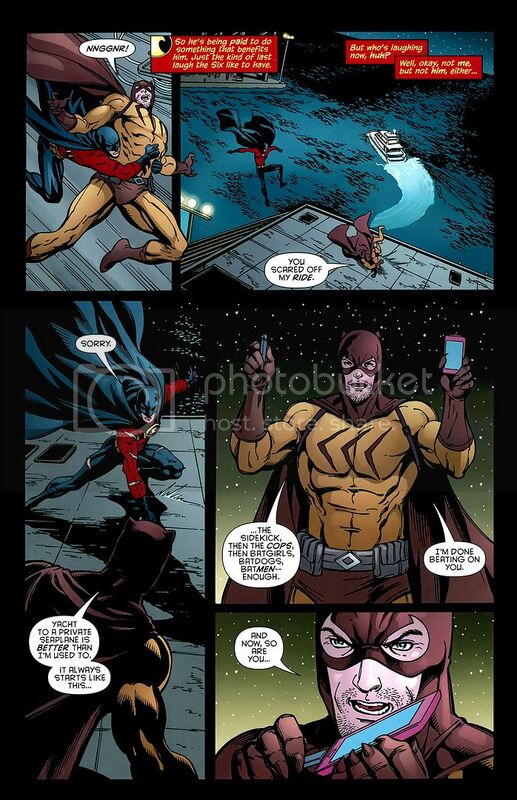 He even says short of Doomsday and Anti-Monitor, there aren’t many bad guys, he would want to throw down with less than Catman and if he wanted to he could kill him. 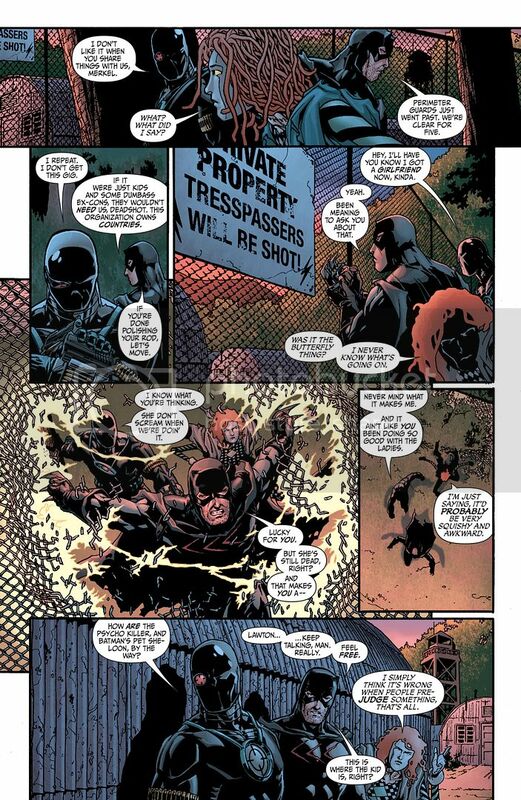 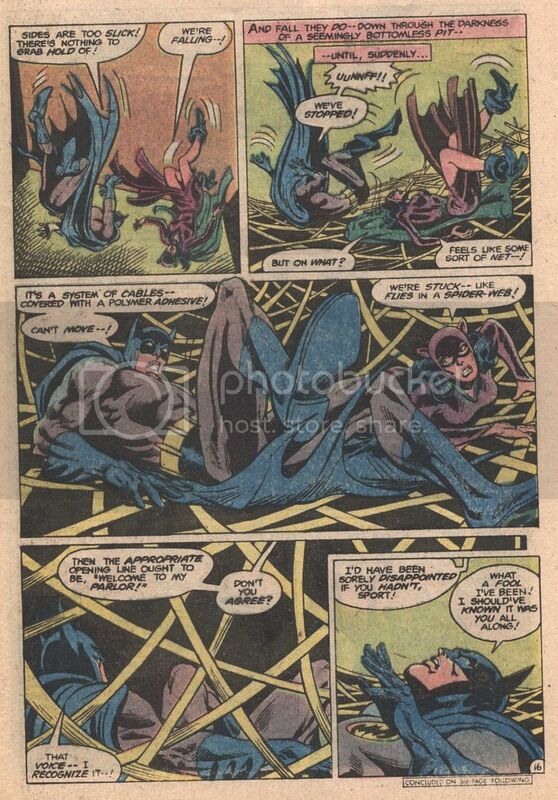 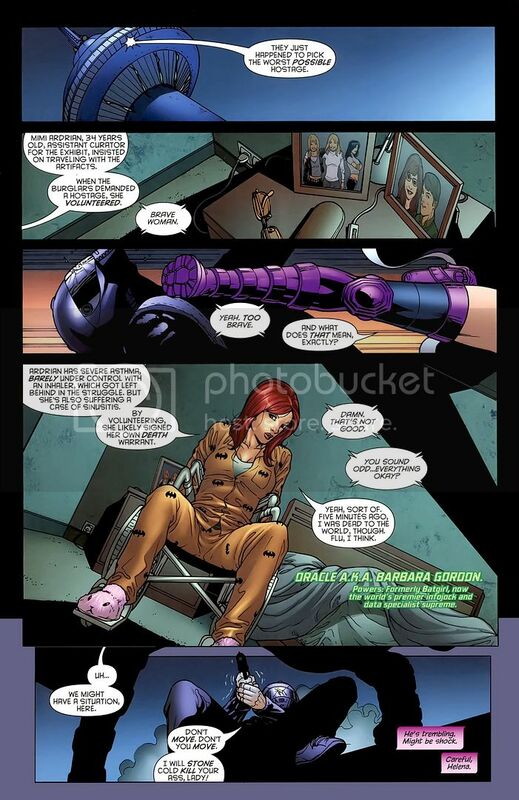 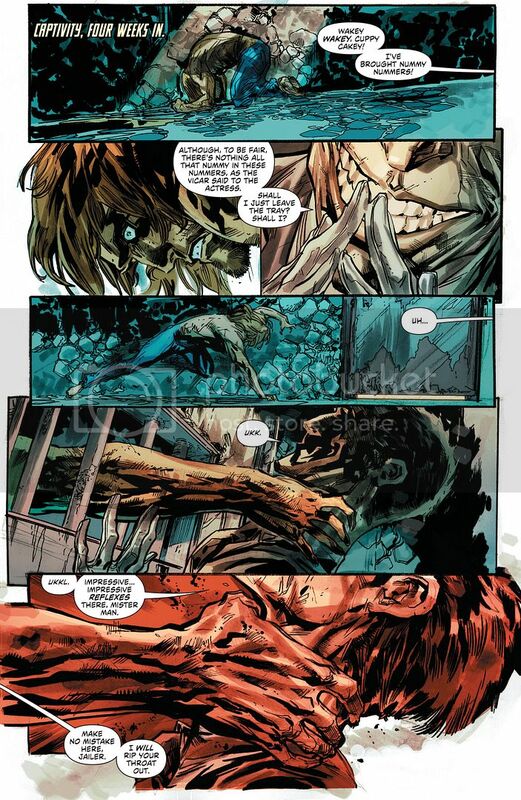 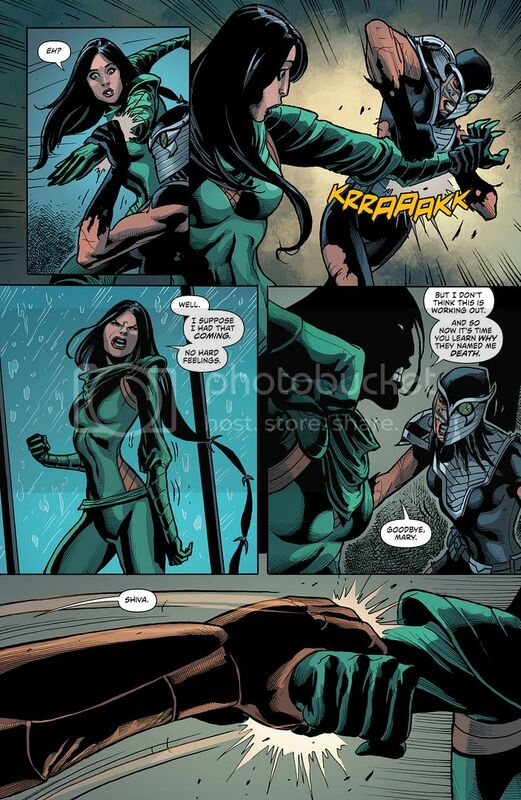 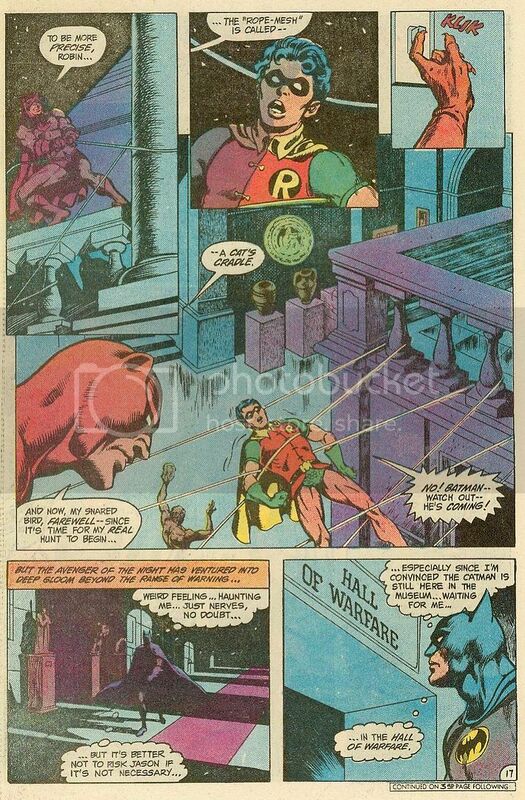 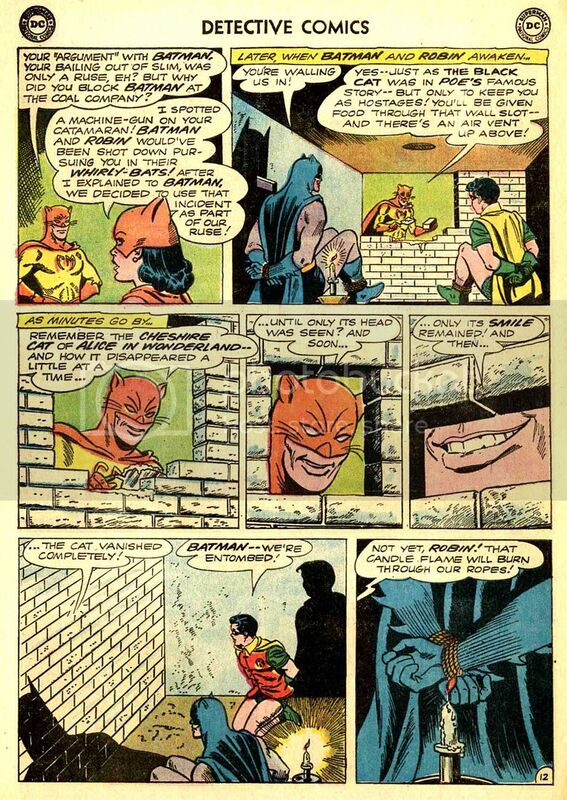 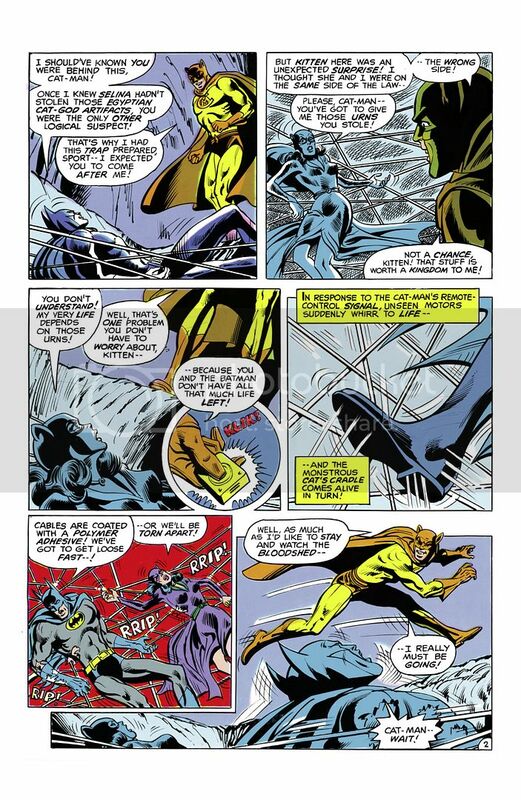 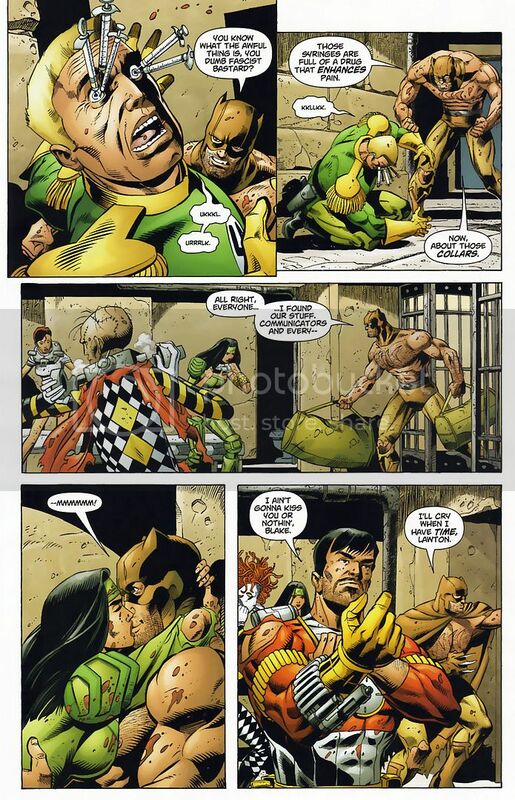 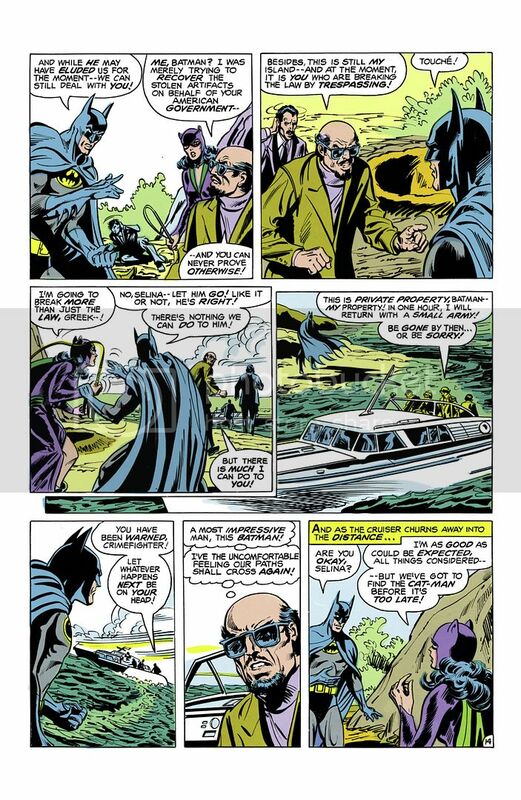 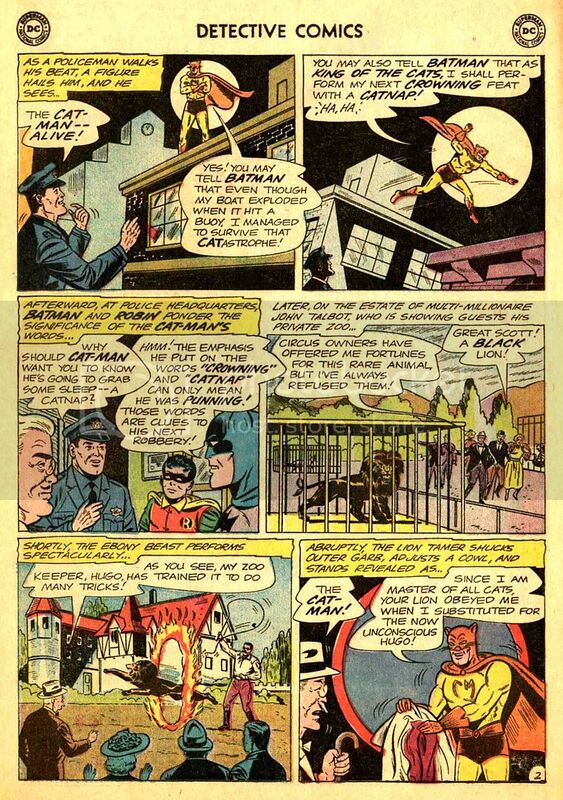 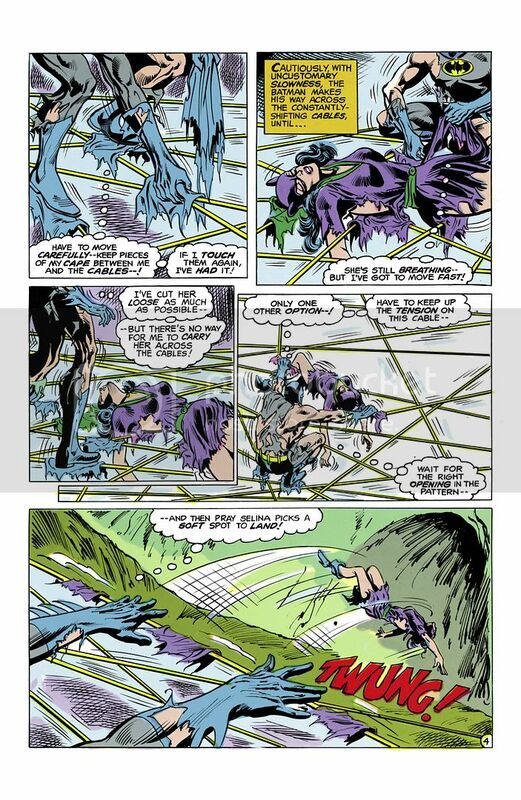 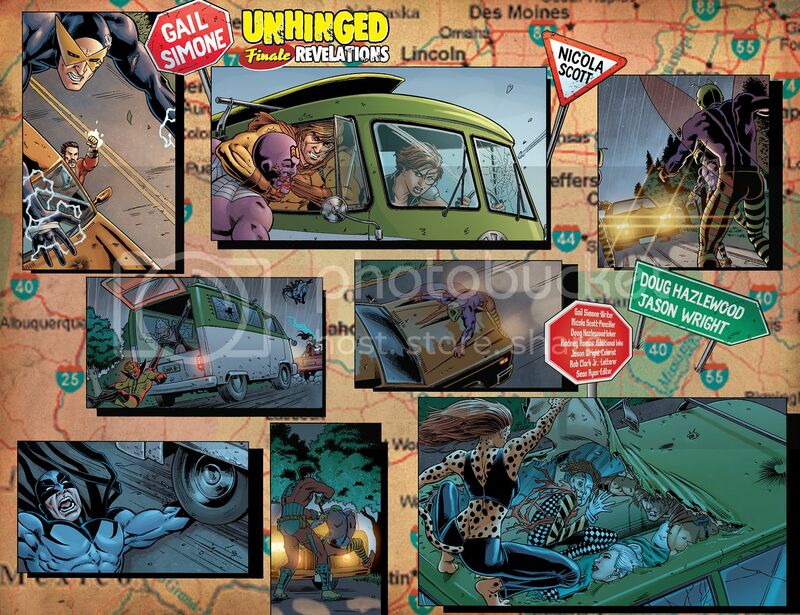 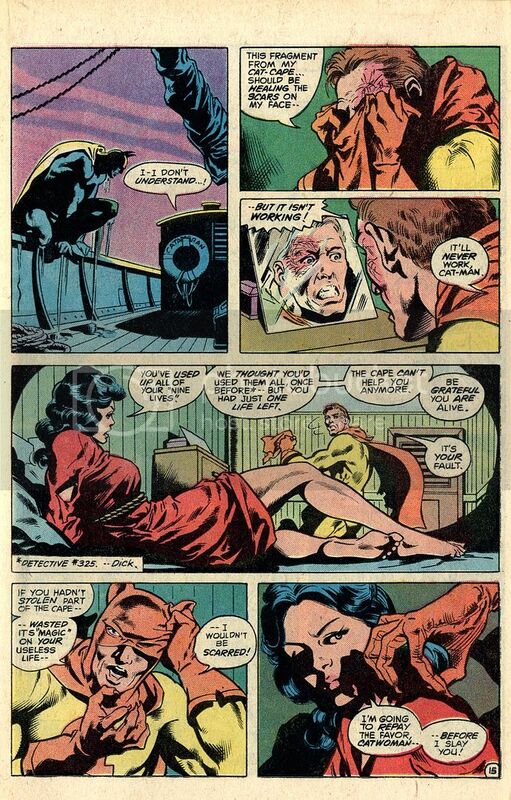 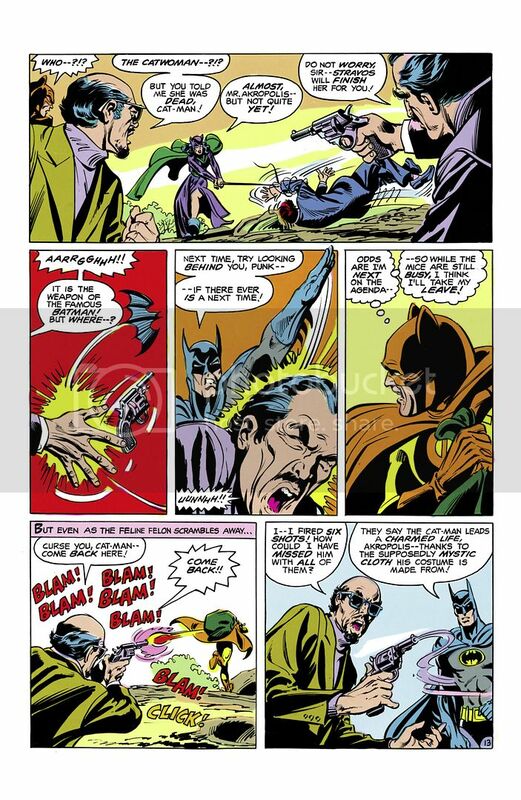 Here it shows Mockingbird (The Riddler) captured Catman and imprisoned him for an entire year. 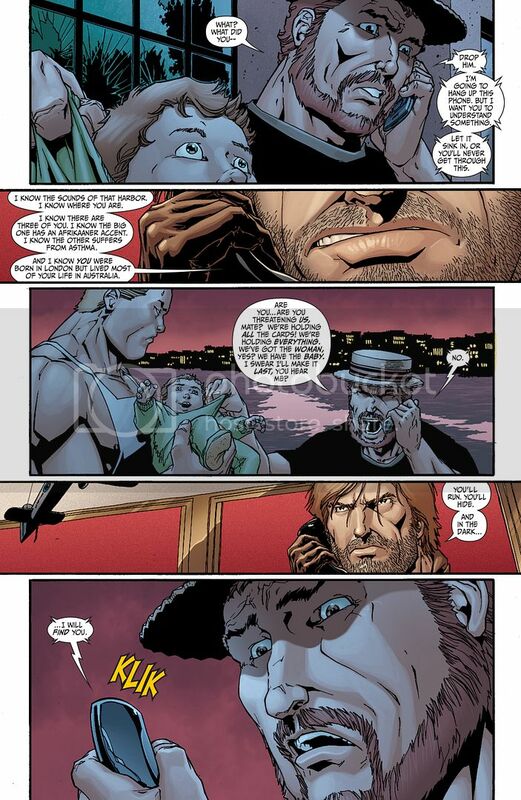 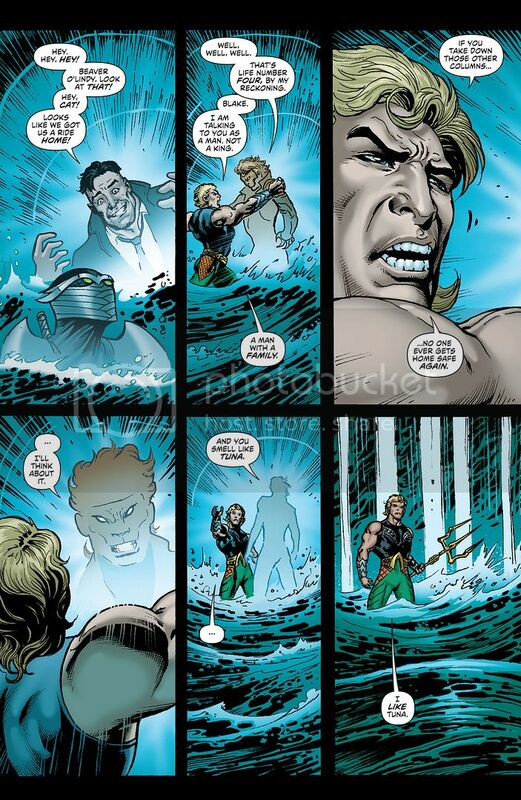 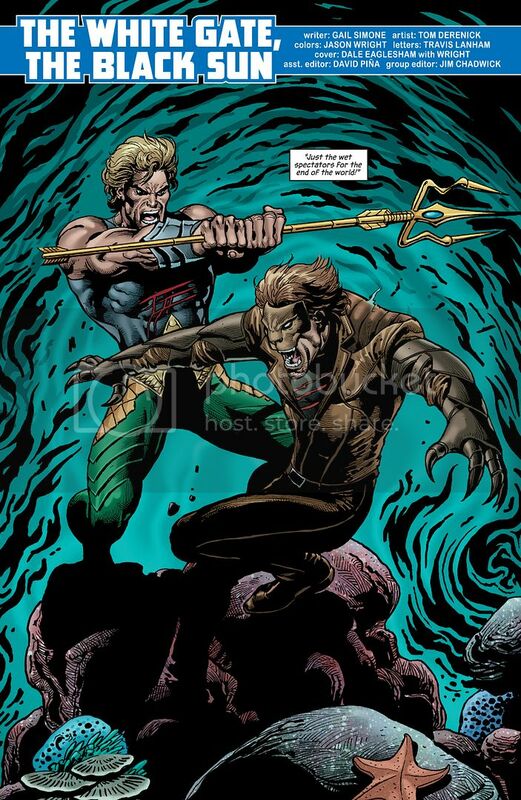 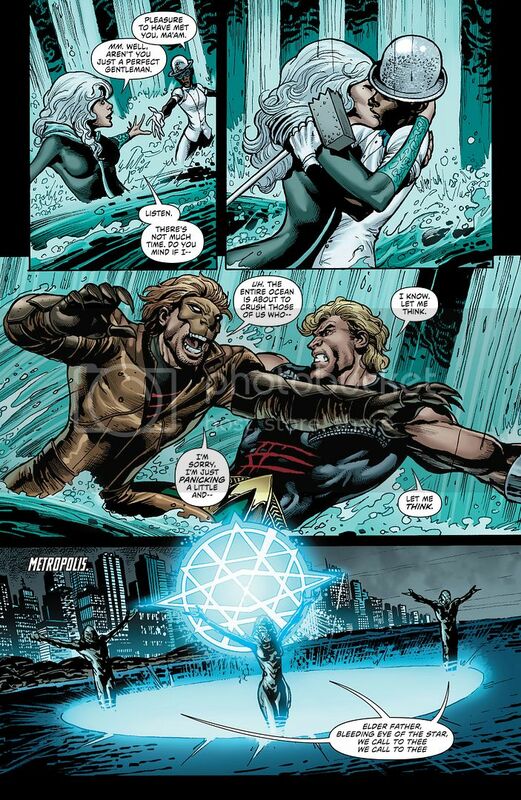 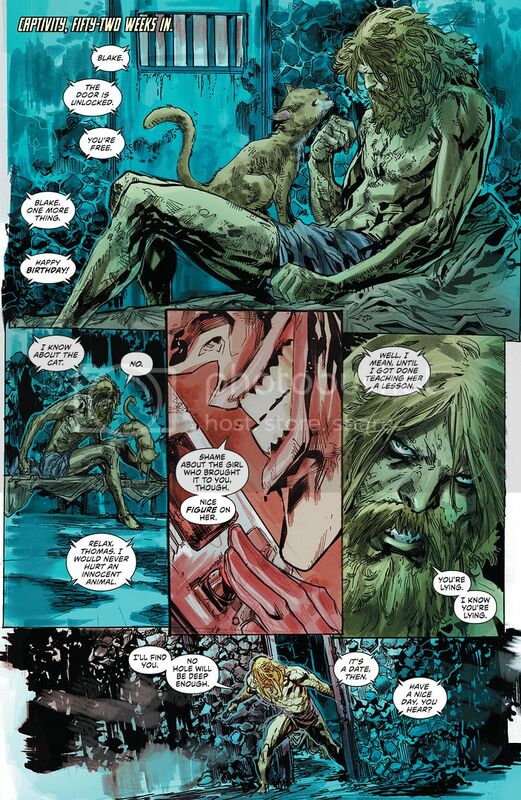 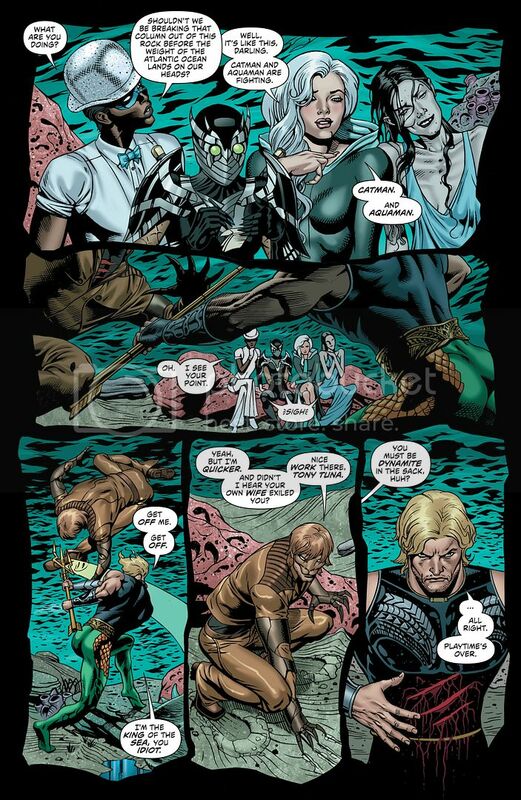 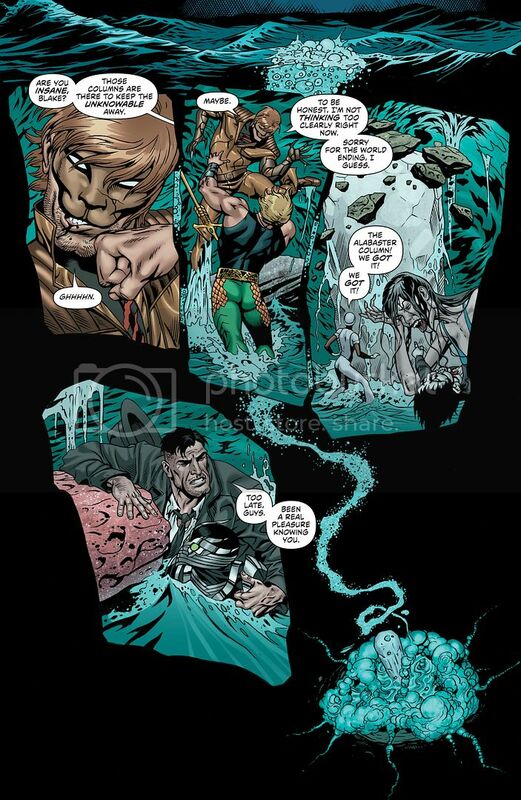 Here Catman goes one on one with Aquaman and does incredibly well. 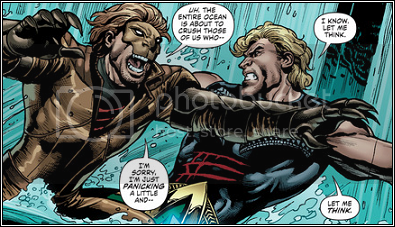 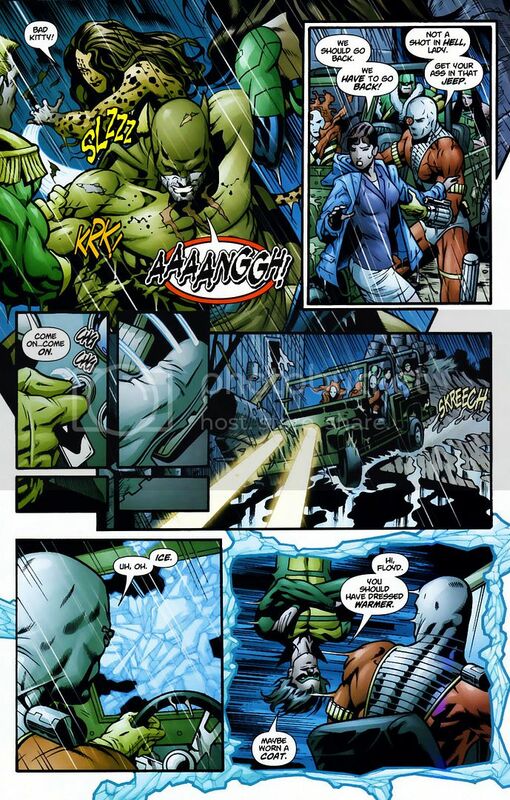 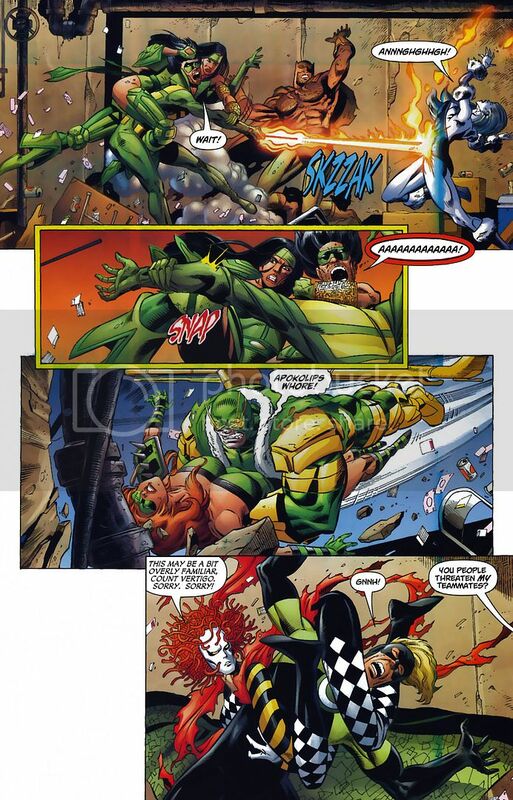 He tanks his punches and it shows his claws can cut Aquaman. 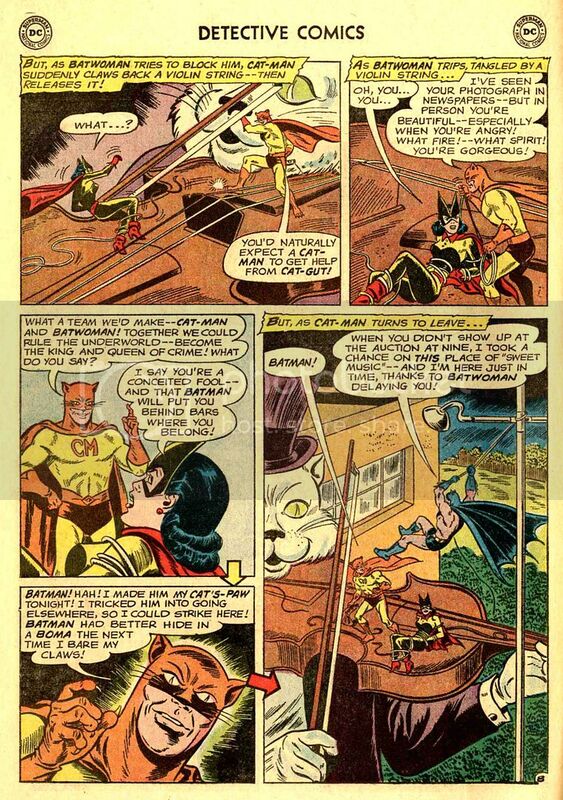 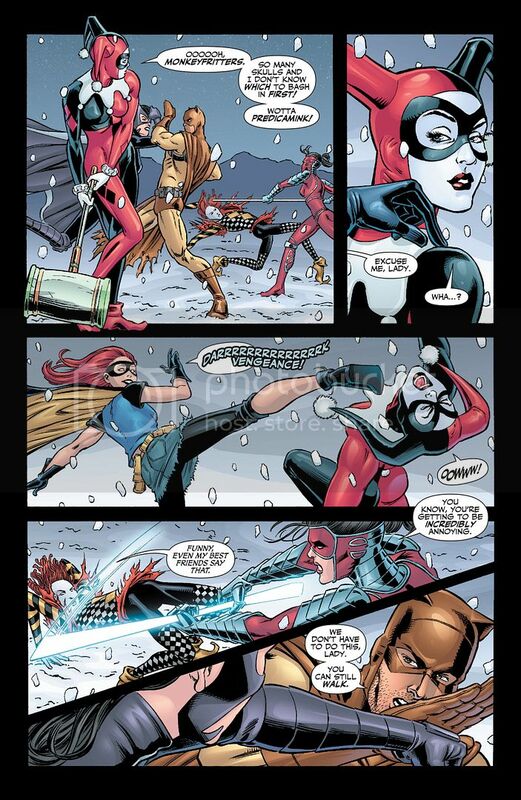 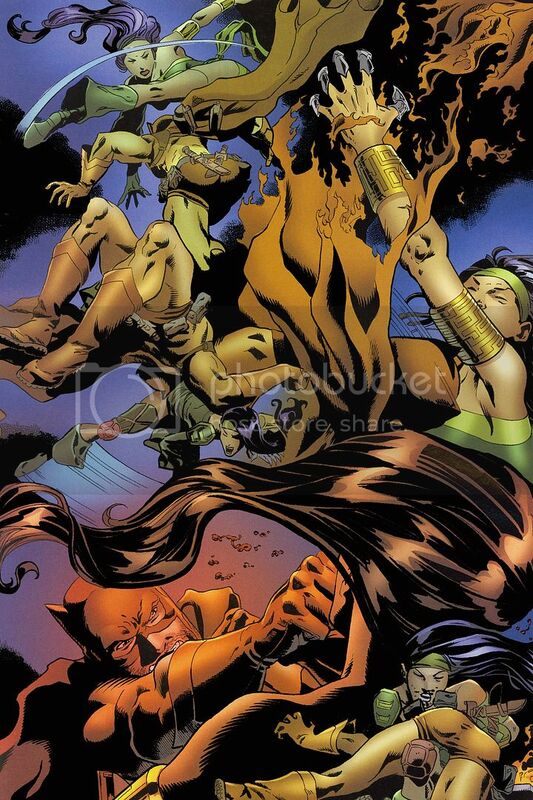 Very brief fight, but shows Catman’s agility and skill.